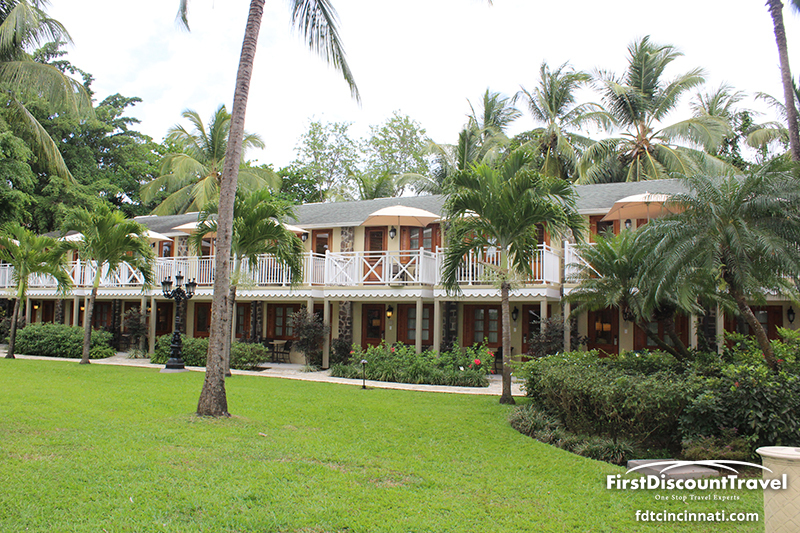 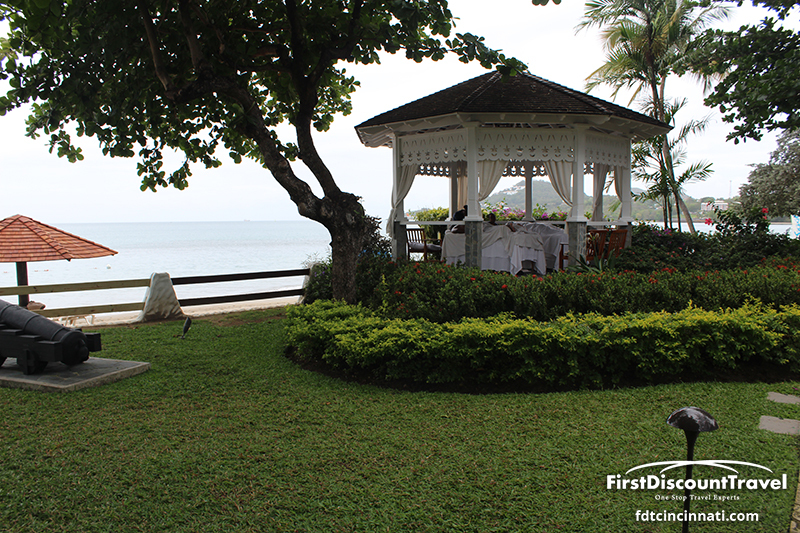 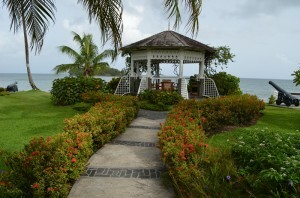 This intimate 169-room beachfront resort is an island paradise for two. 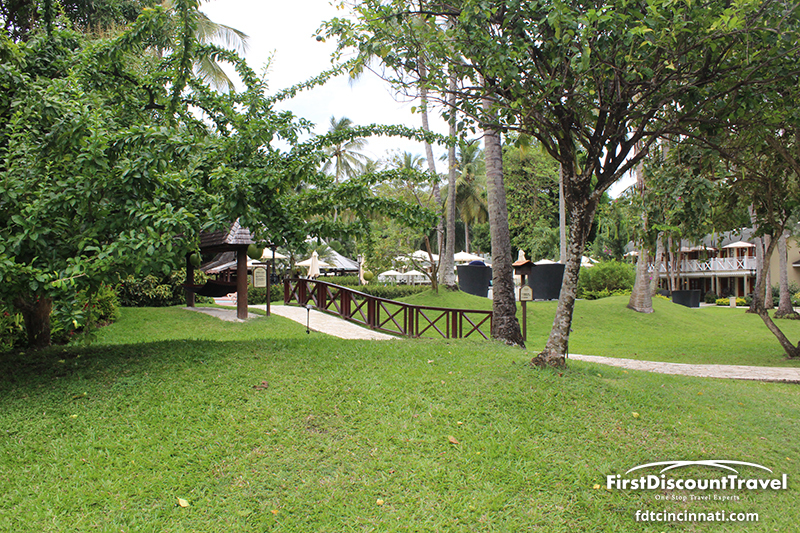 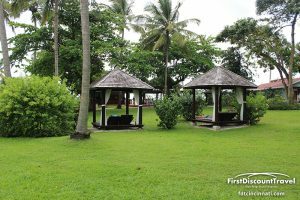 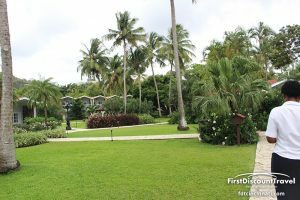 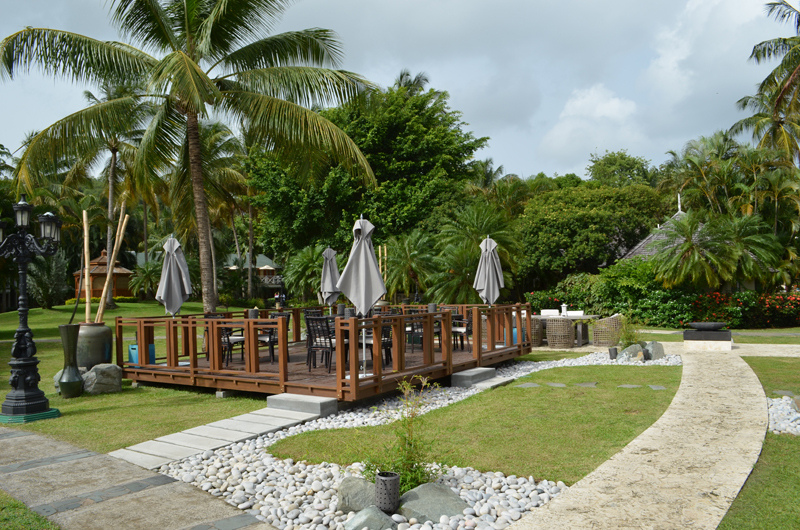 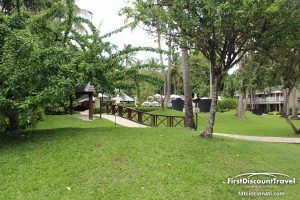 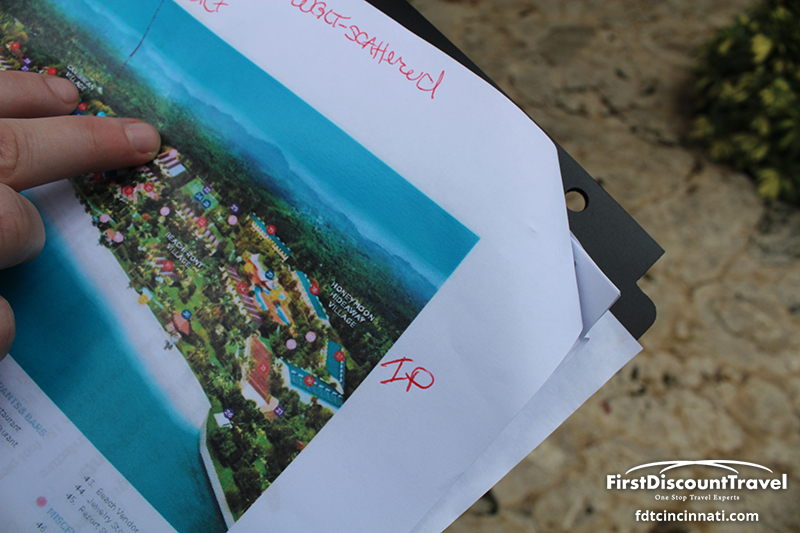 Overlooking a serene bay with pristine white-sand beach and emerald waters, and nestled amongst stunning tropical gardens, this resort showcases such exquisite natural beauty and warm laid-back energy that you'll have no choice but to have the time of your life. 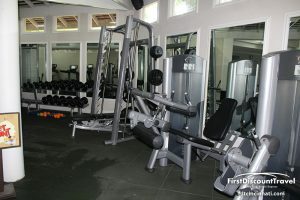 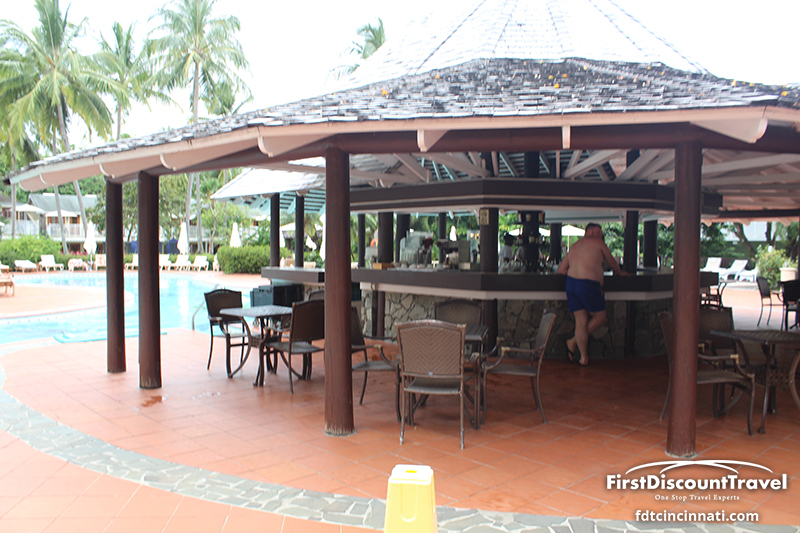 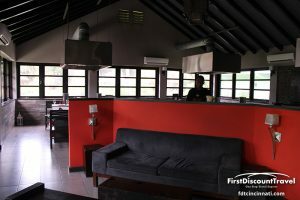 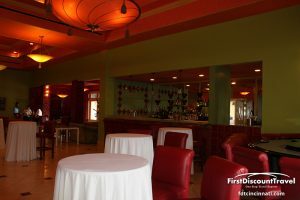 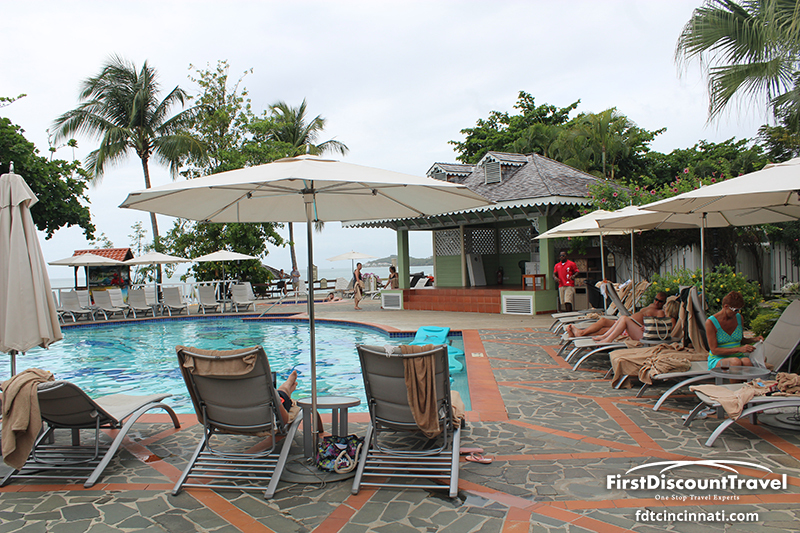 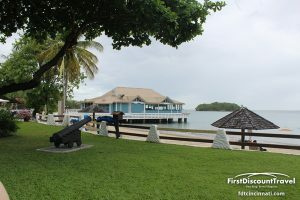 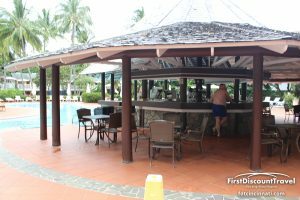 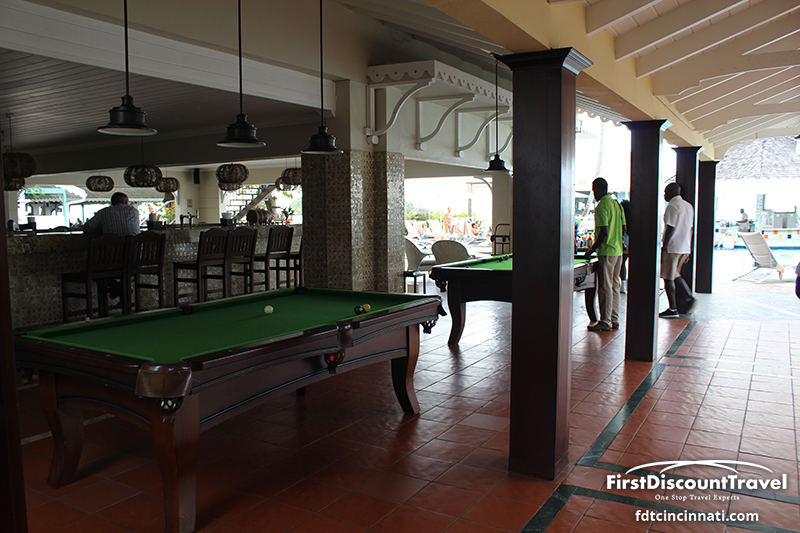 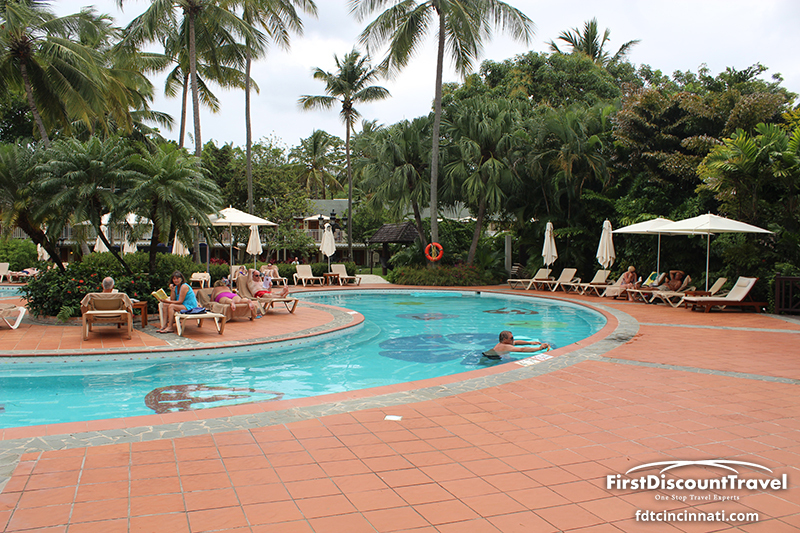 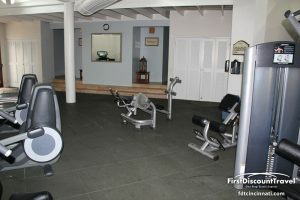 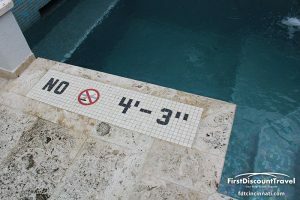 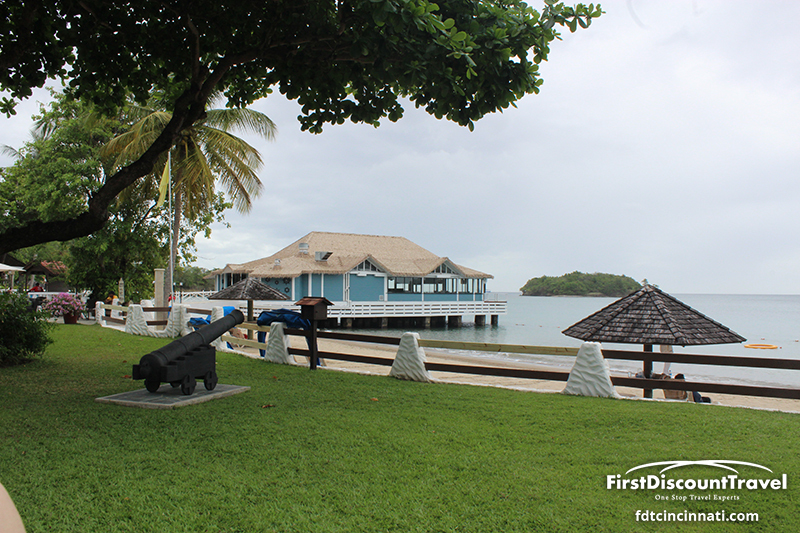 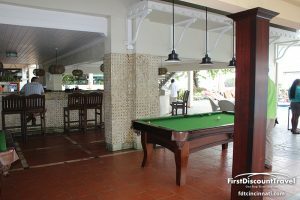 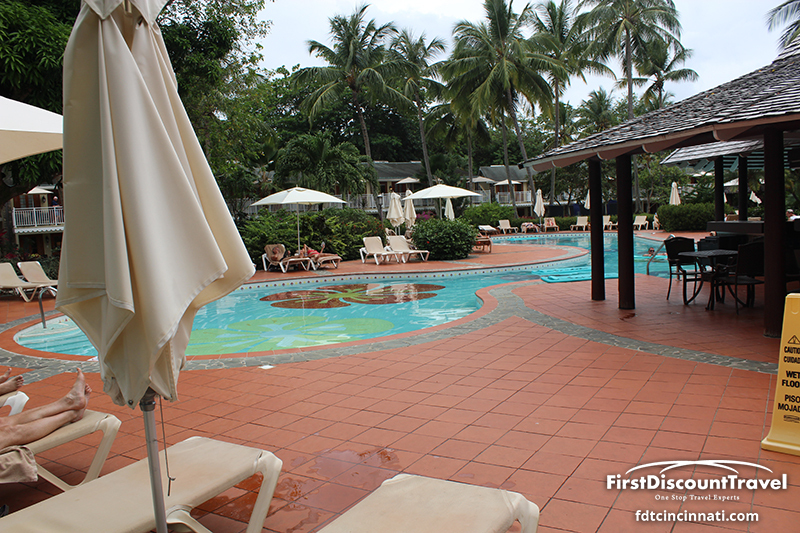 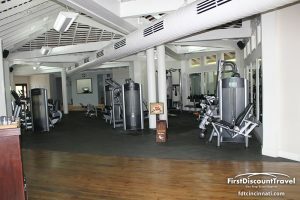 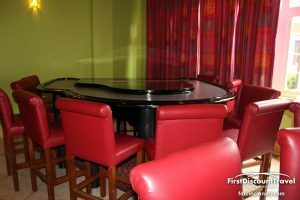 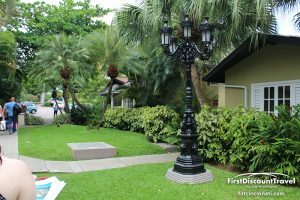 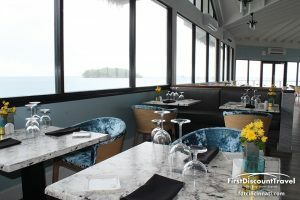 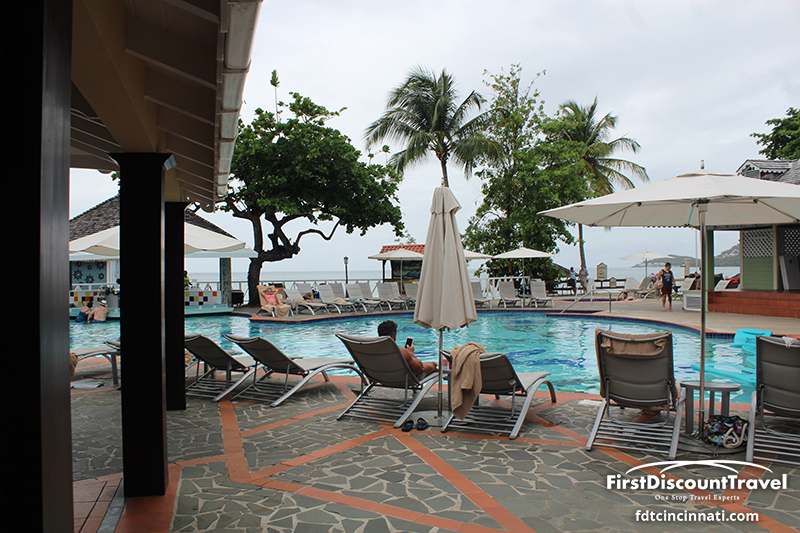 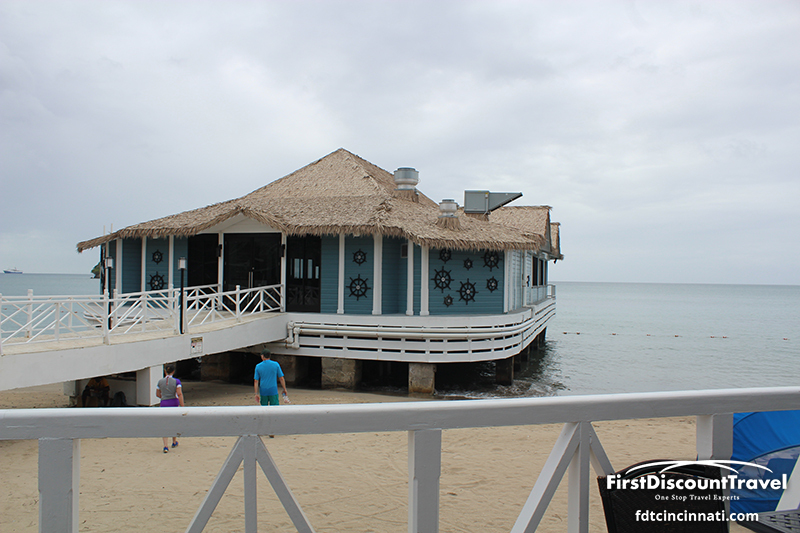 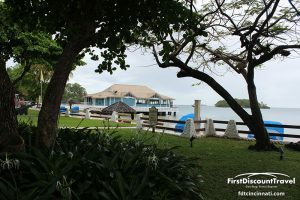 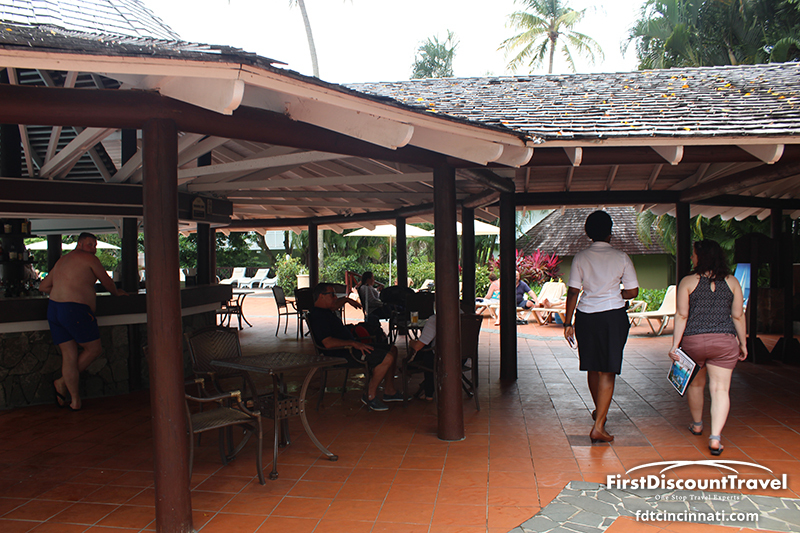 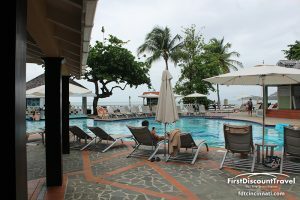 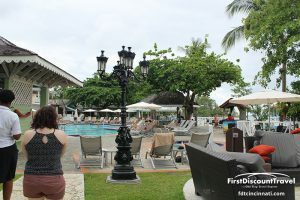 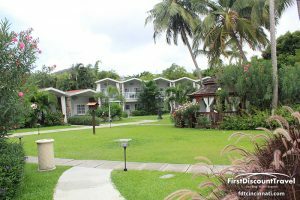 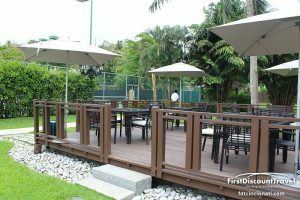 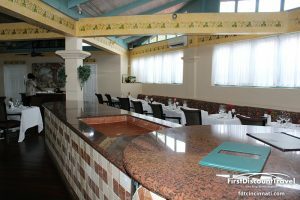 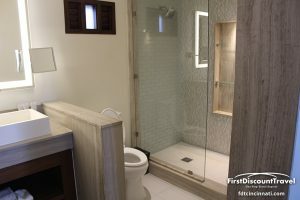 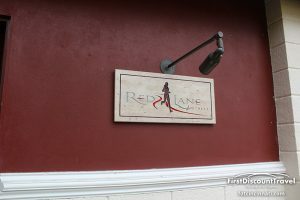 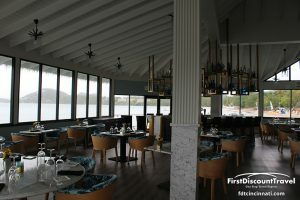 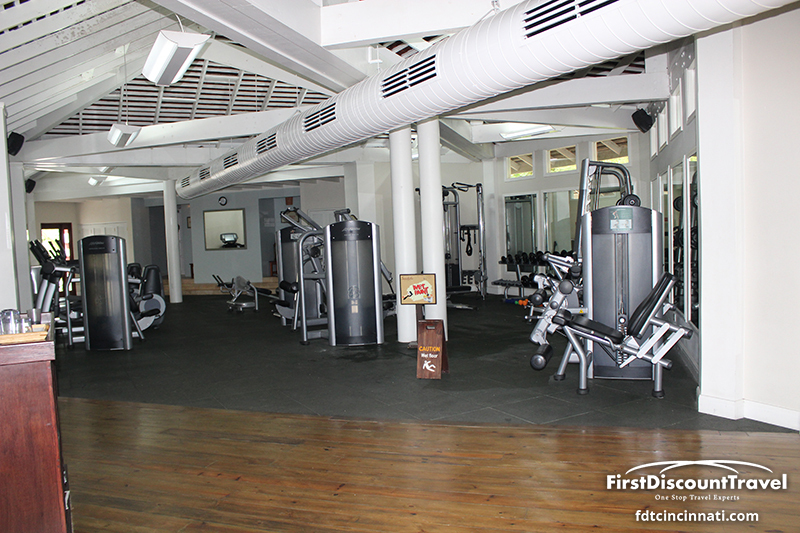 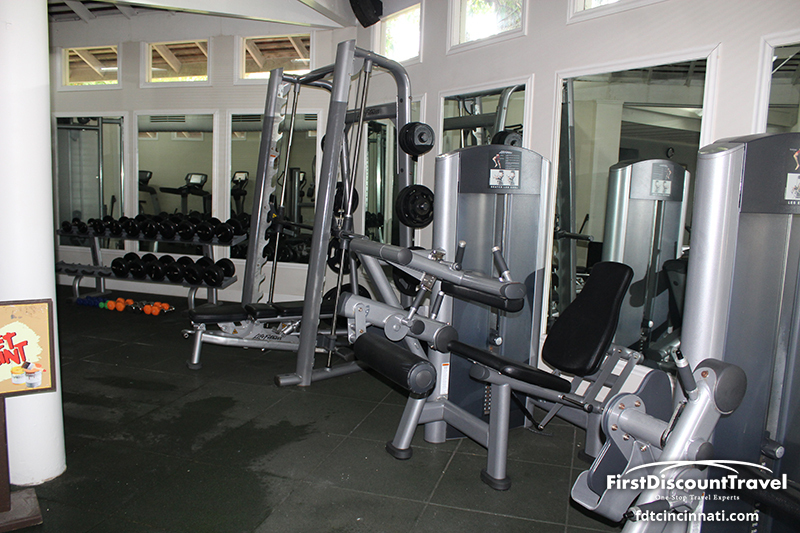 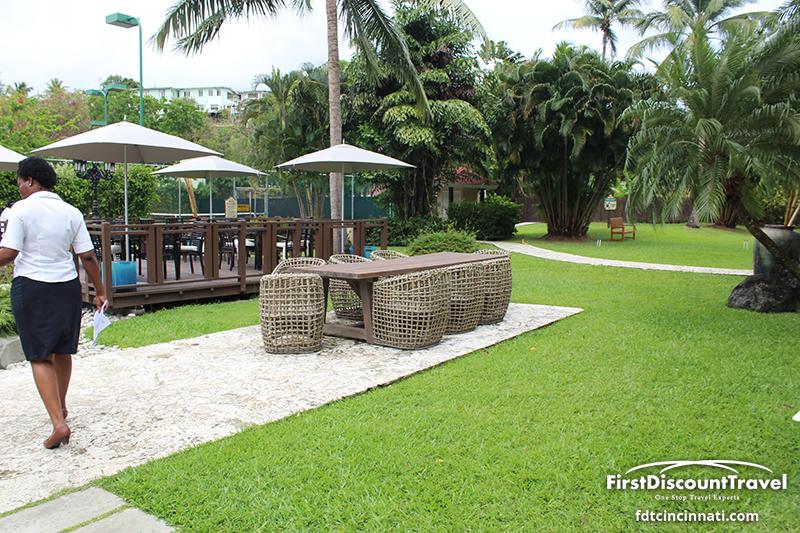 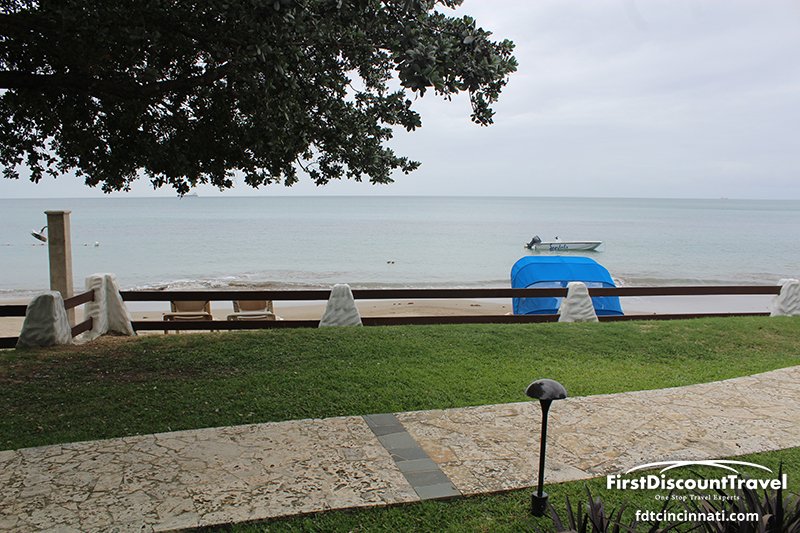 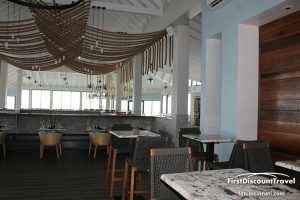 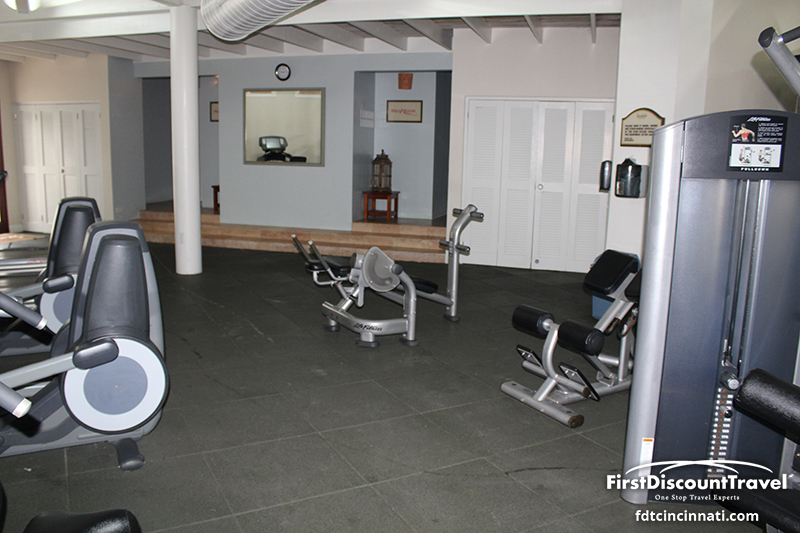 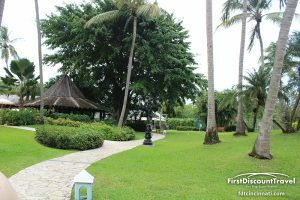 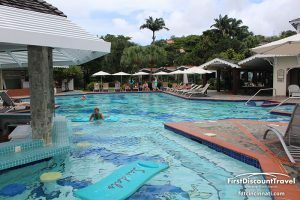 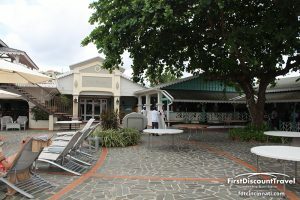 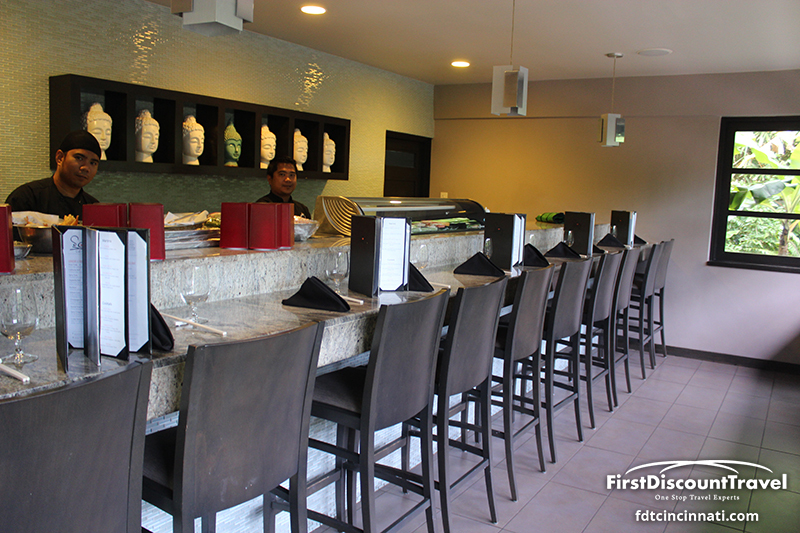 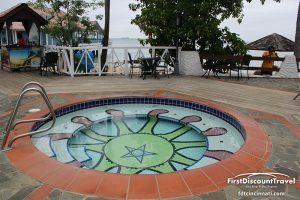 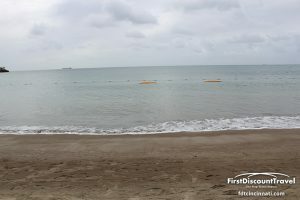 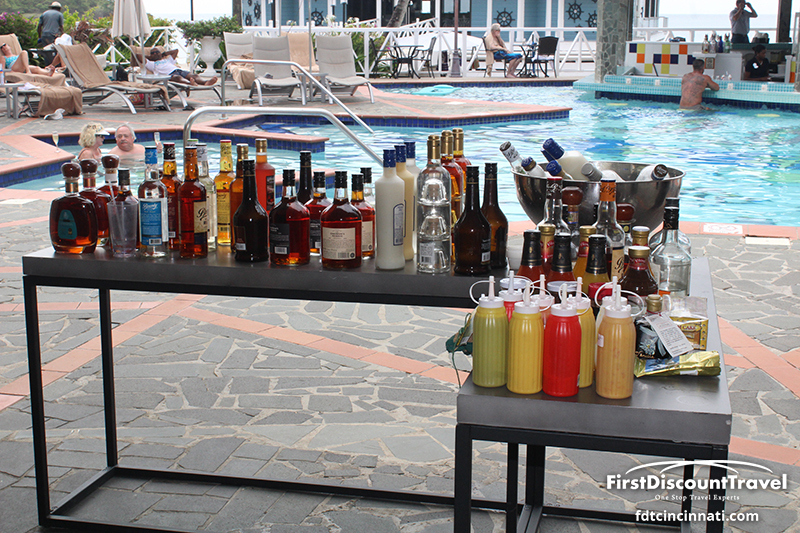 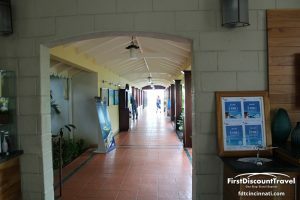 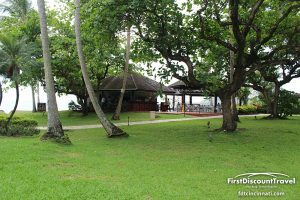 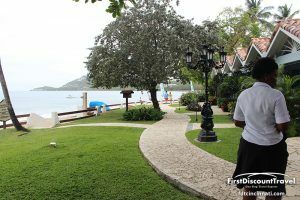 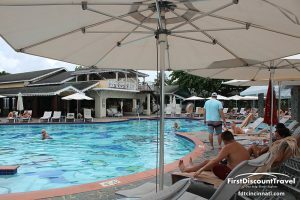 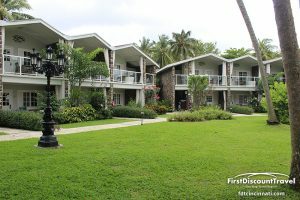 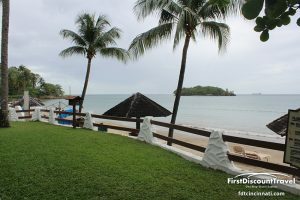 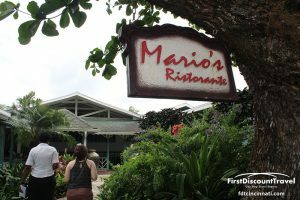 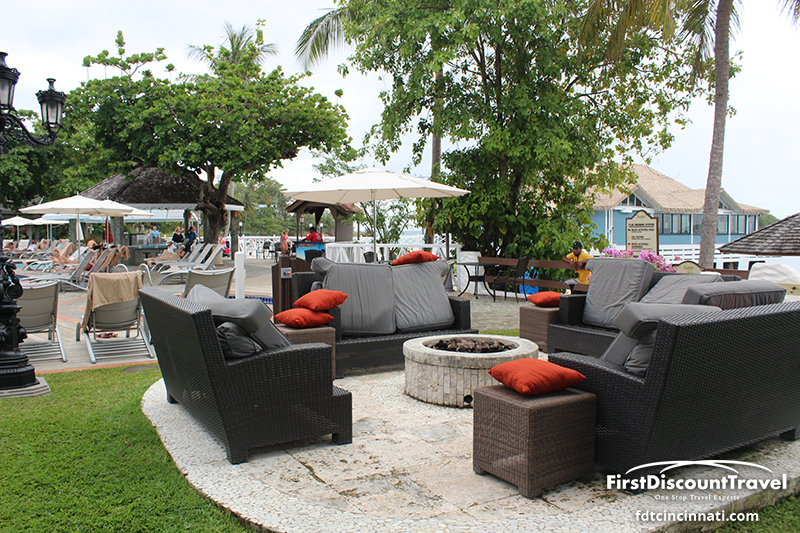 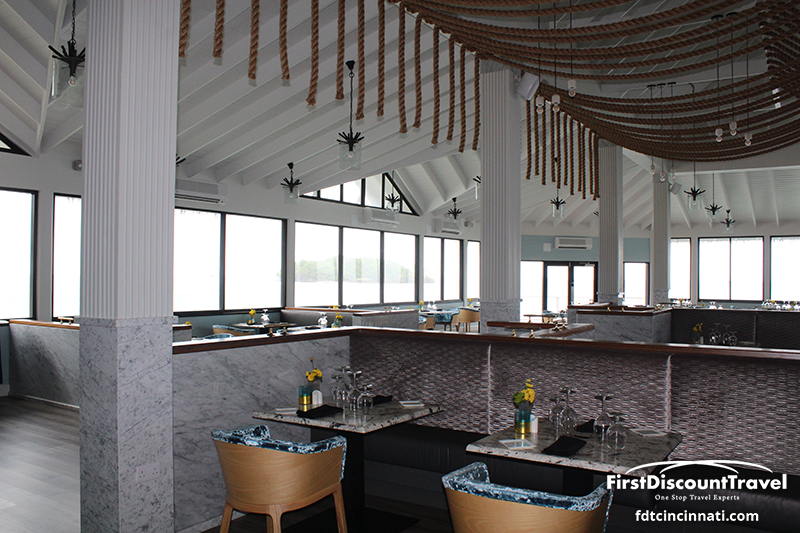 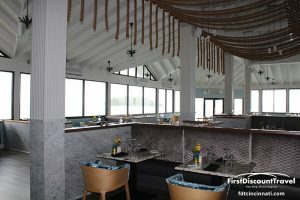 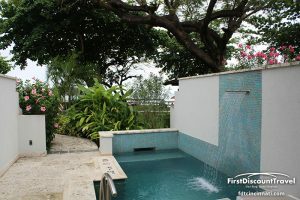 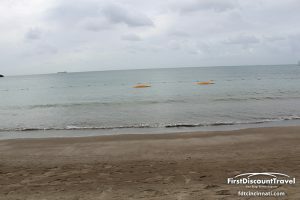 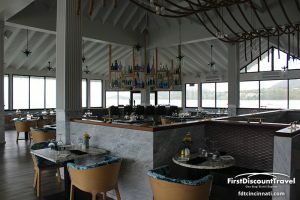 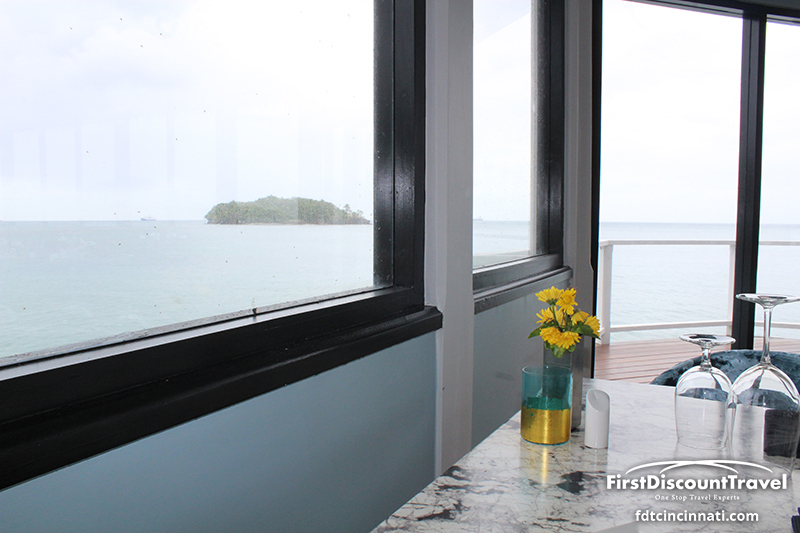 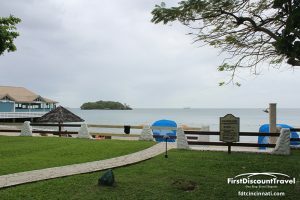 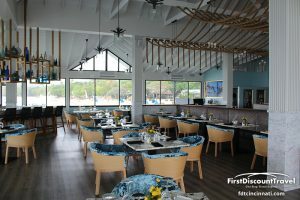 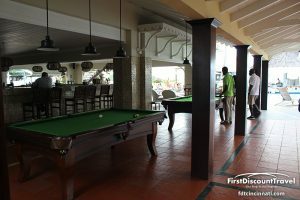 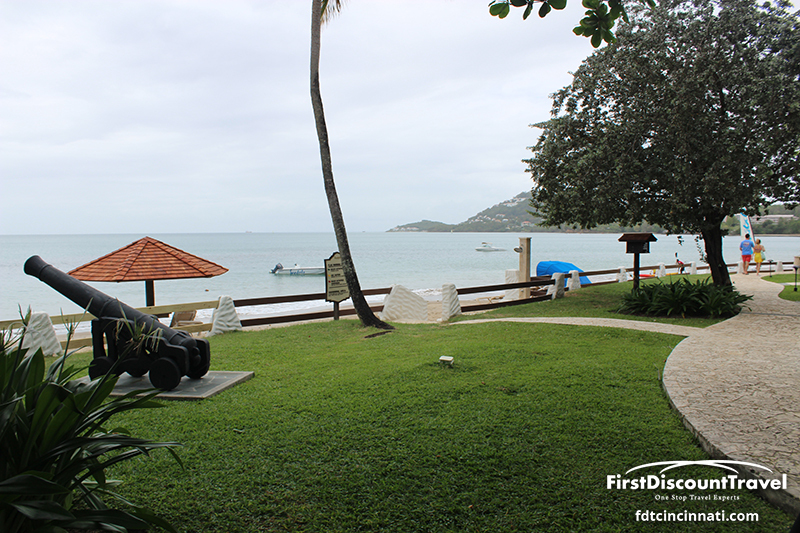 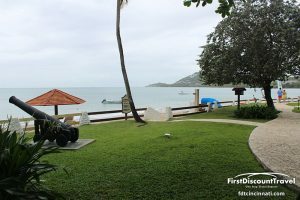 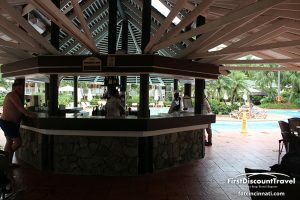 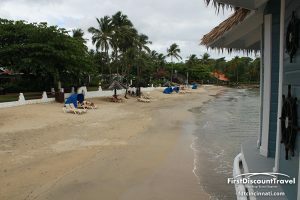 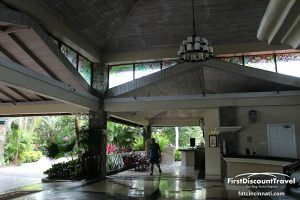 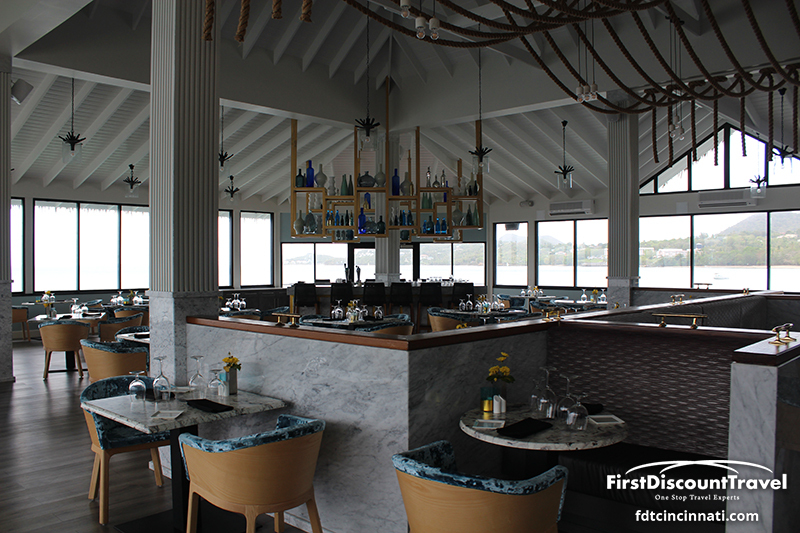 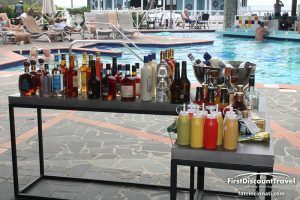 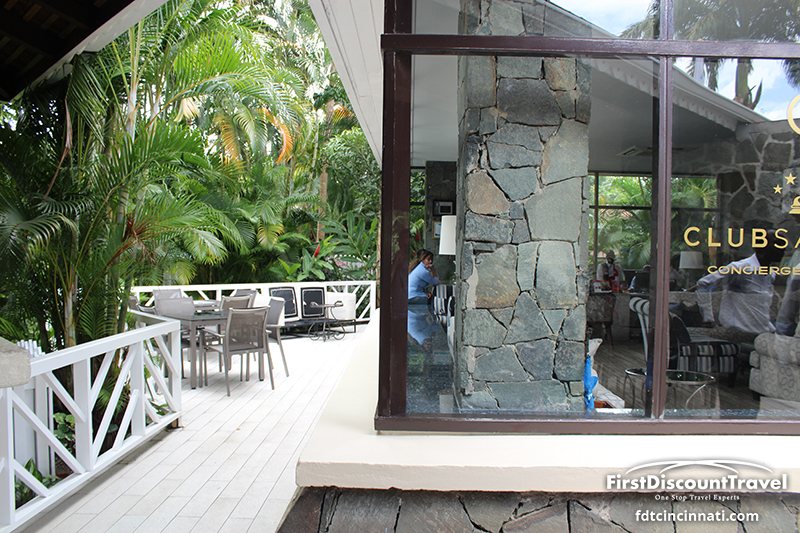 The resort features four specialty restaurants including The Pier restaurant which is set out over the sea, two pools, a scuba certification pool, motorized watersports, a fitness center and nightclub. 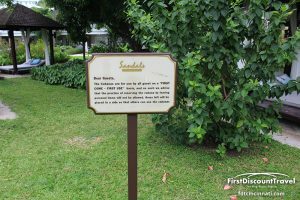 Sandals exclusive exchange program allows guests to enjoy all the amenities and services at two neighboring Sandals Resorts on the island, even round trip transfers are included. 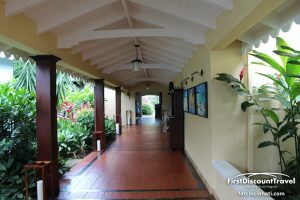 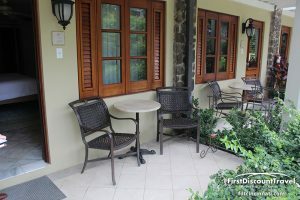 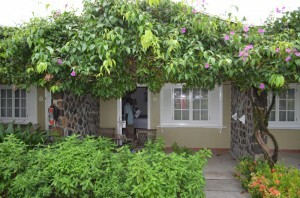 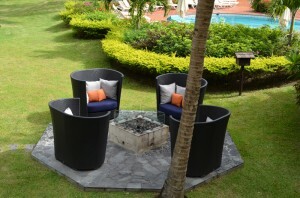 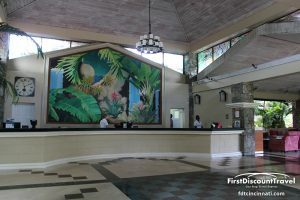 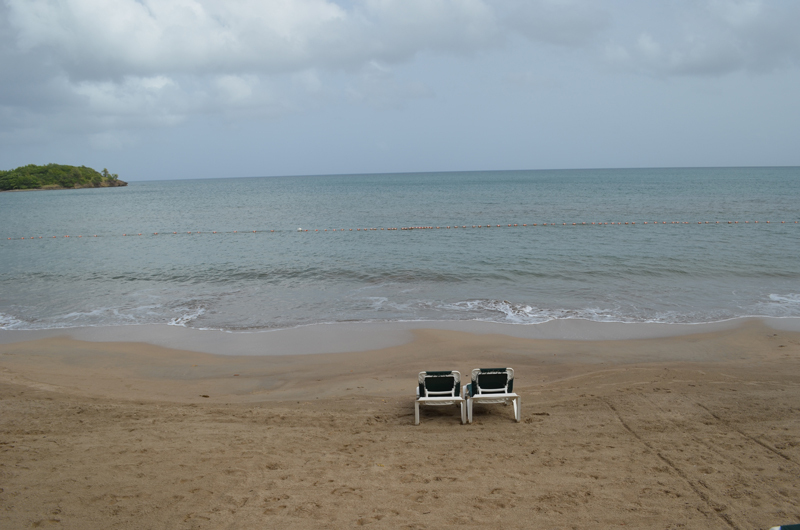 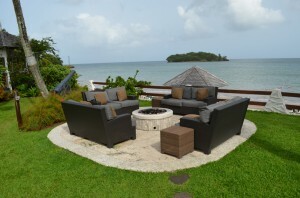 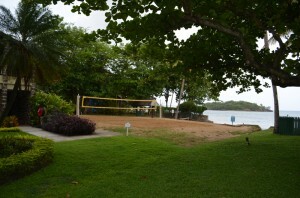 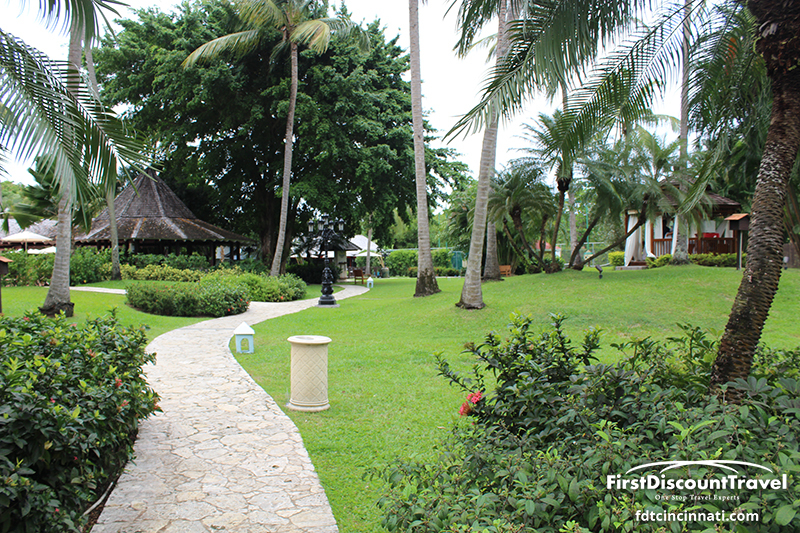 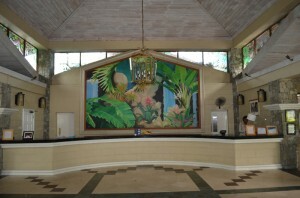 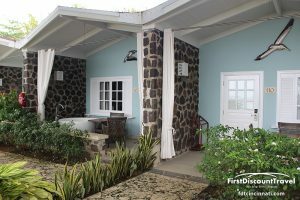 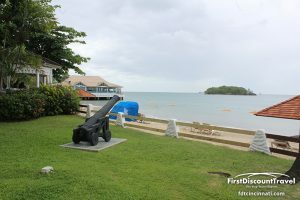 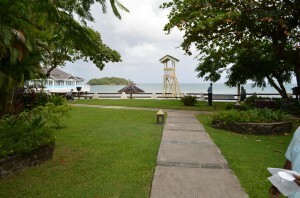 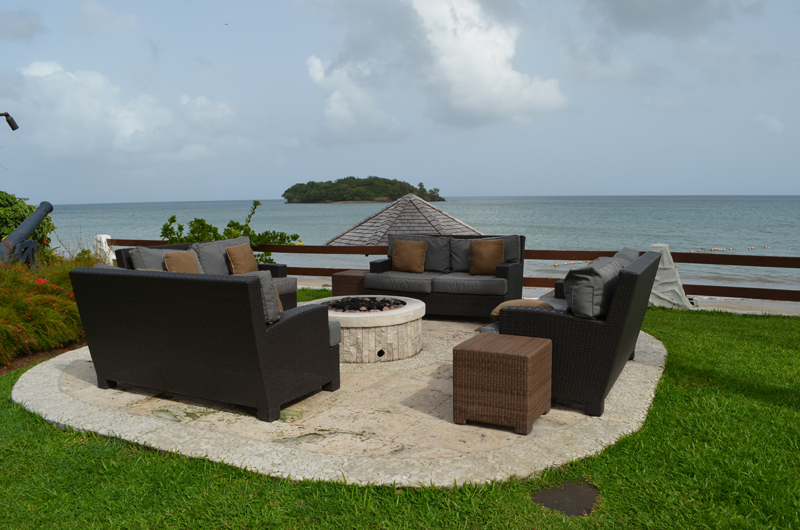 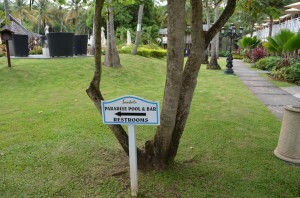 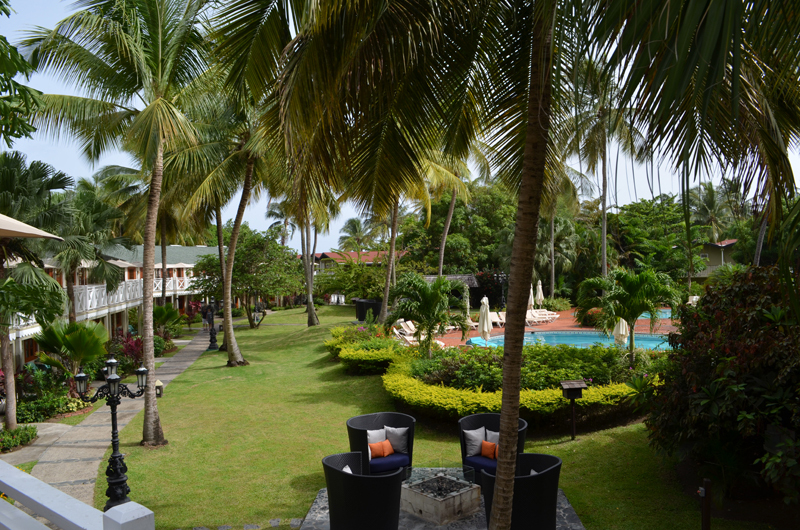 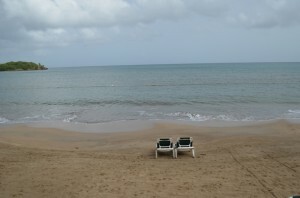 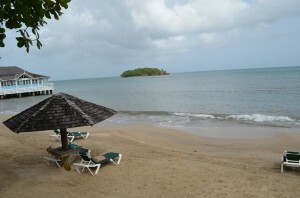 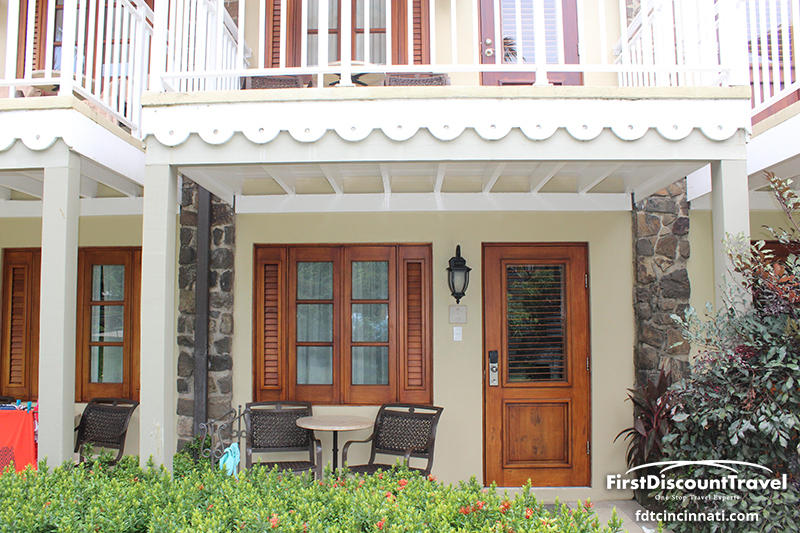 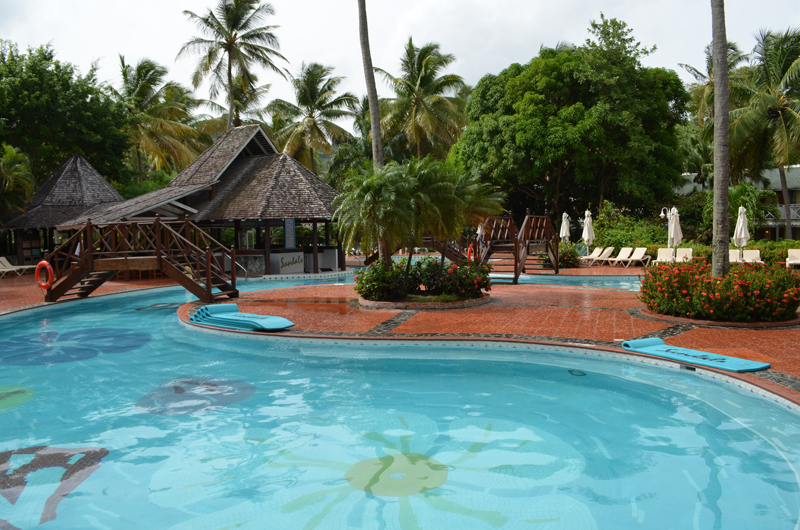 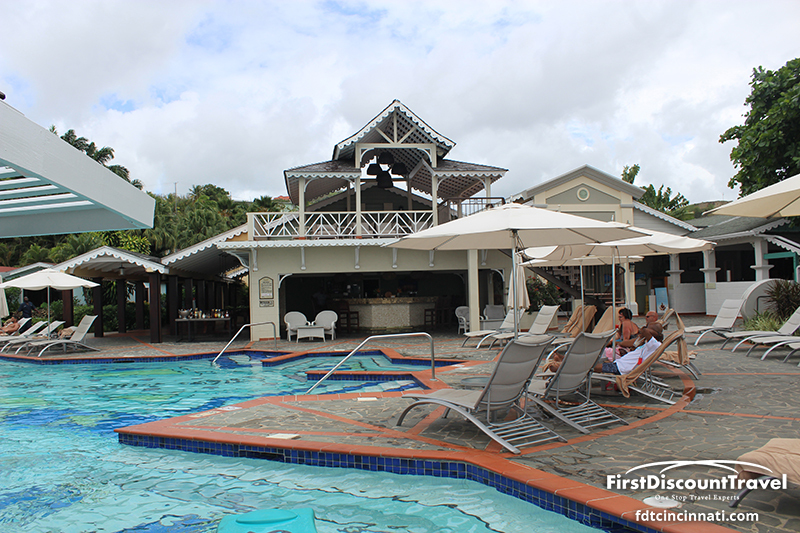 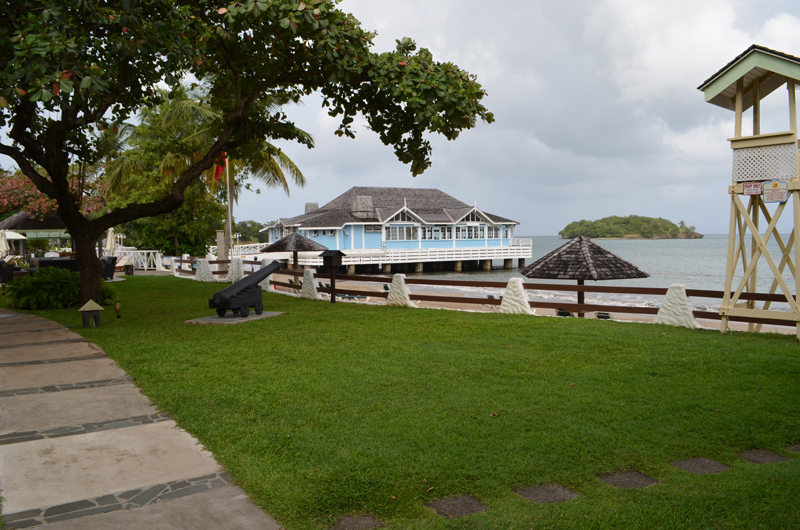 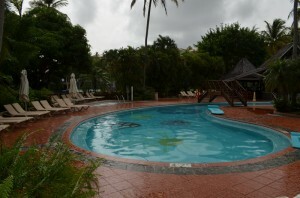 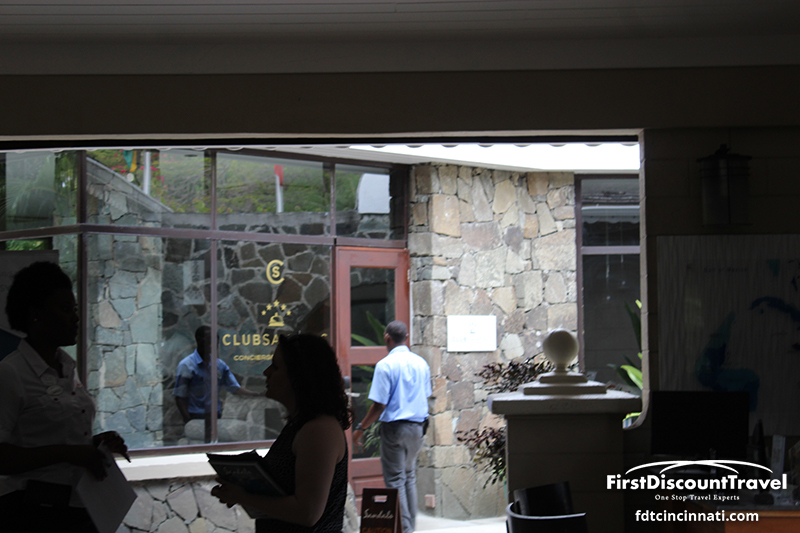 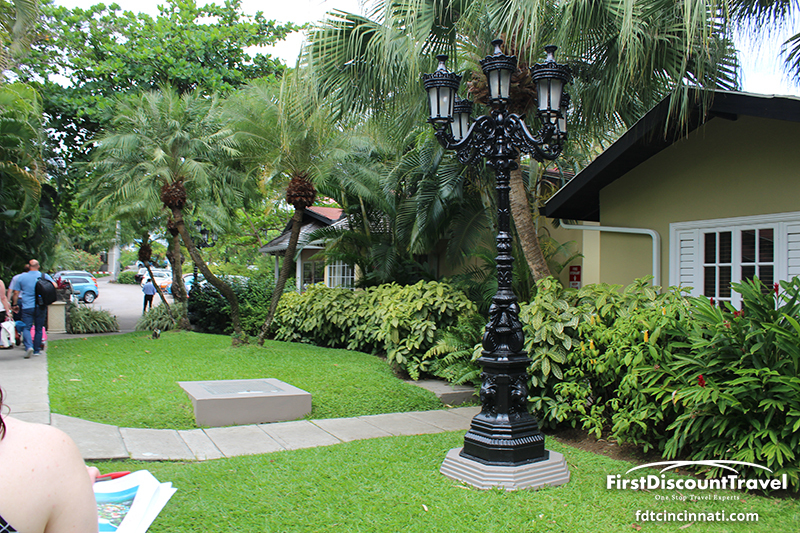 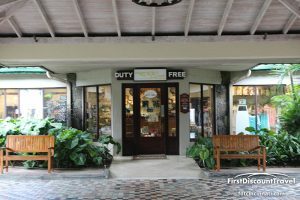 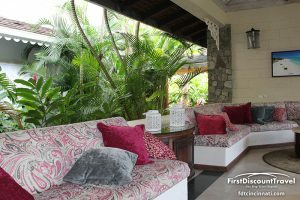 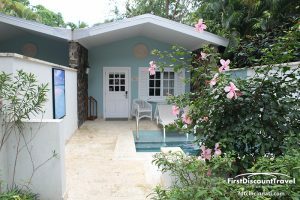 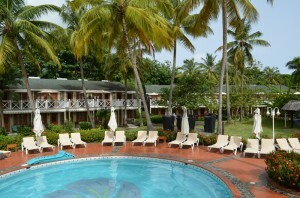 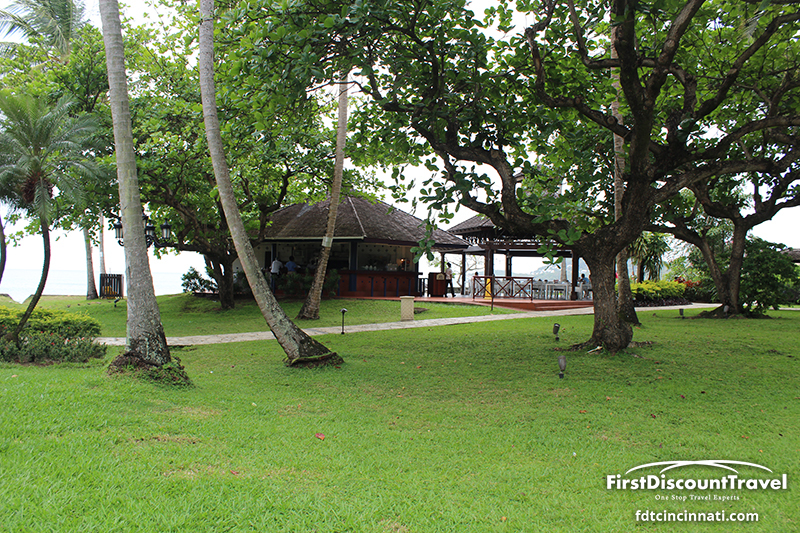 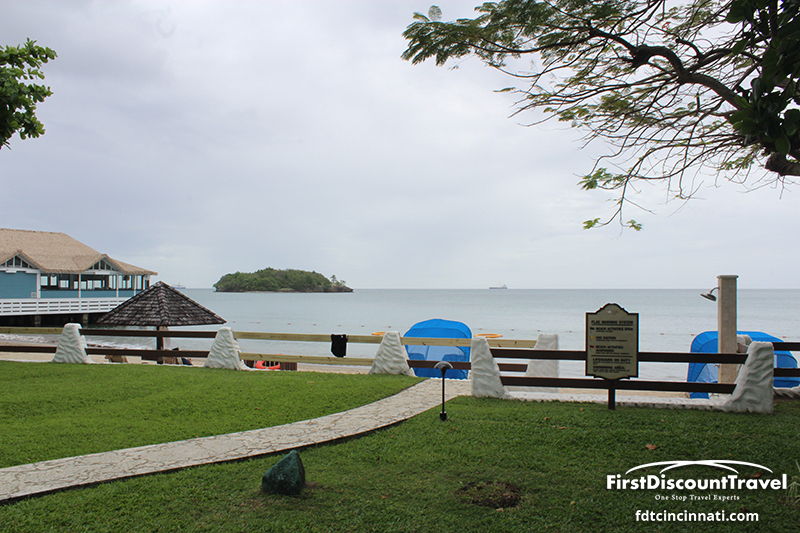 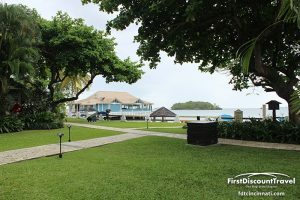 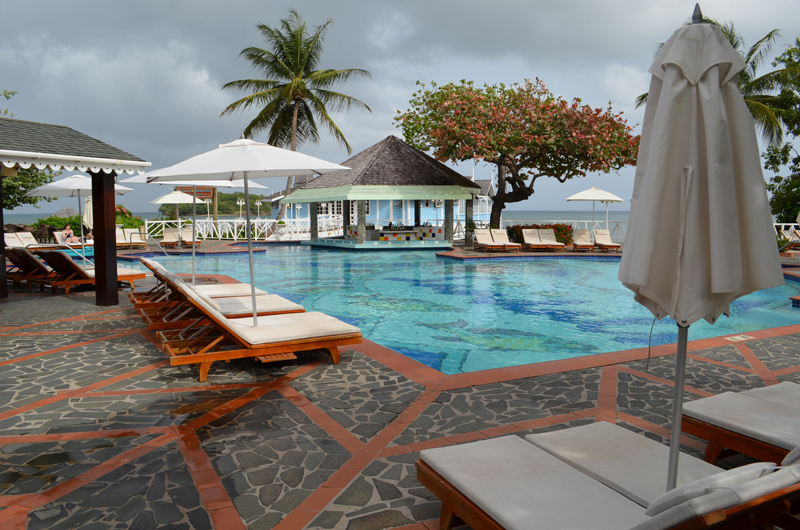 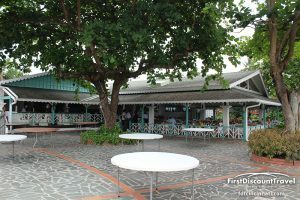 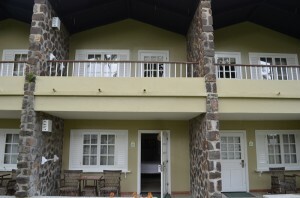 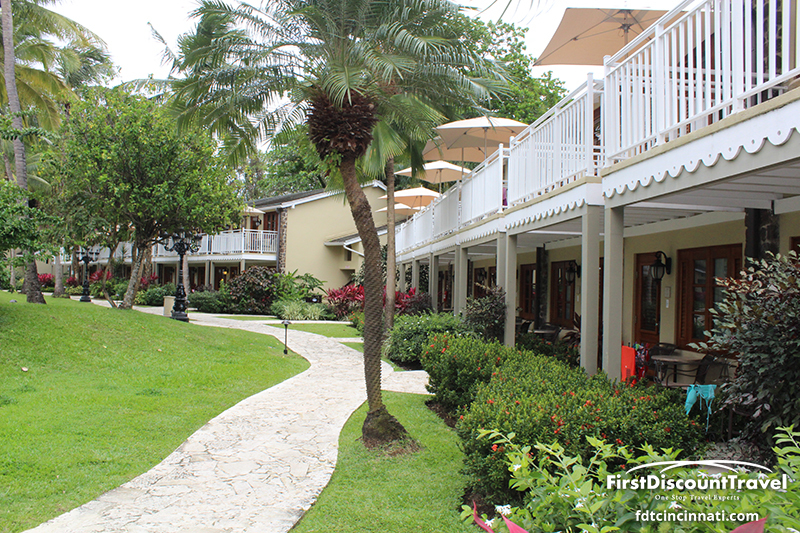 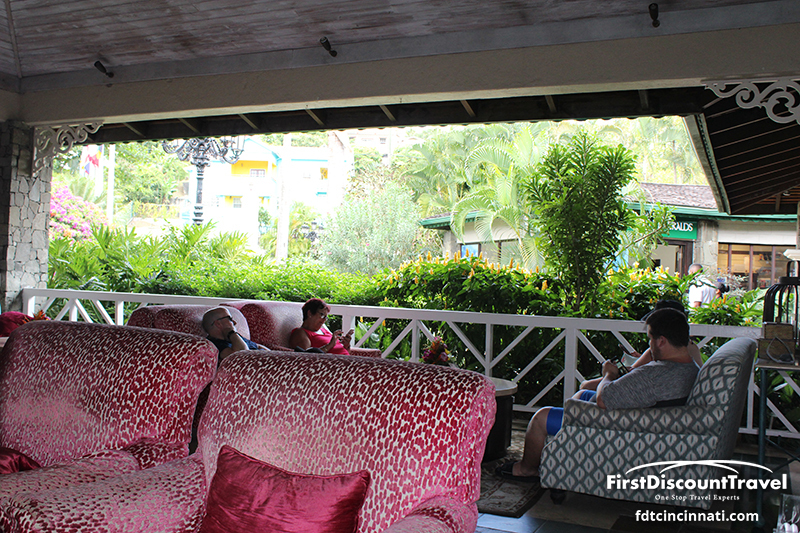 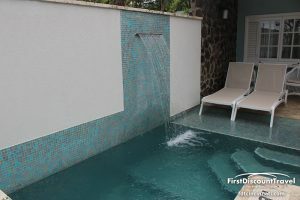 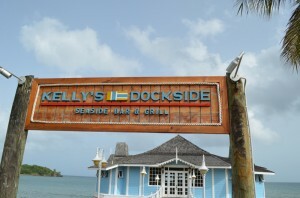 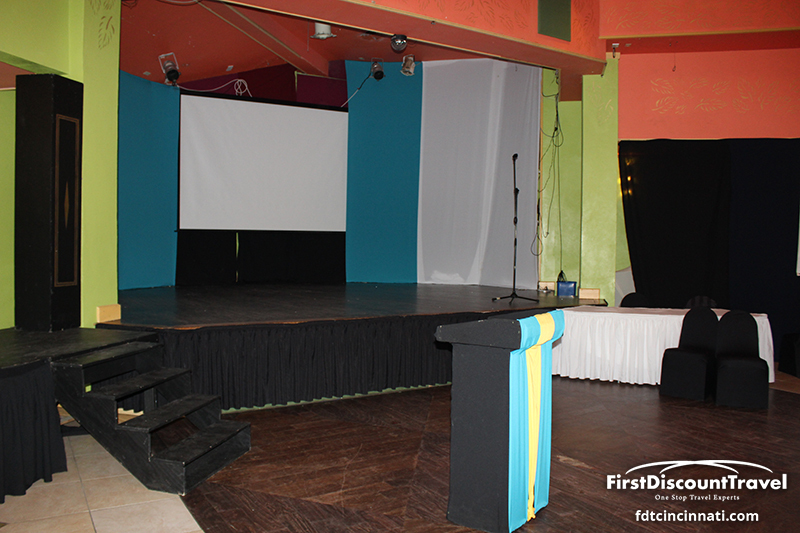 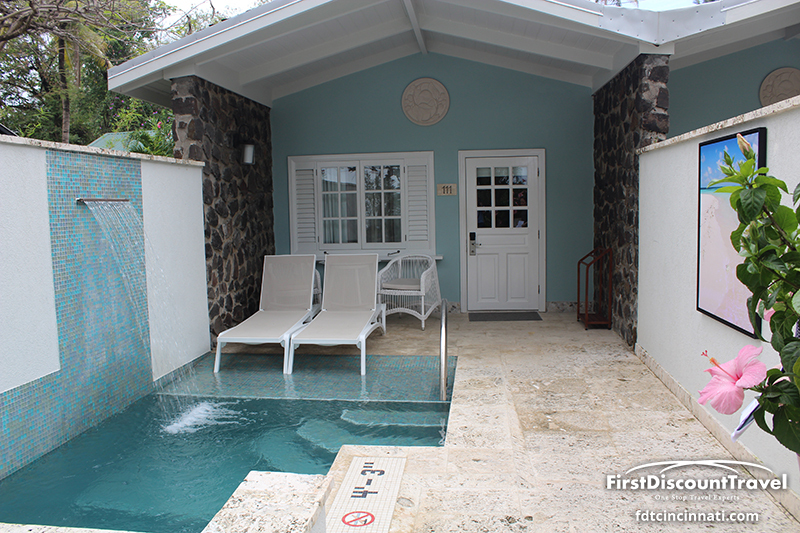 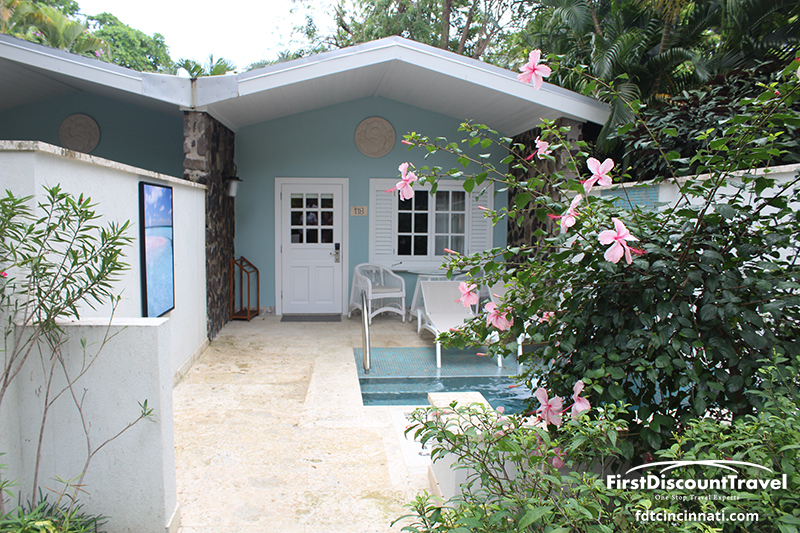 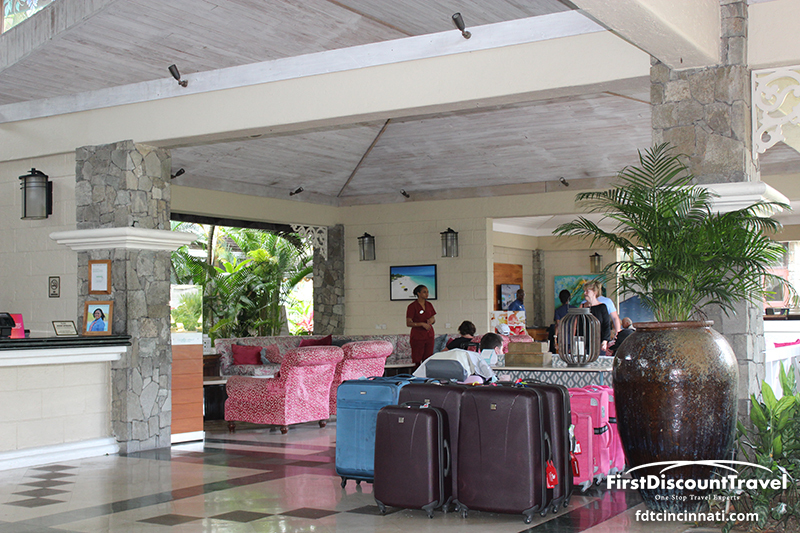 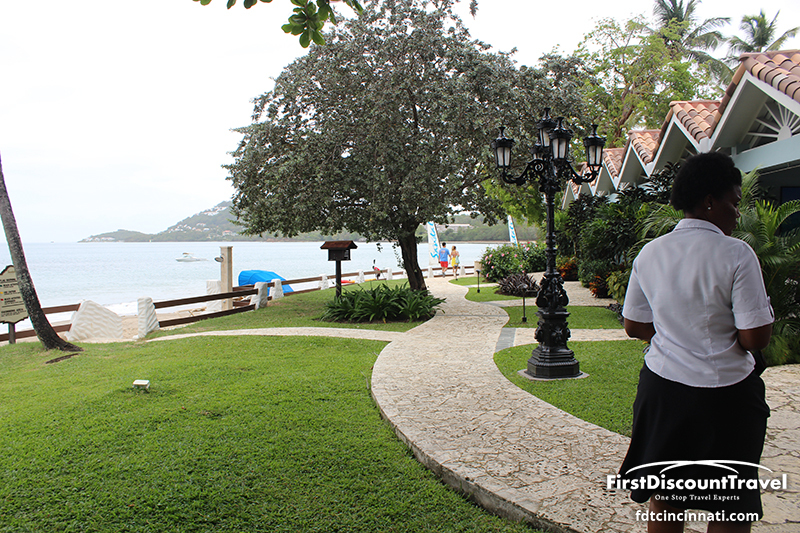 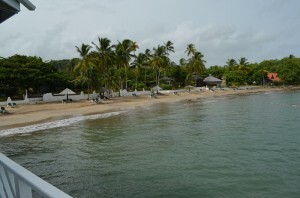 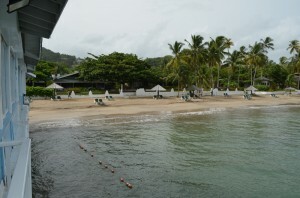 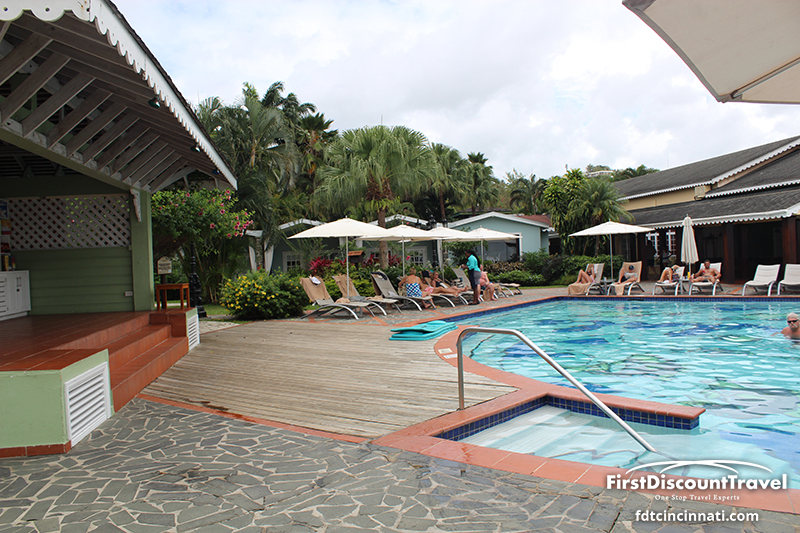 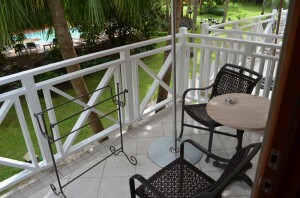 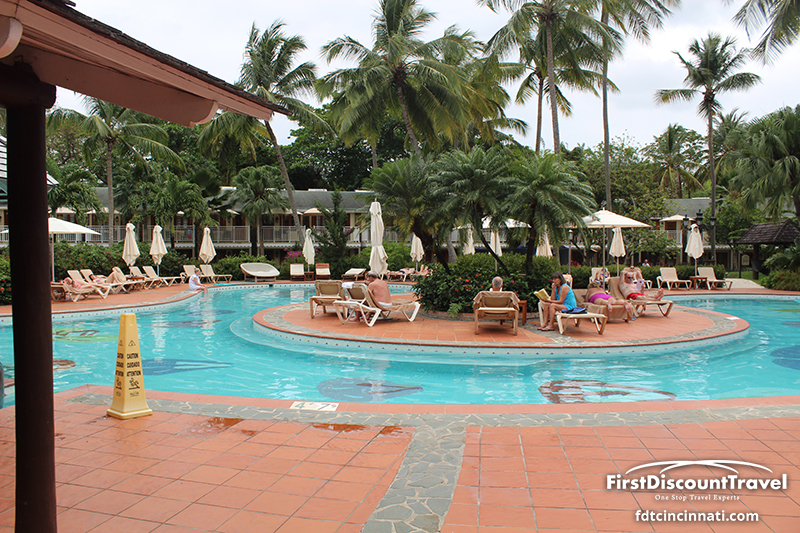 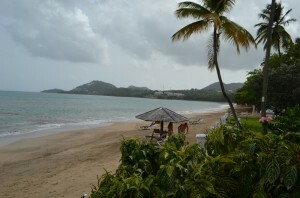 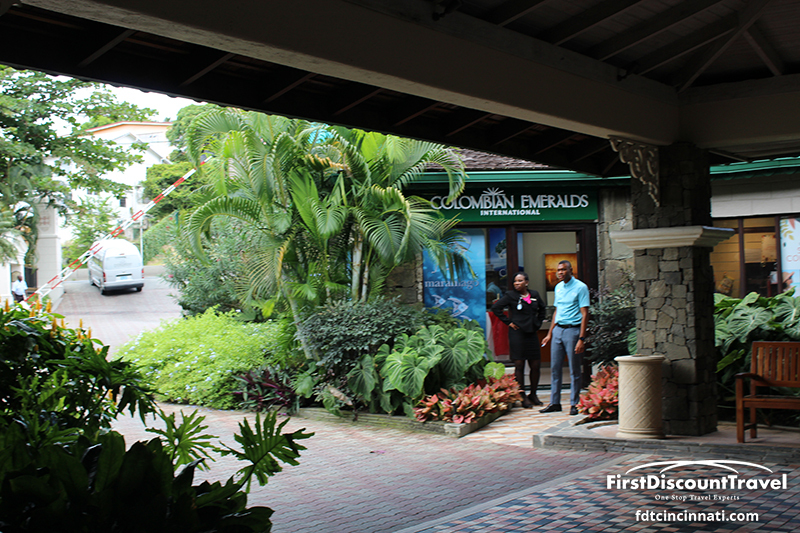 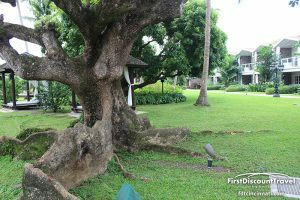 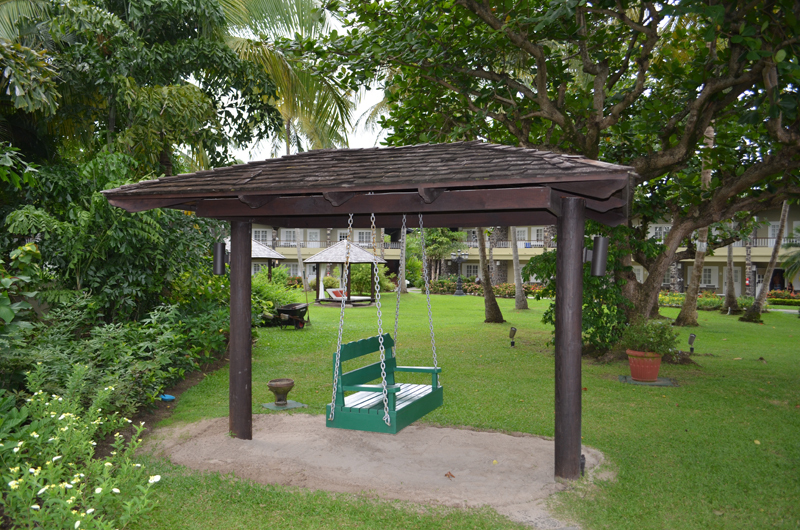 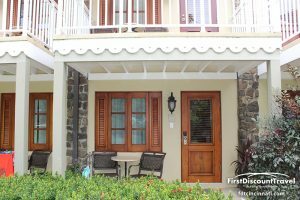 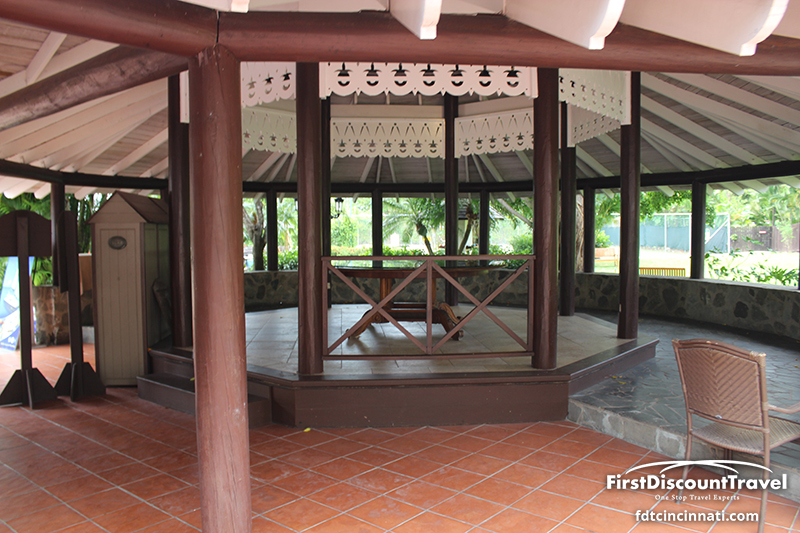 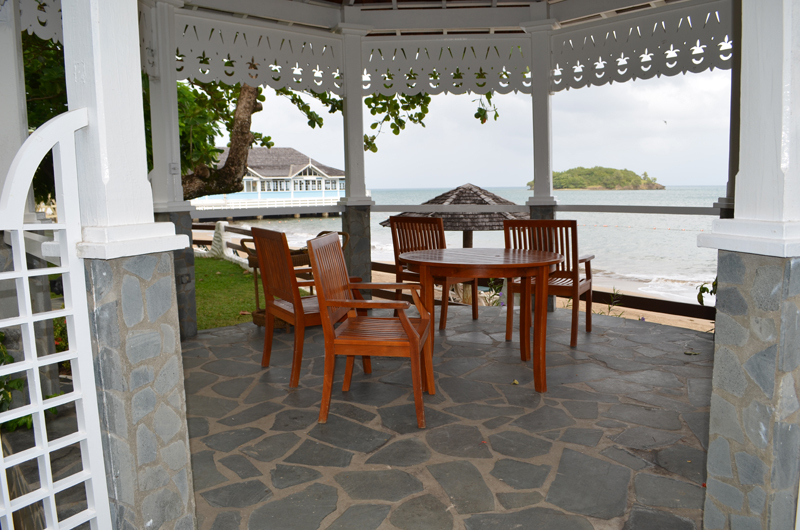 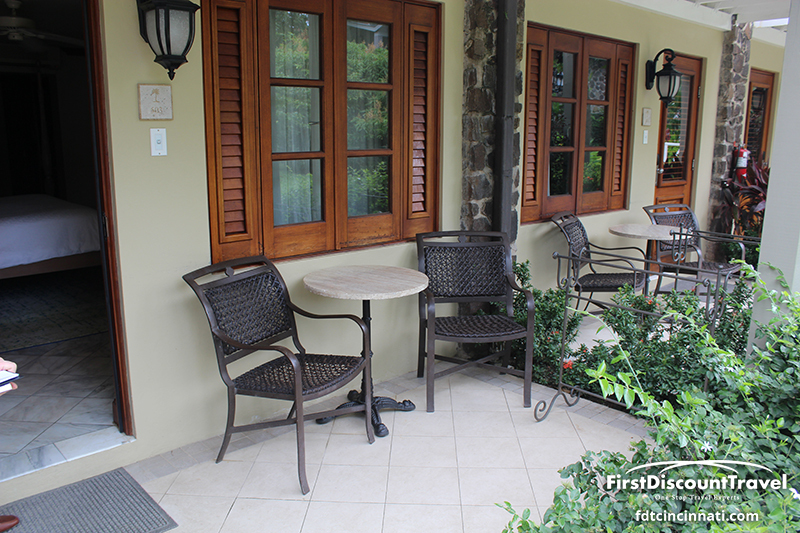 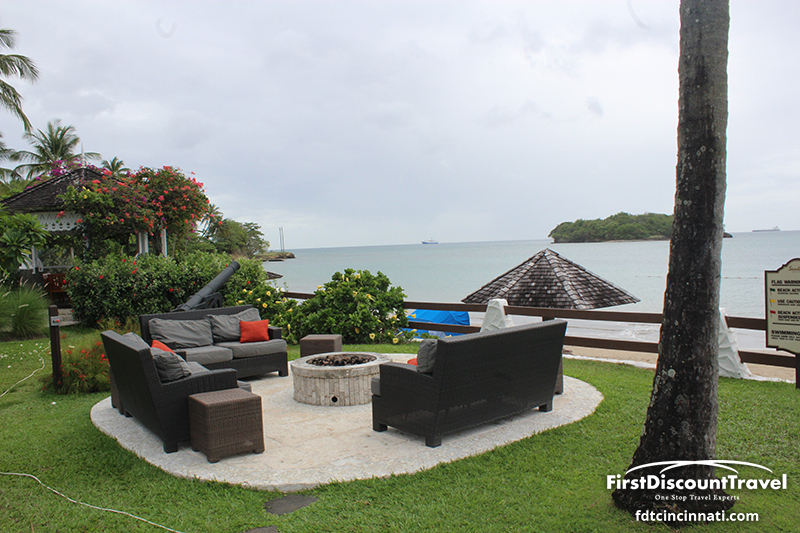 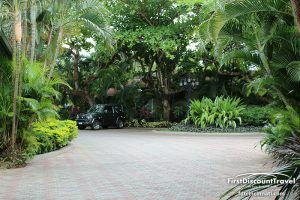 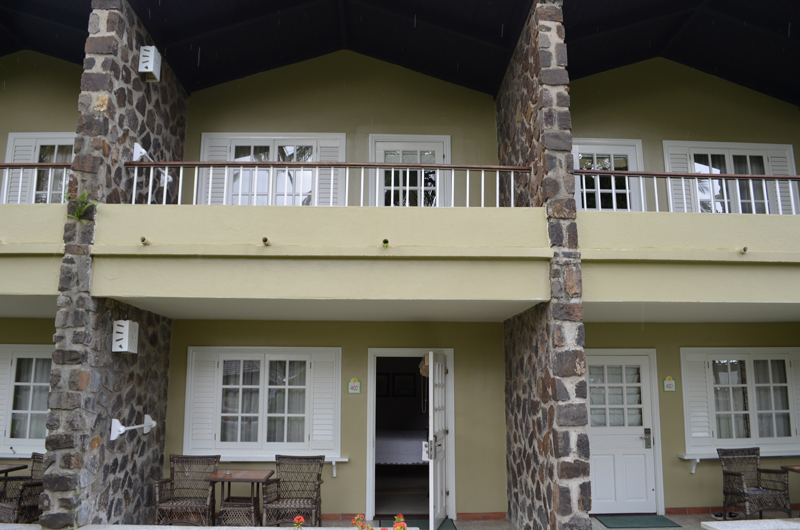 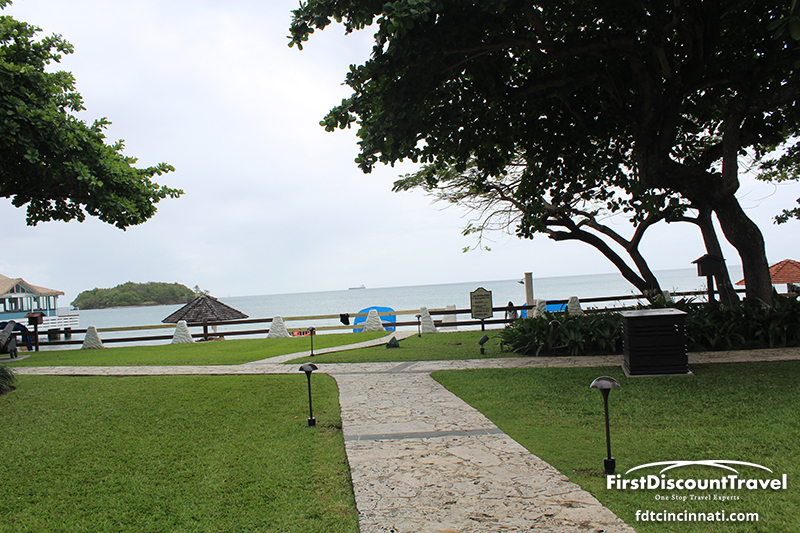 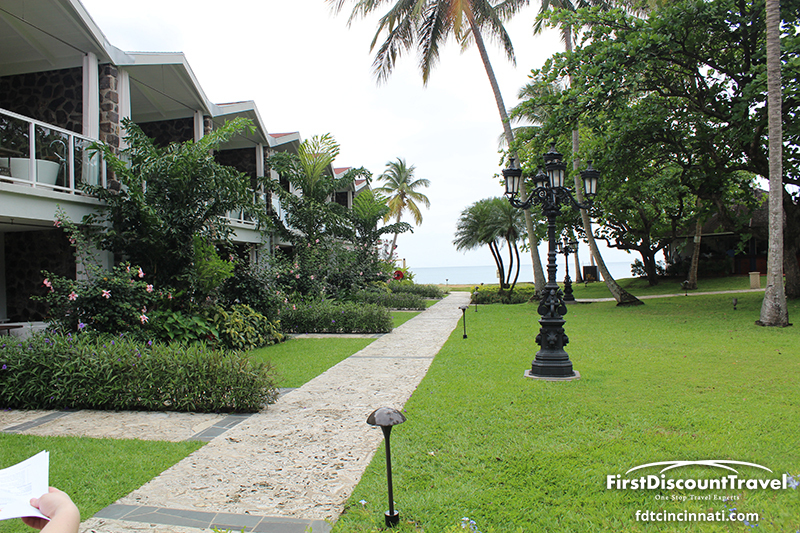 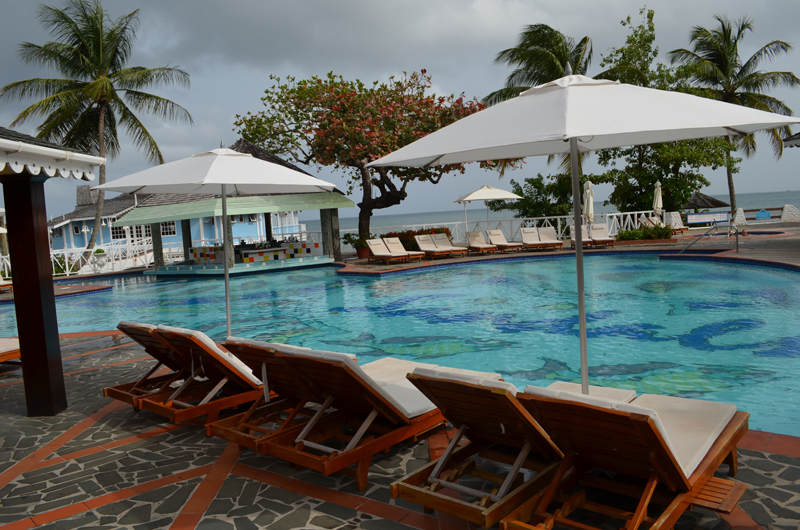 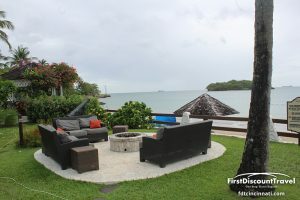 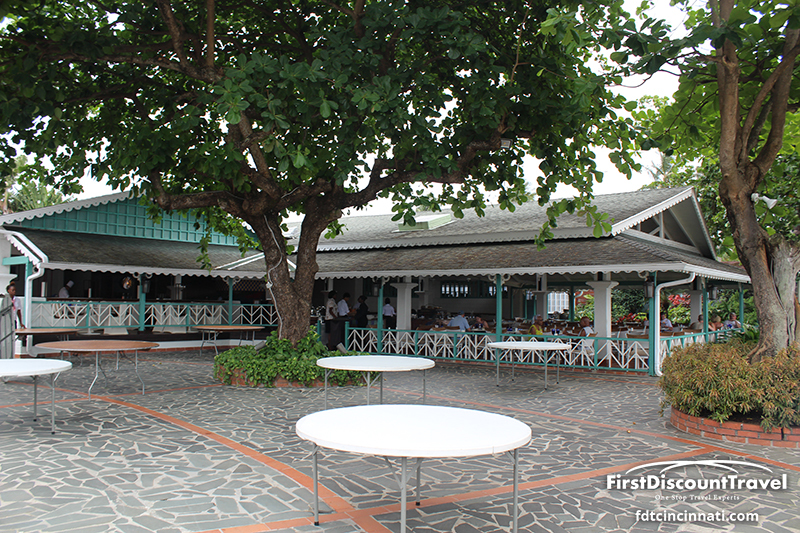 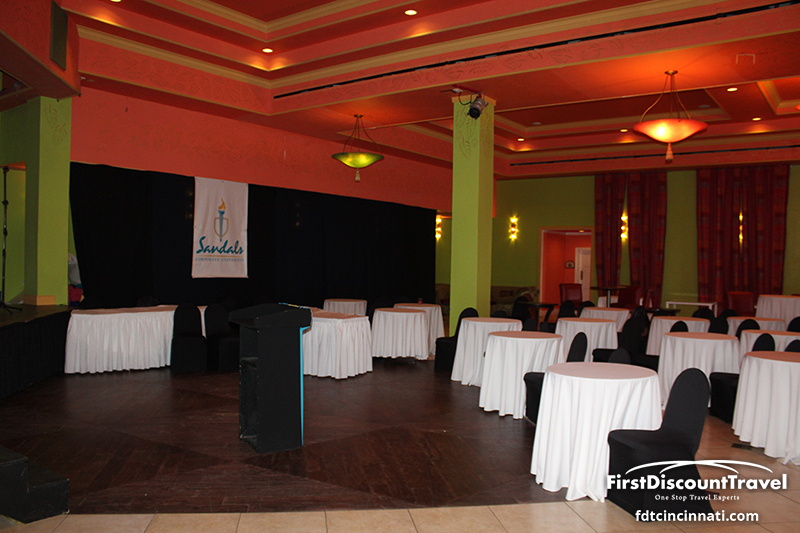 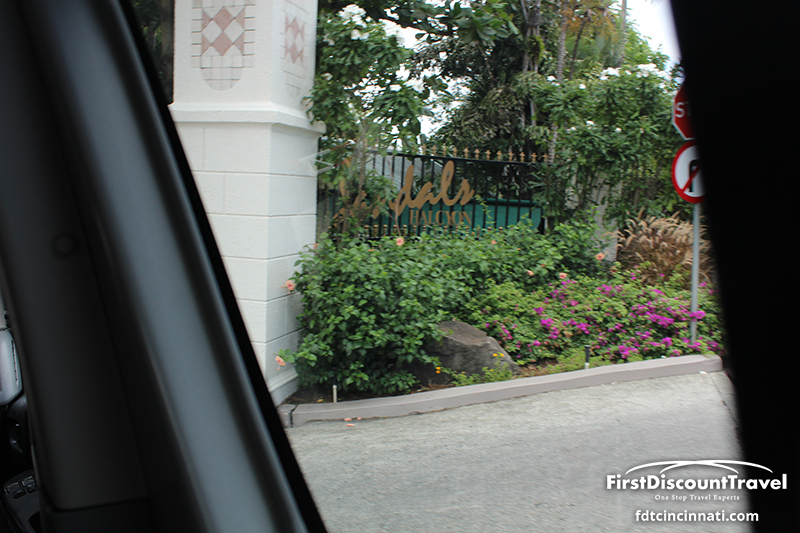 Sandals Halycon is located 75 minutes from the Hewanorra Airport in St. Lucia. 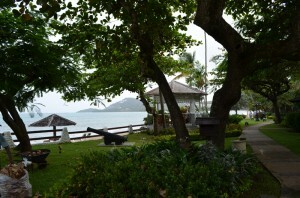 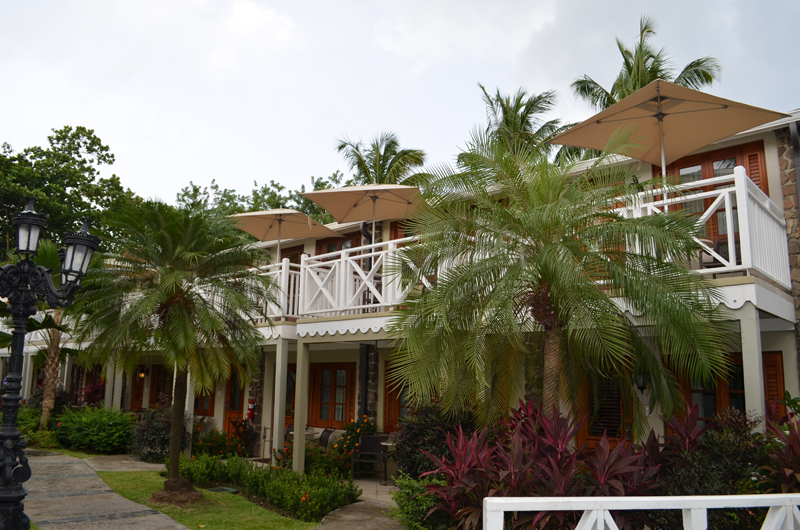 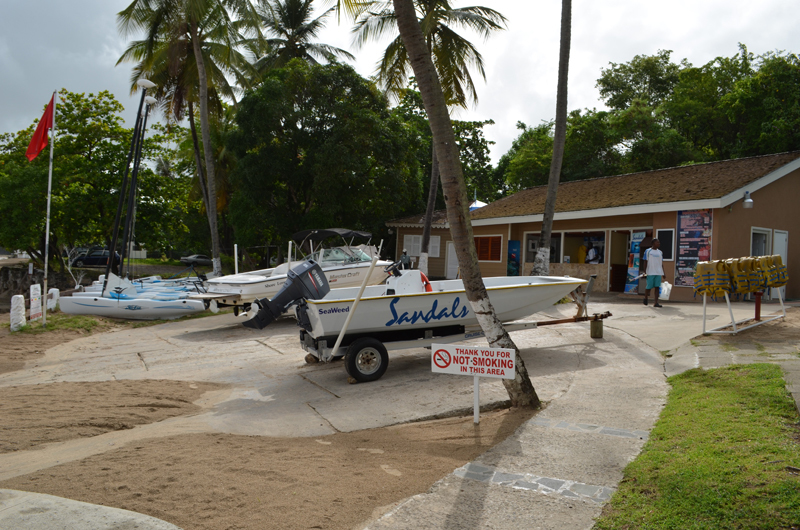 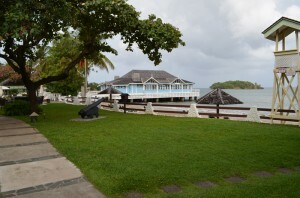 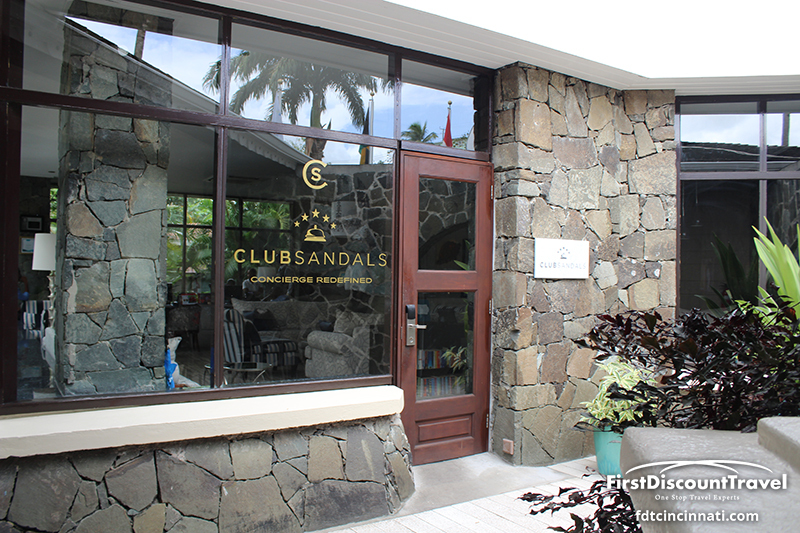 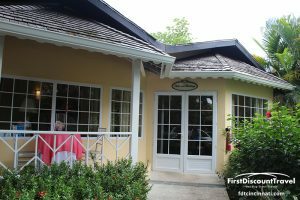 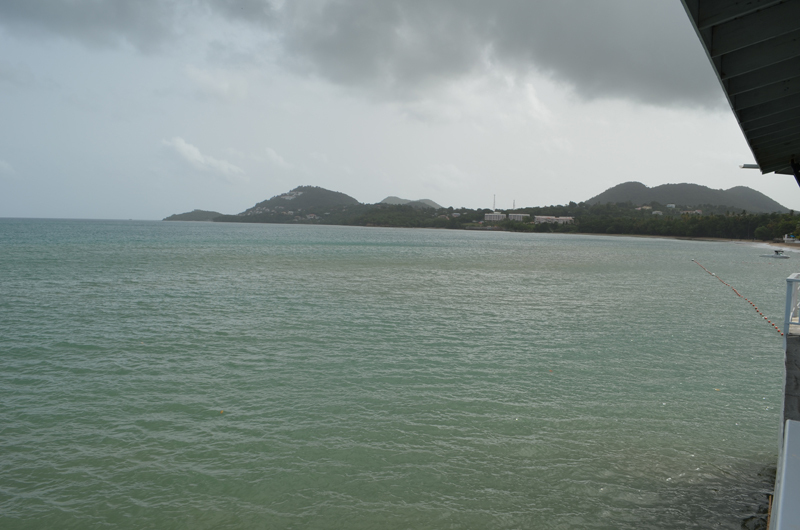 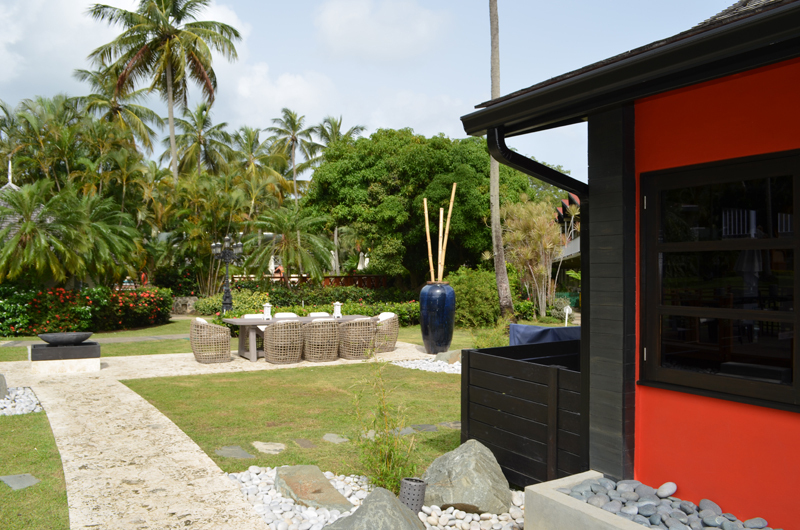 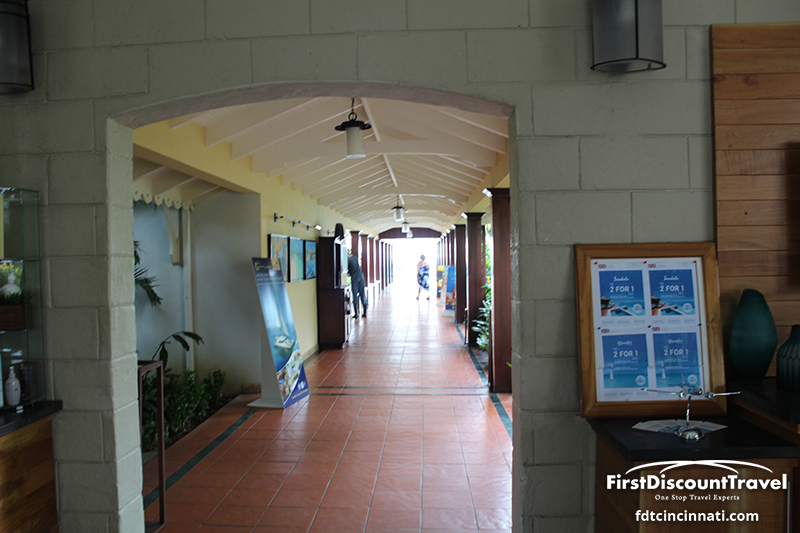 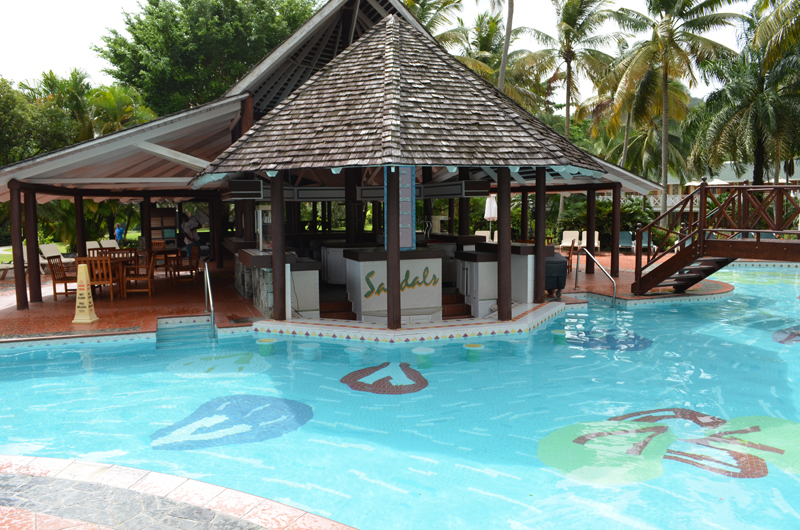 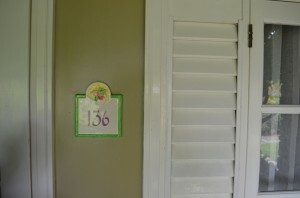 Sandals Halcyon is 15 minutes North of Sandals La Toc and 15 minutes South of Sandals Grande St Lucian. 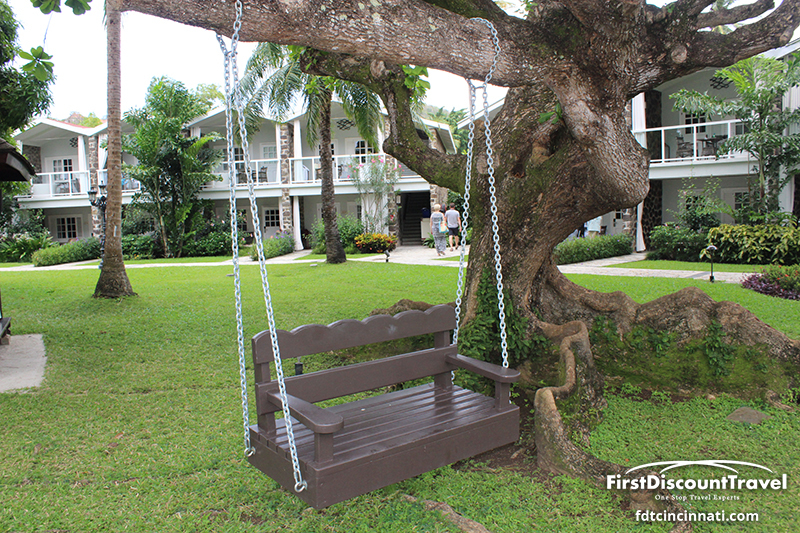 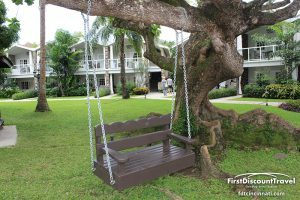 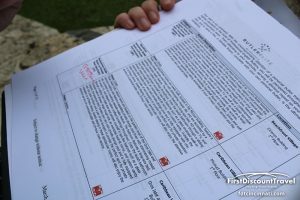 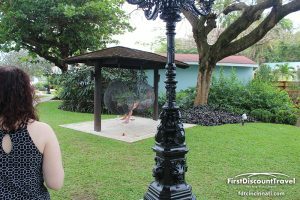 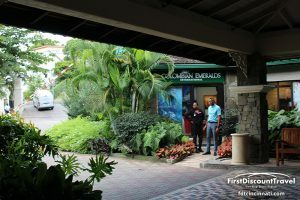 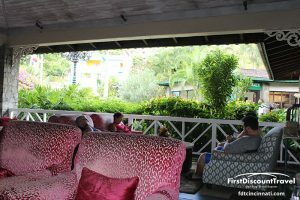 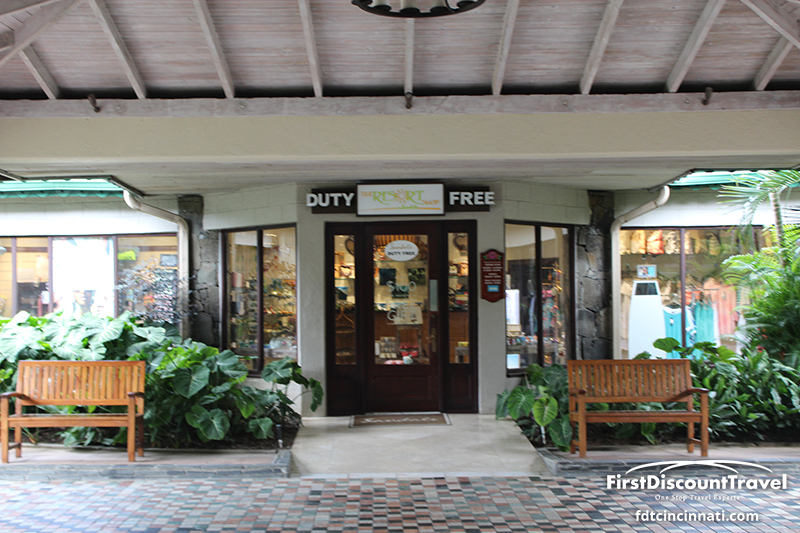 There is a complimentary shuttle that connects the three resorts with full exchange privileges. 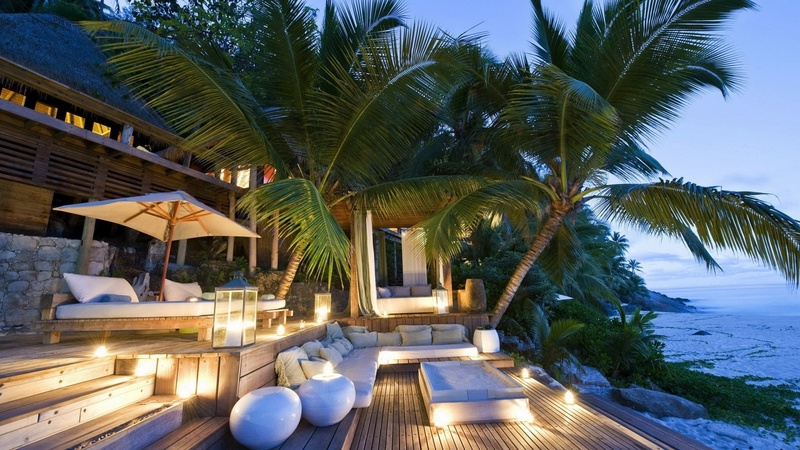 Haycyon is an intimate resort with just 169 rooms and no suites. 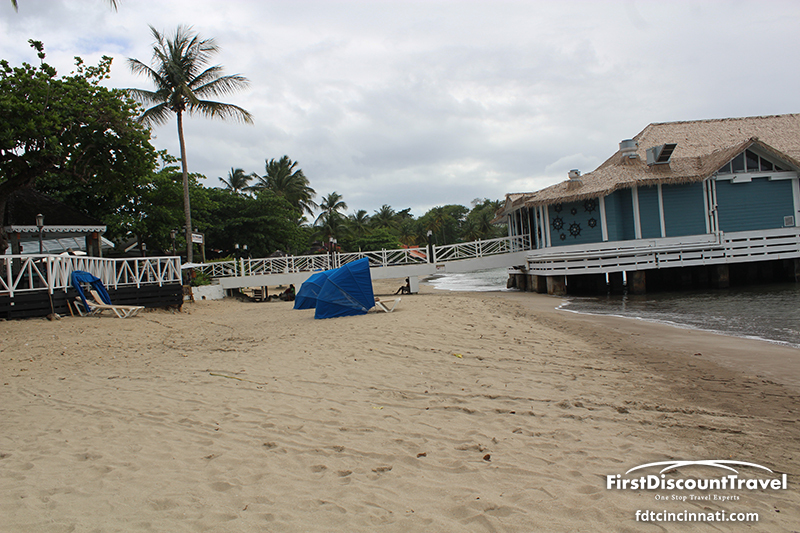 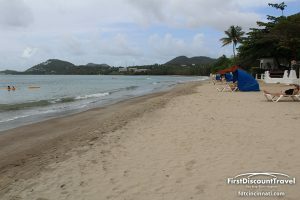 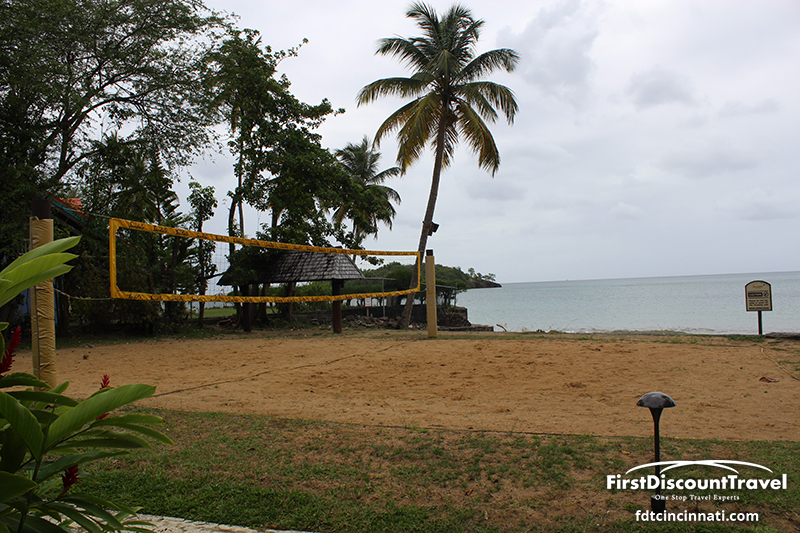 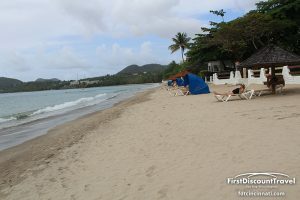 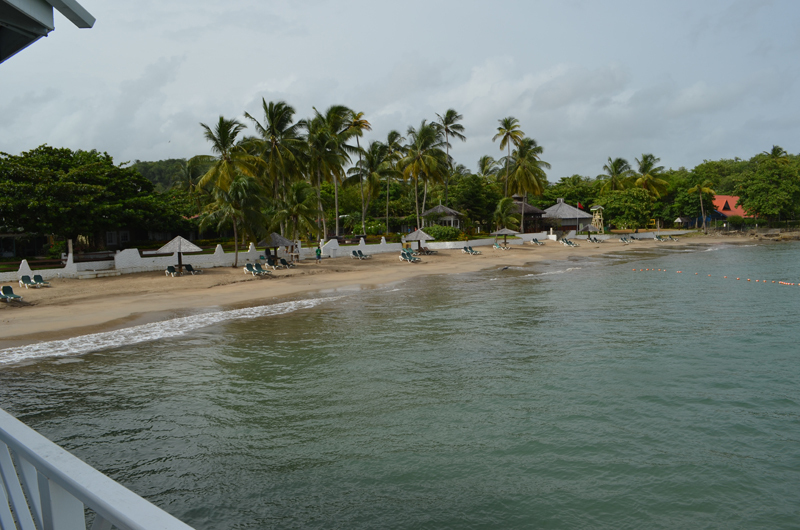 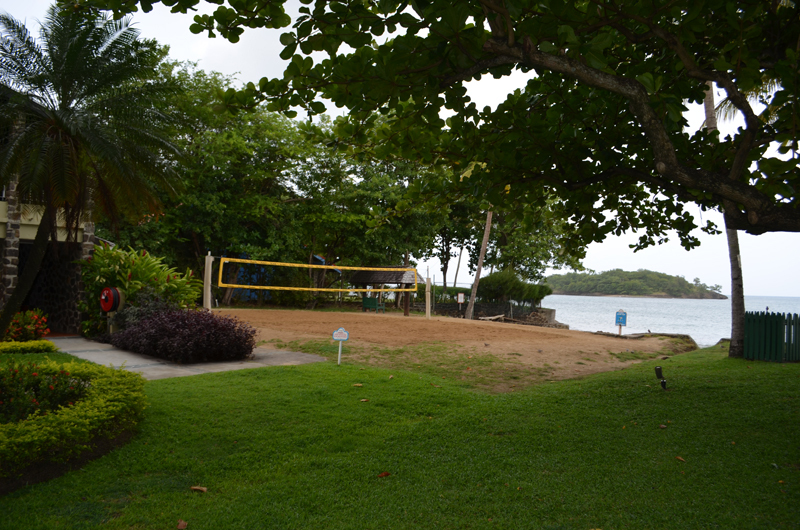 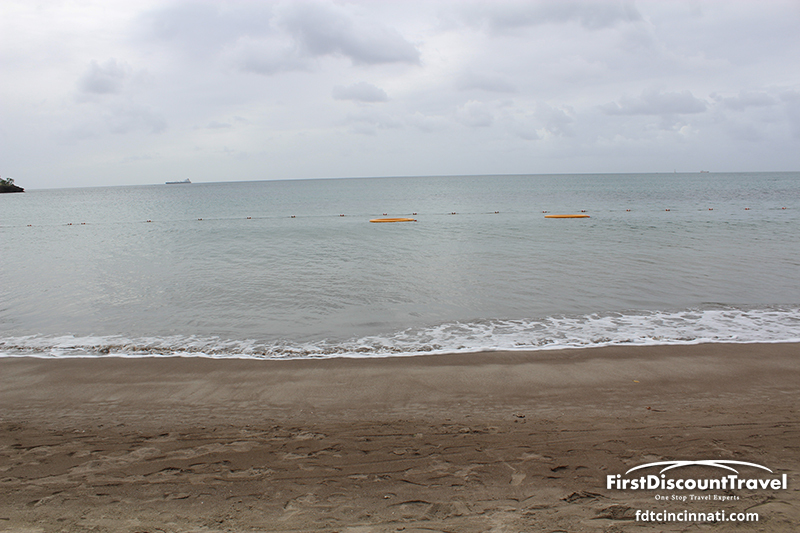 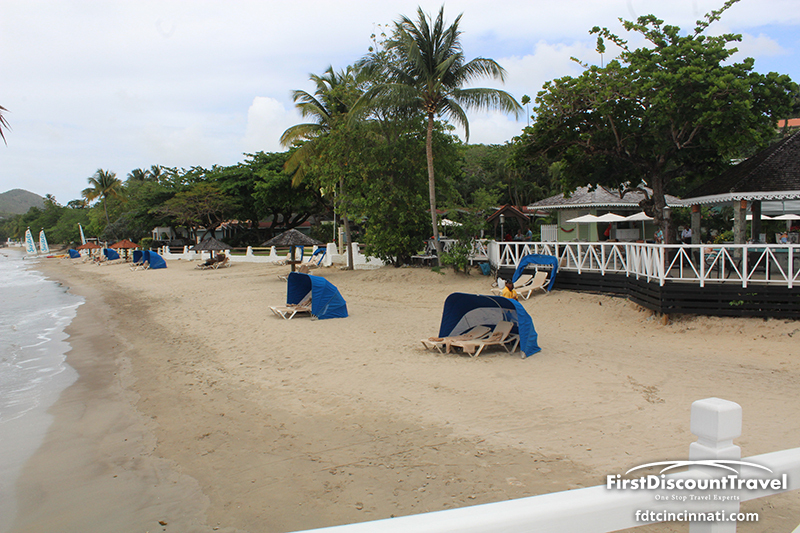 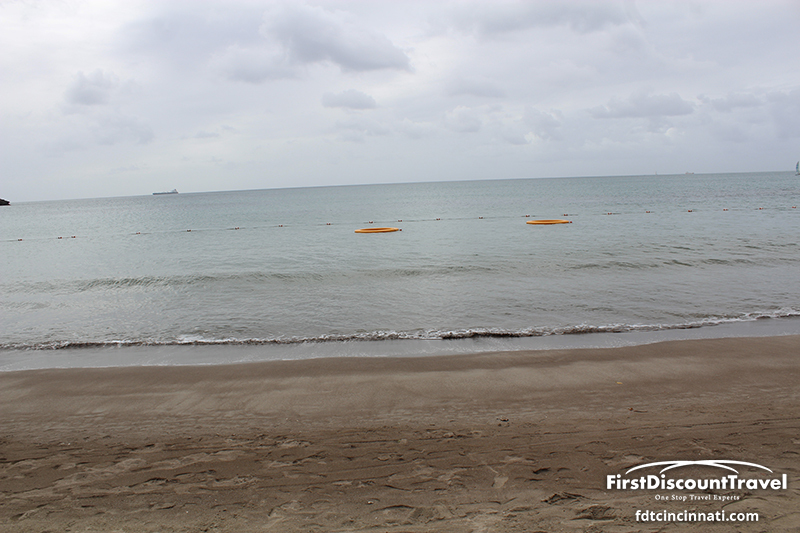 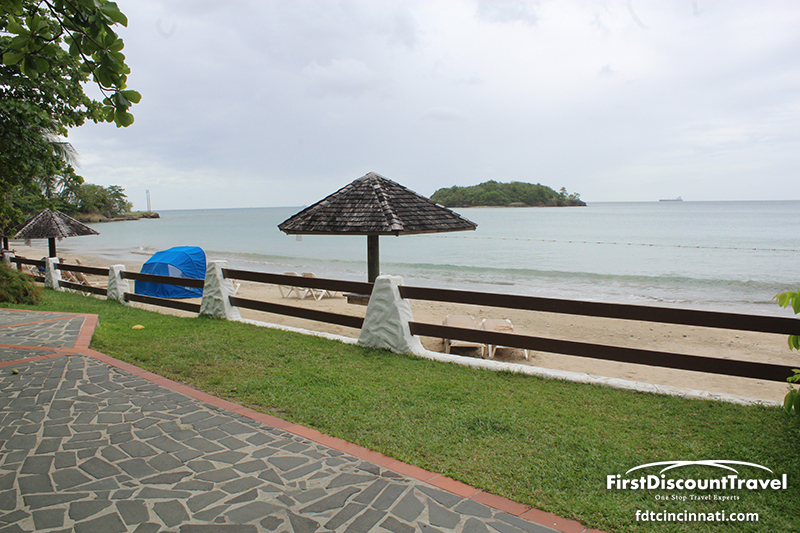 The beach at Halcyon is nice but has darker sand (like most beaches in St Lucia), and two large pools with swim up pool bars. 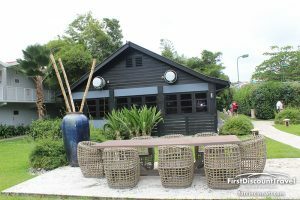 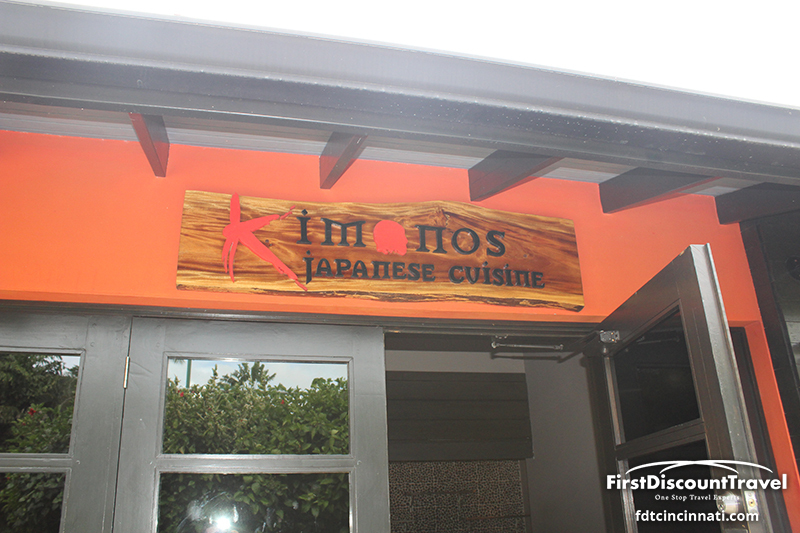 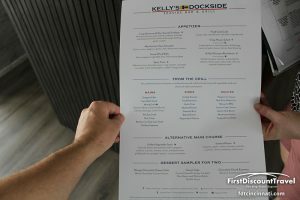 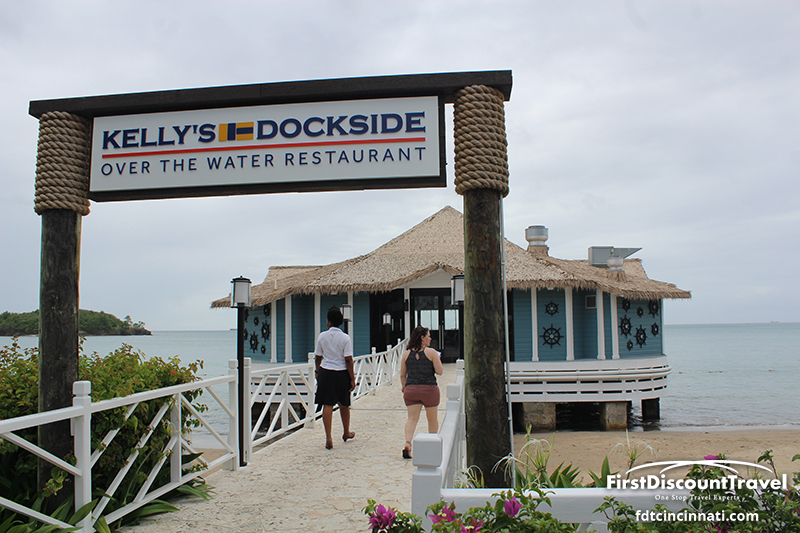 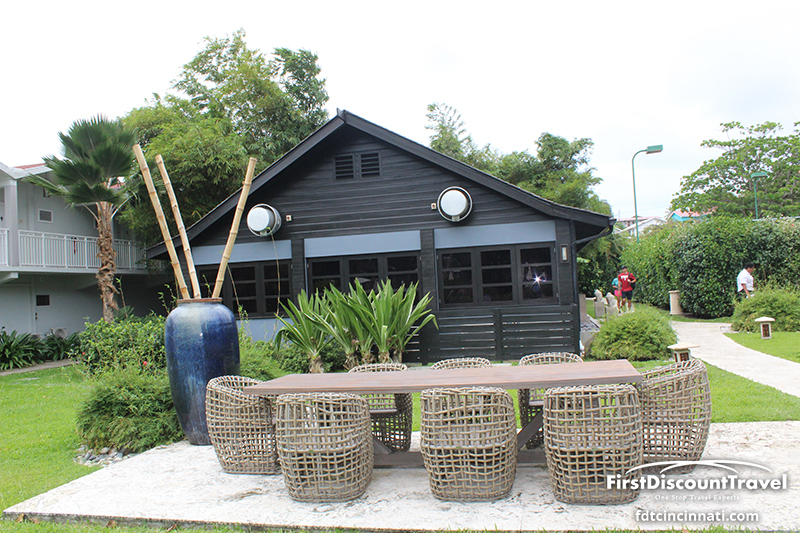 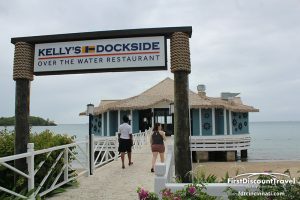 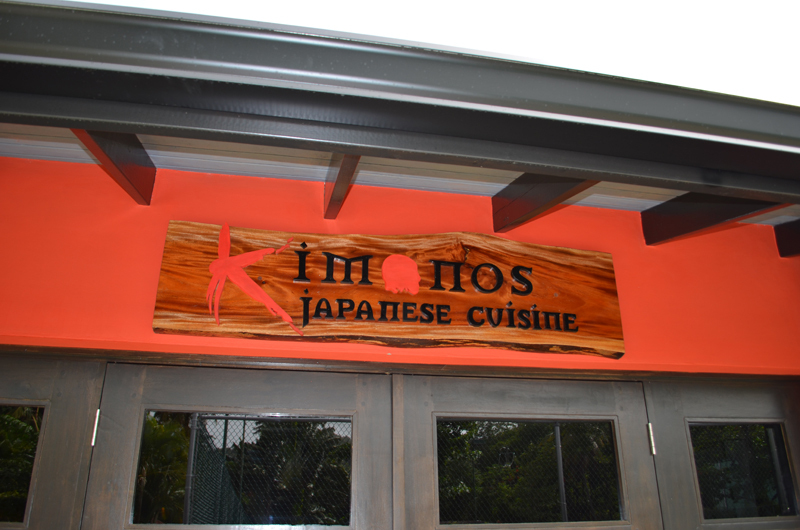 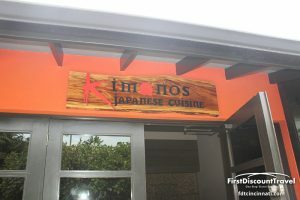 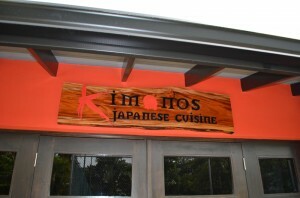 There are six restaurants at Halcyon with Kelly’s Dockside (formerly the Pier restaurant) and Kimonos (teppanaki) being the most popular. 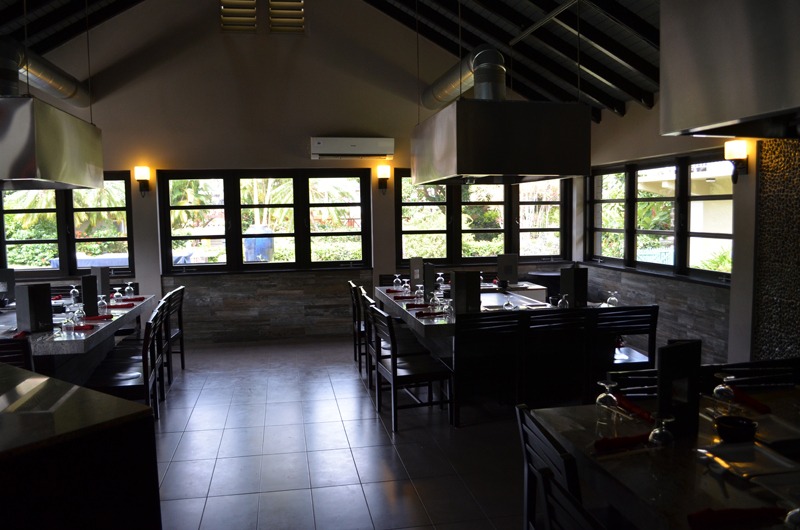 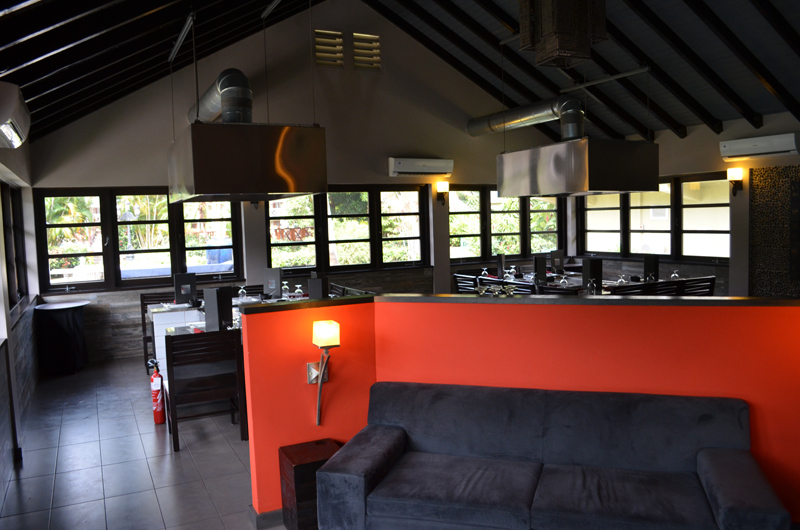 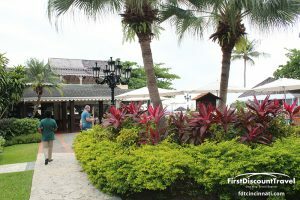 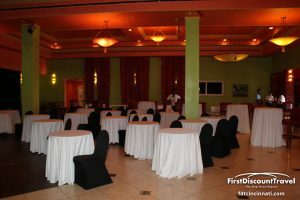 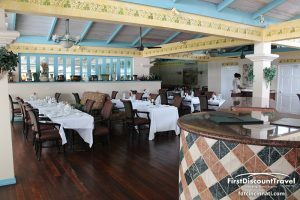 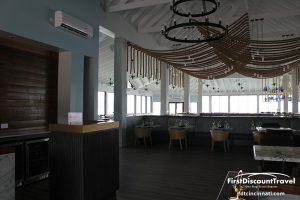 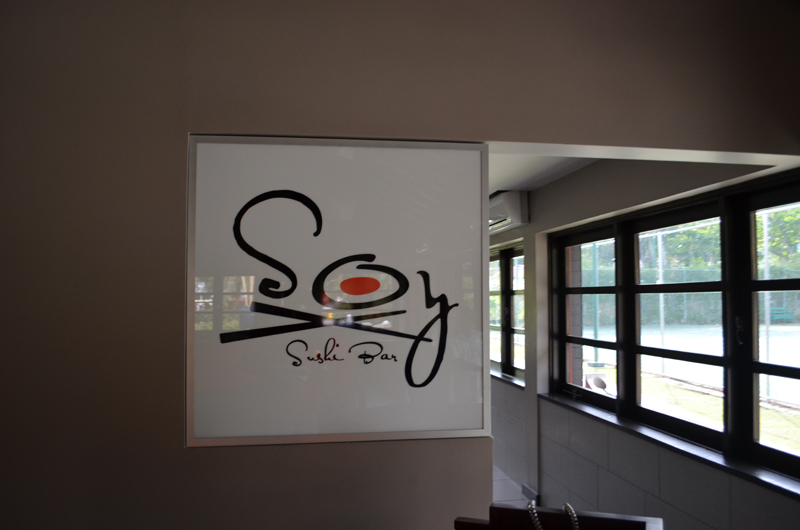 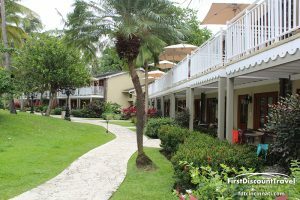 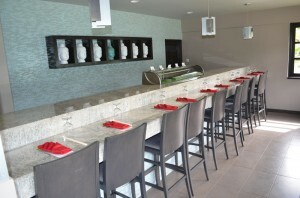 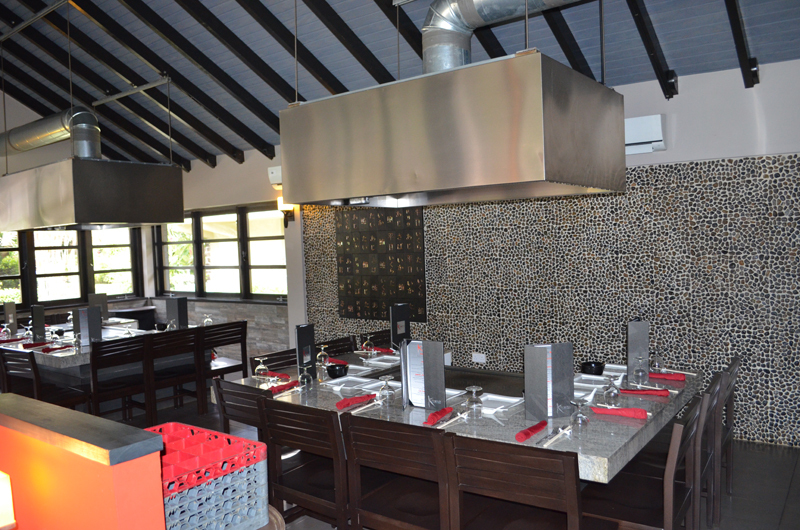 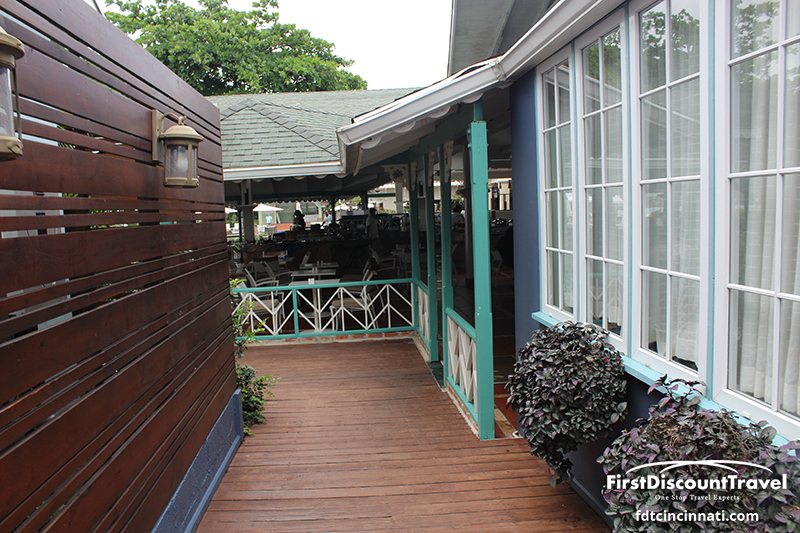 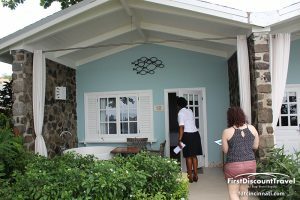 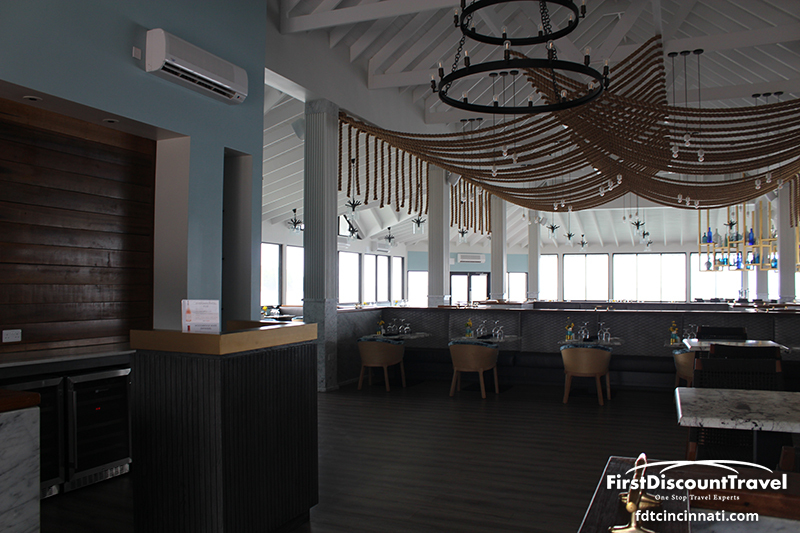 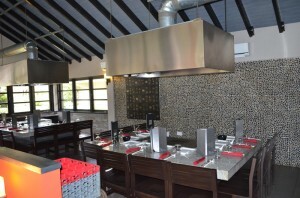 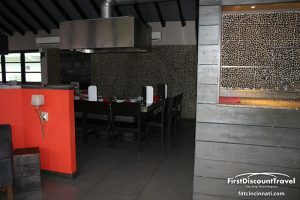 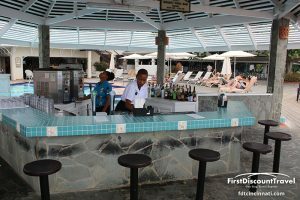 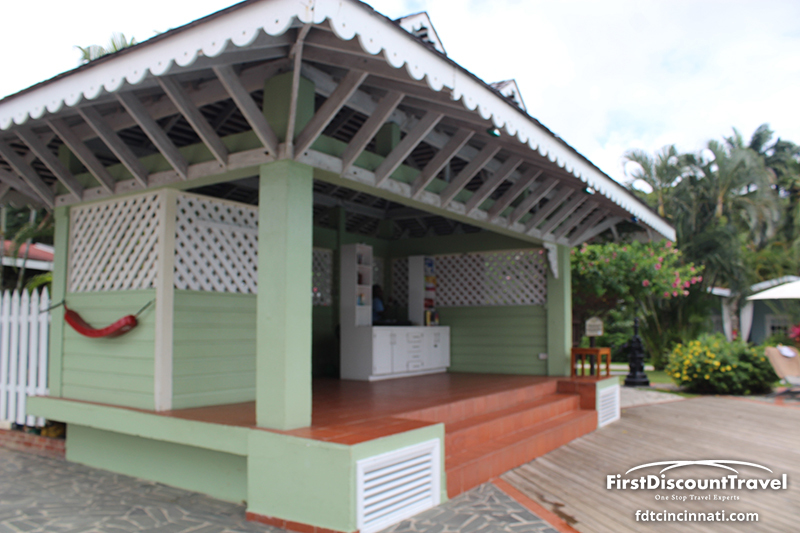 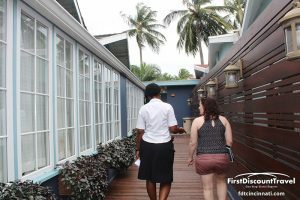 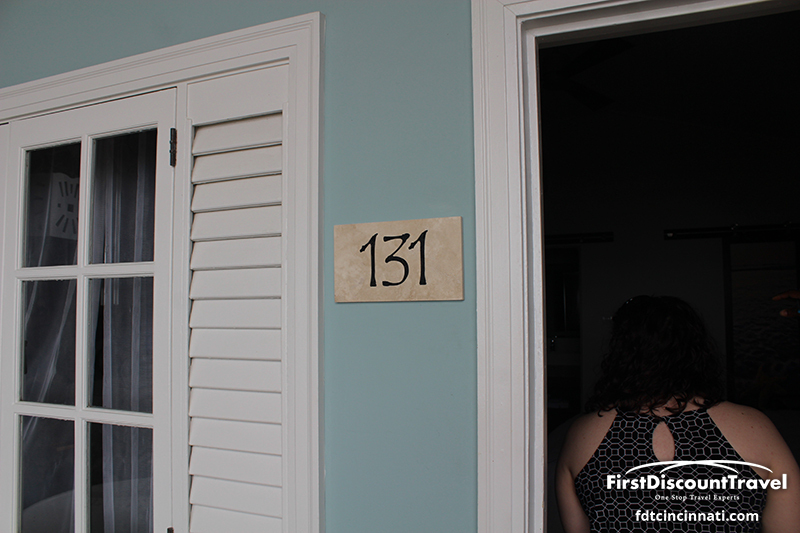 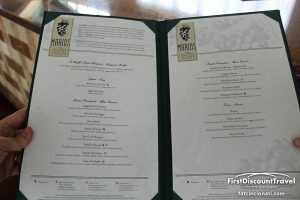 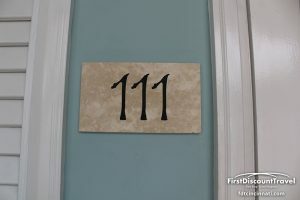 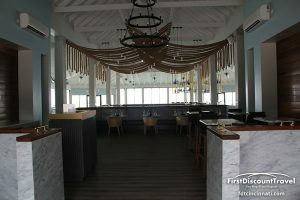 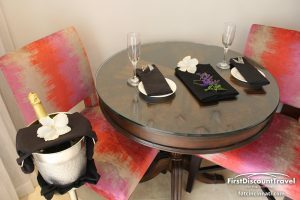 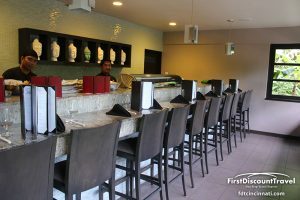 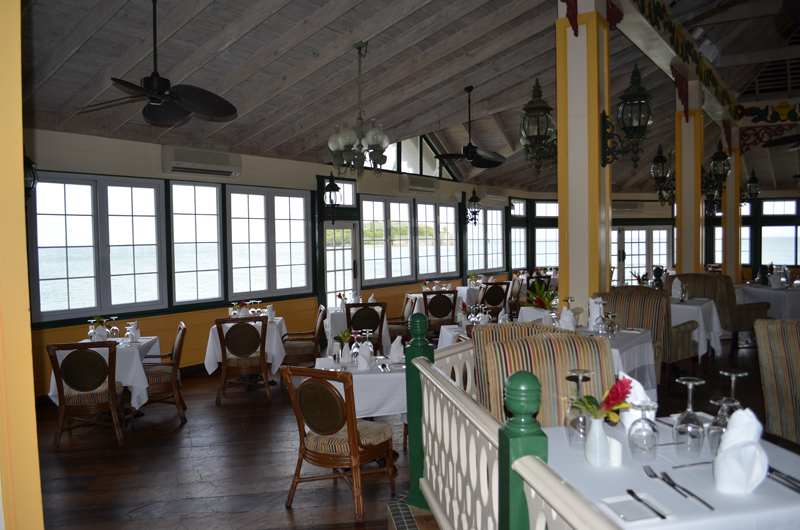 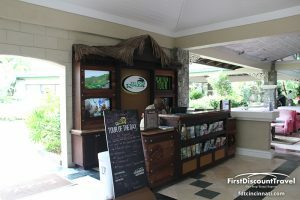 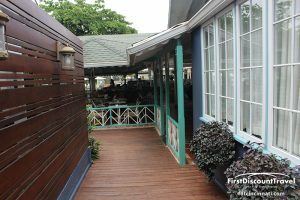 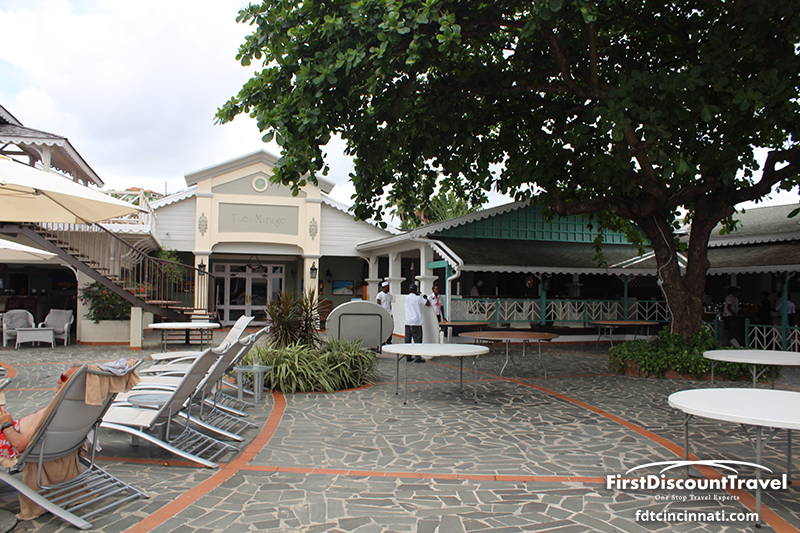 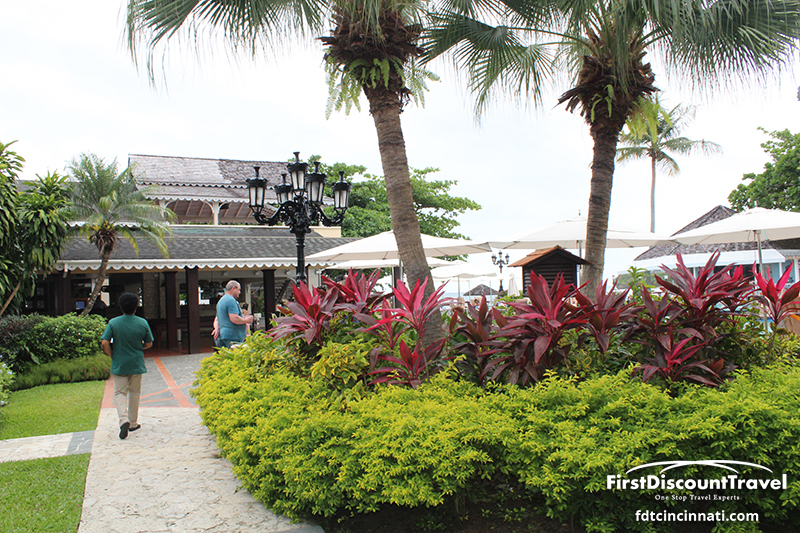 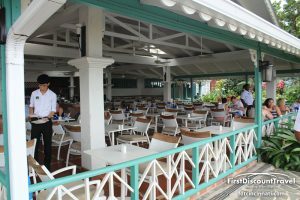 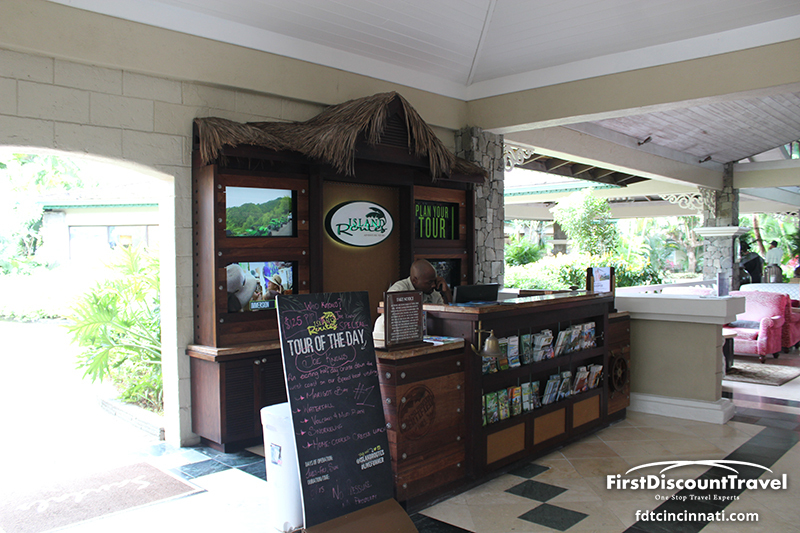 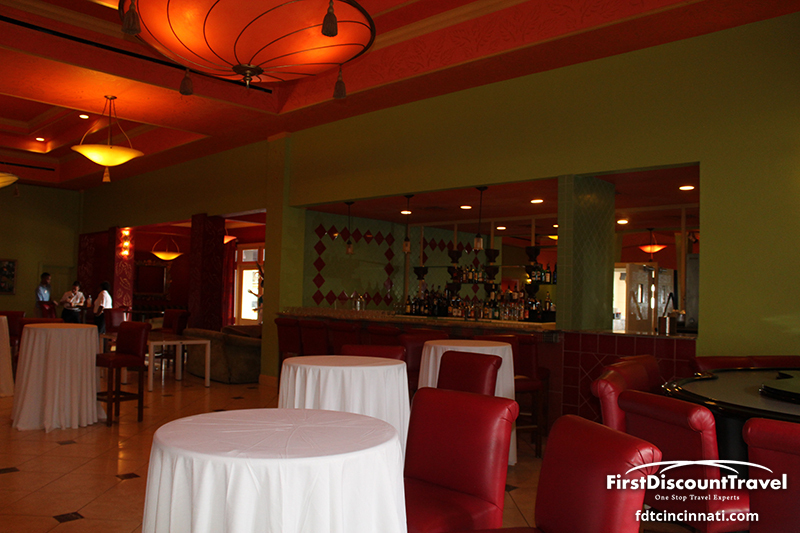 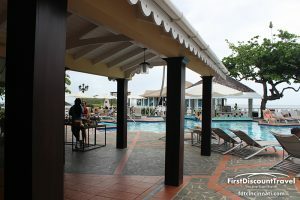 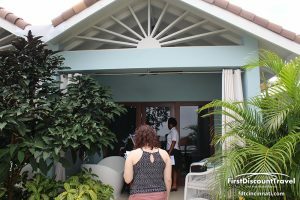 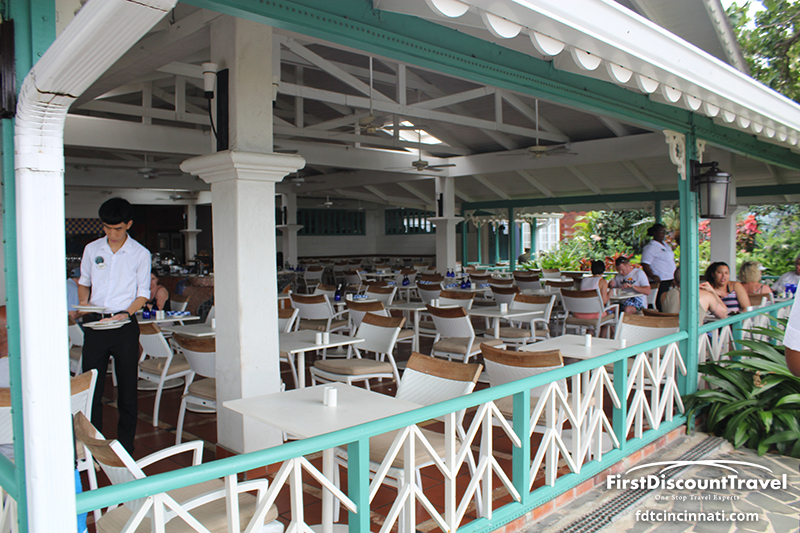 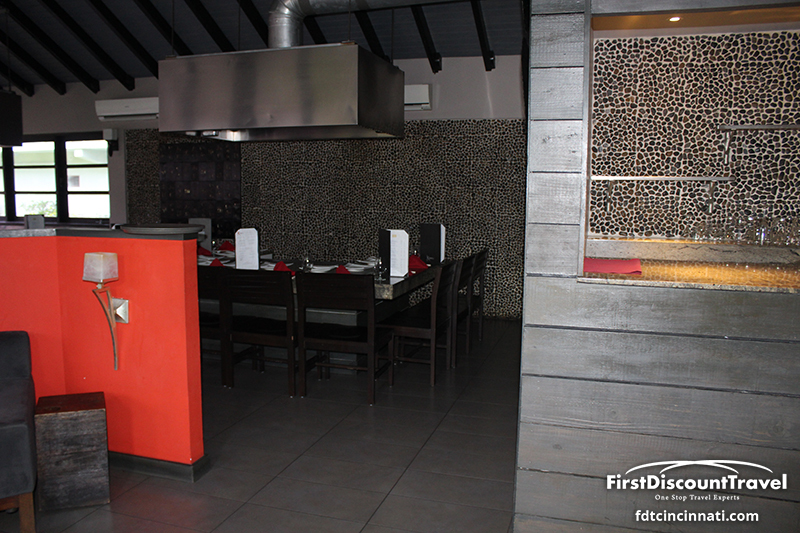 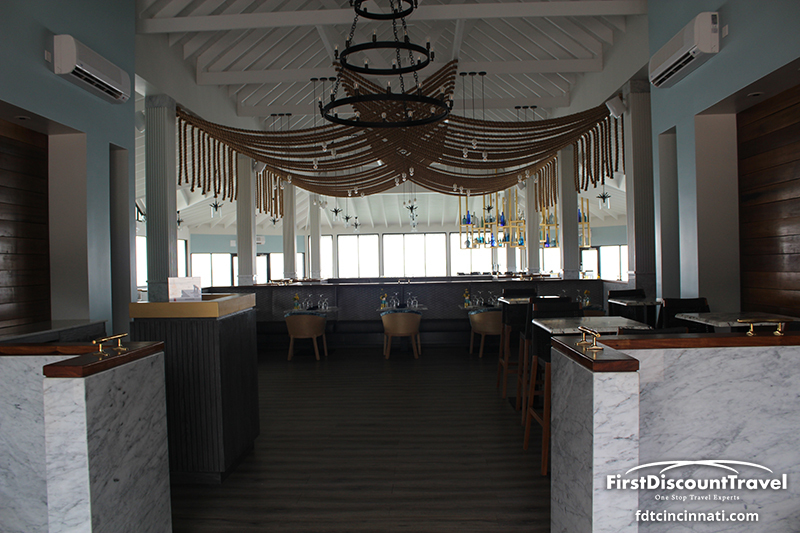 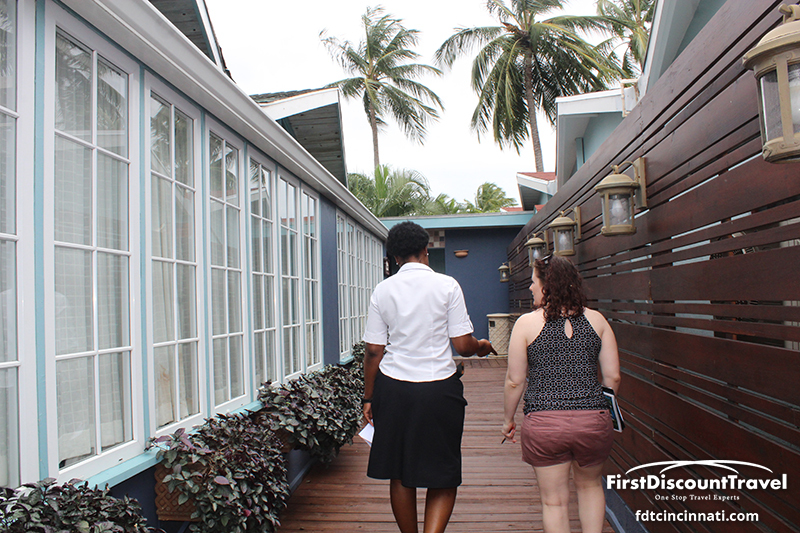 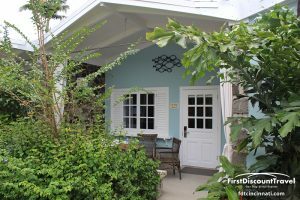 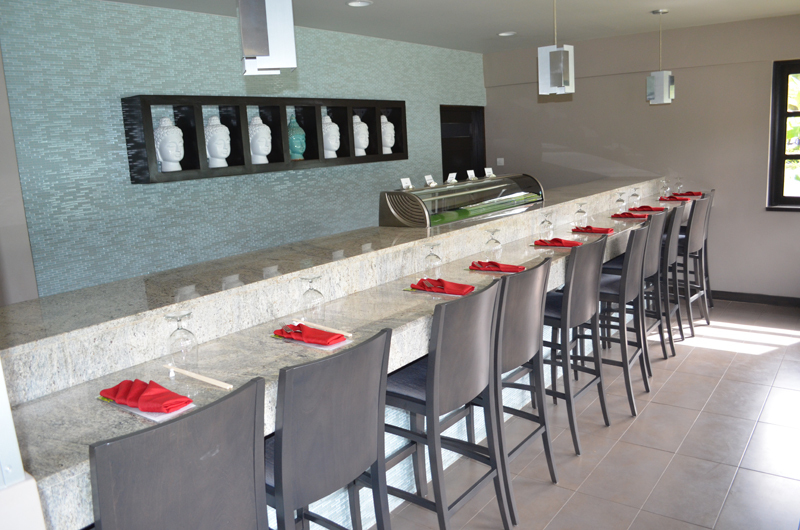 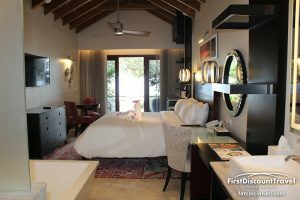 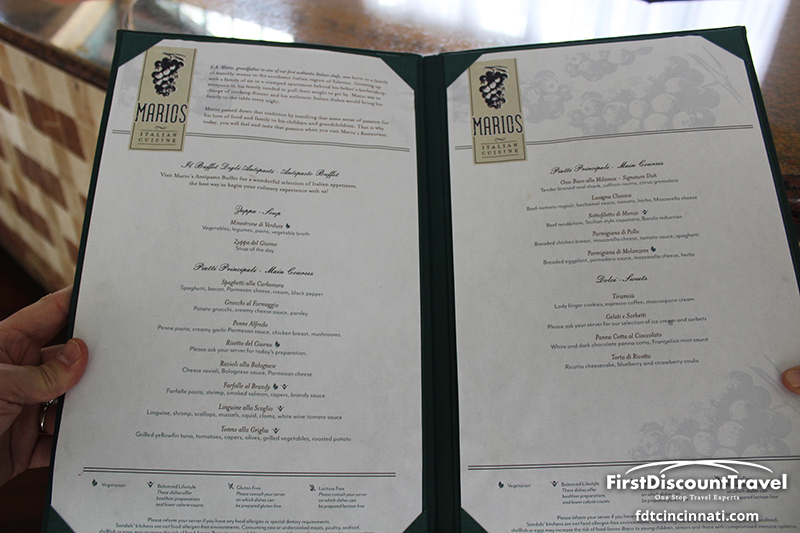 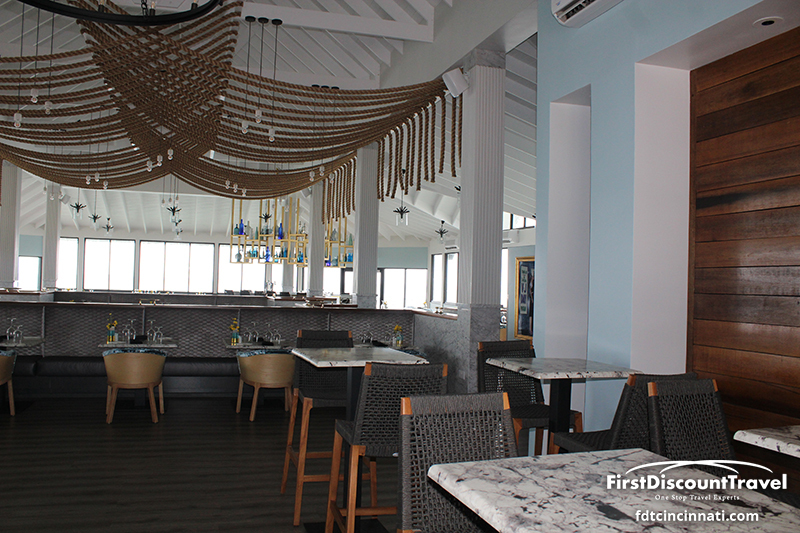 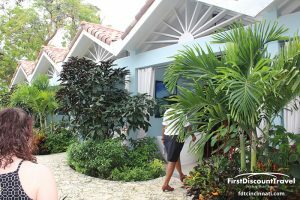 In addition, guests of Halcyon receive full exchange privileges at the 18 addition restaurants at the other two Sandals Resorts. 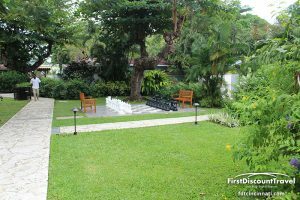 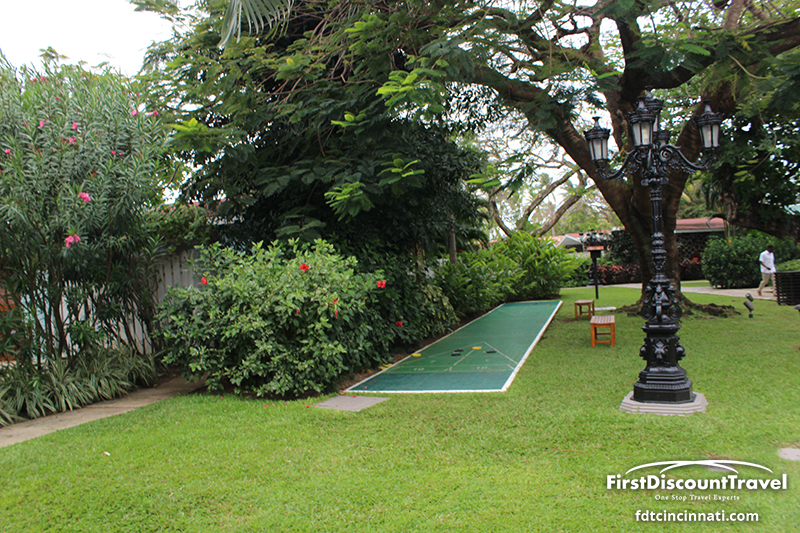 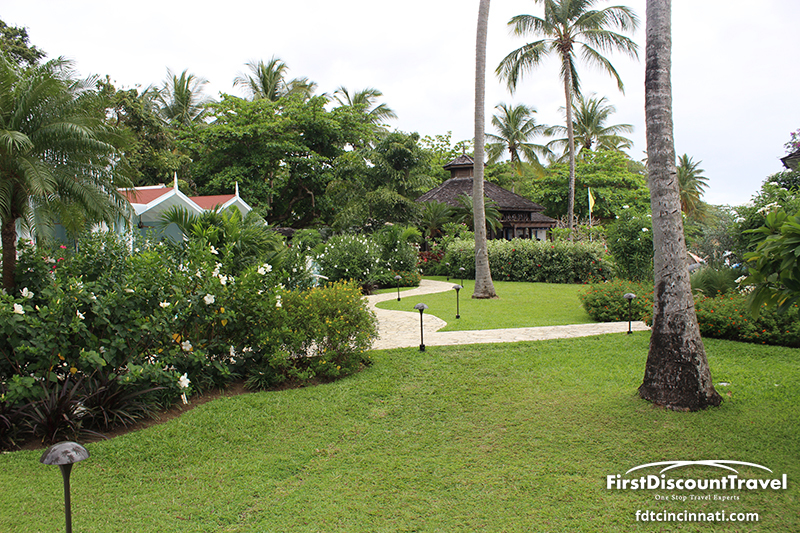 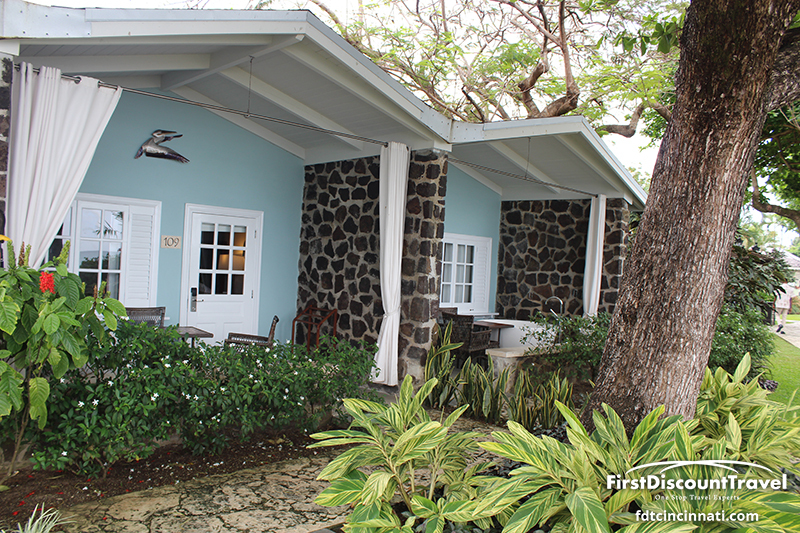 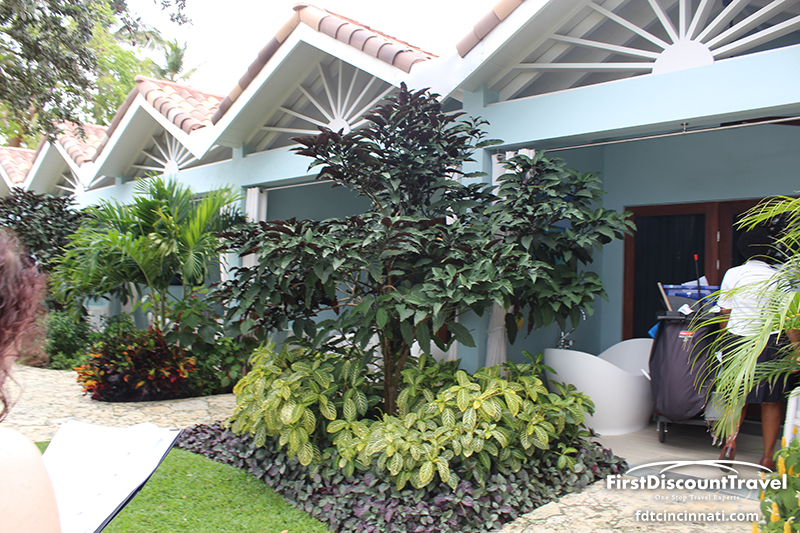 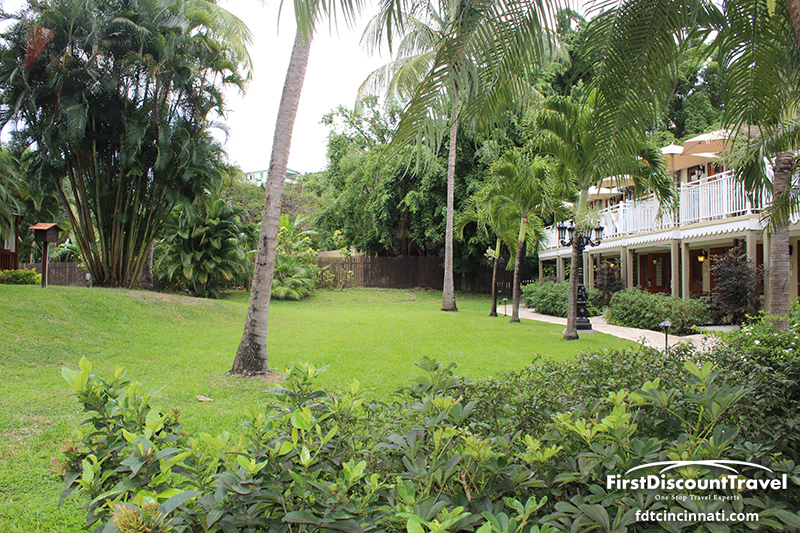 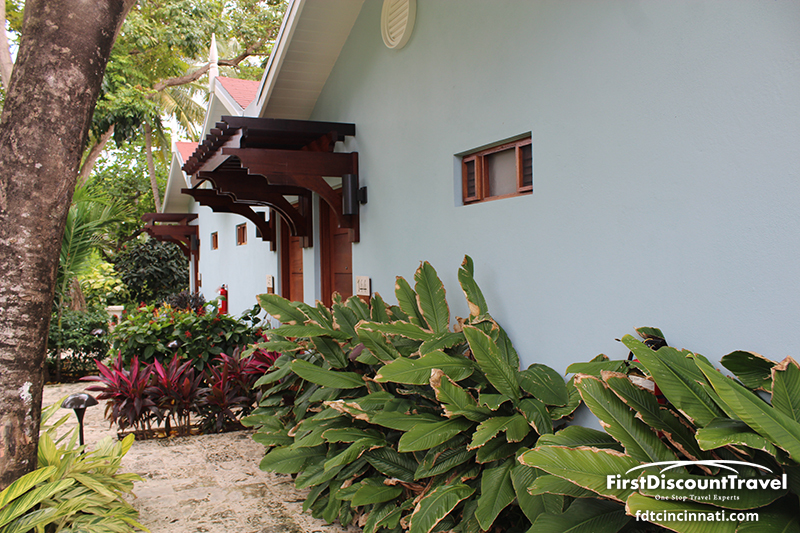 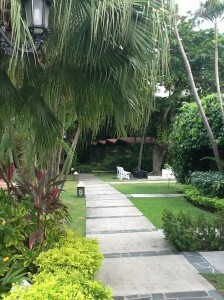 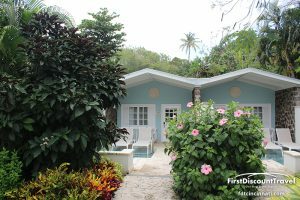 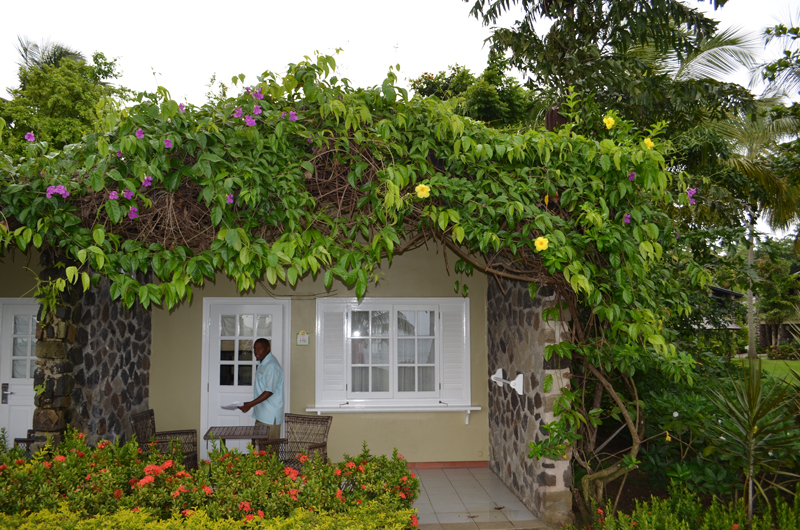 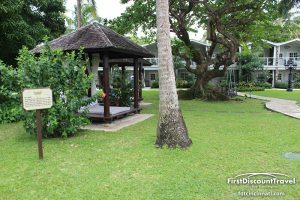 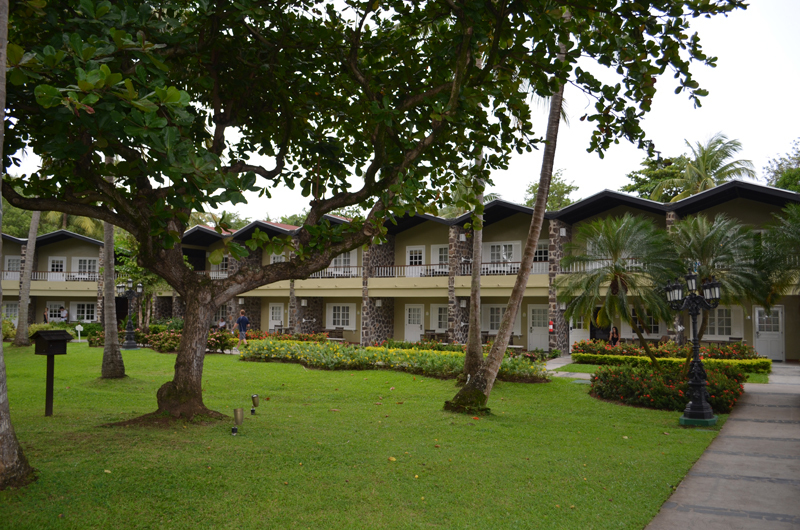 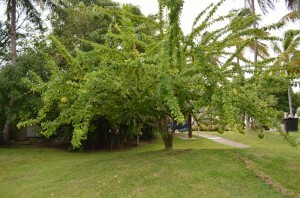 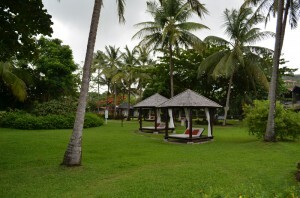 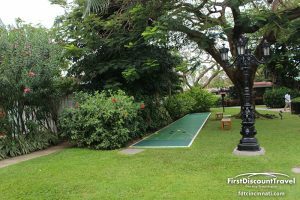 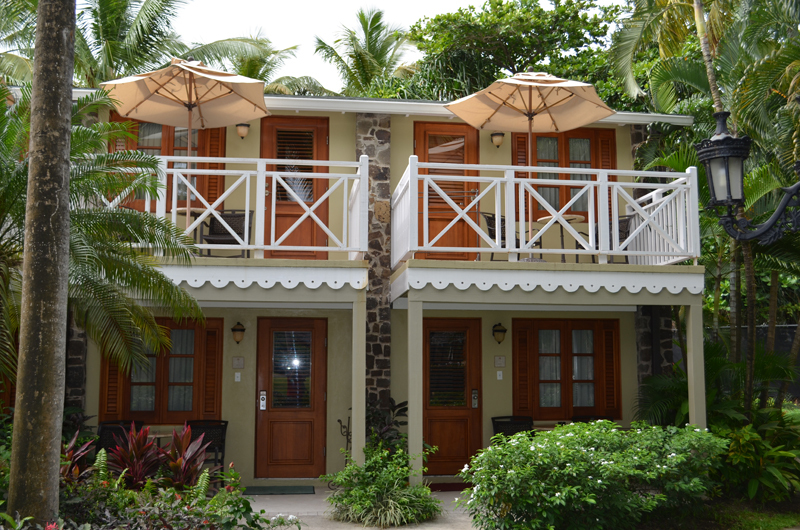 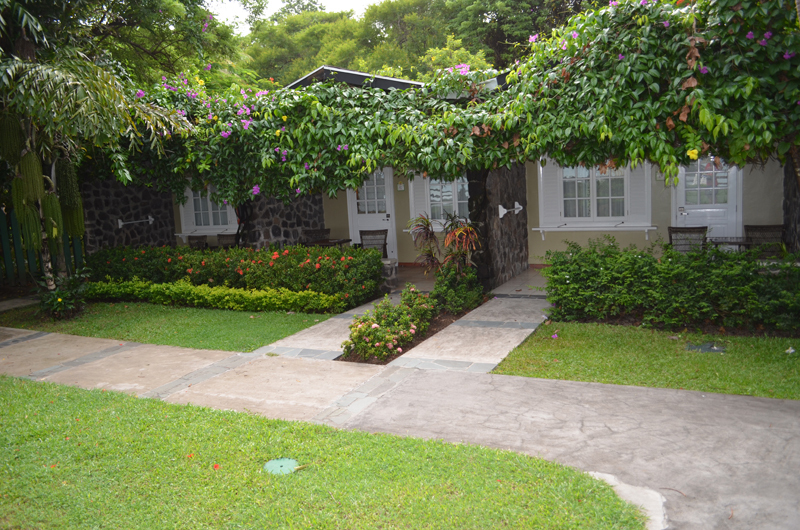 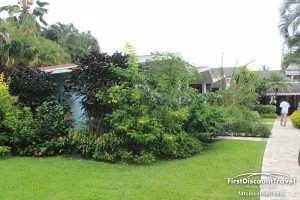 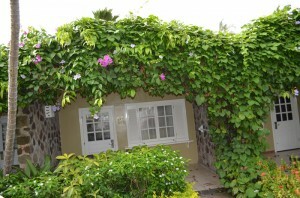 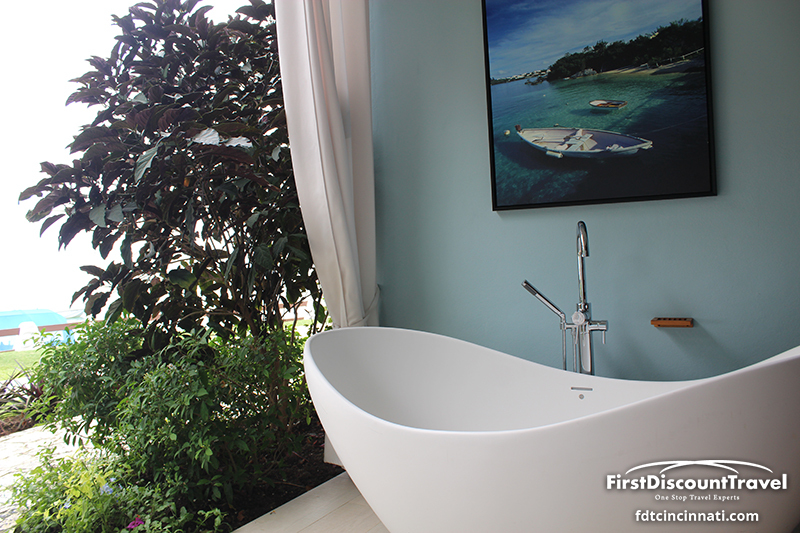 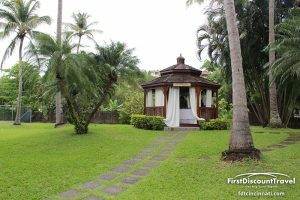 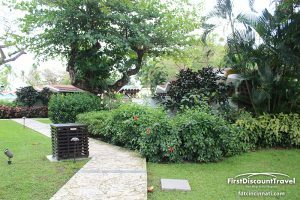 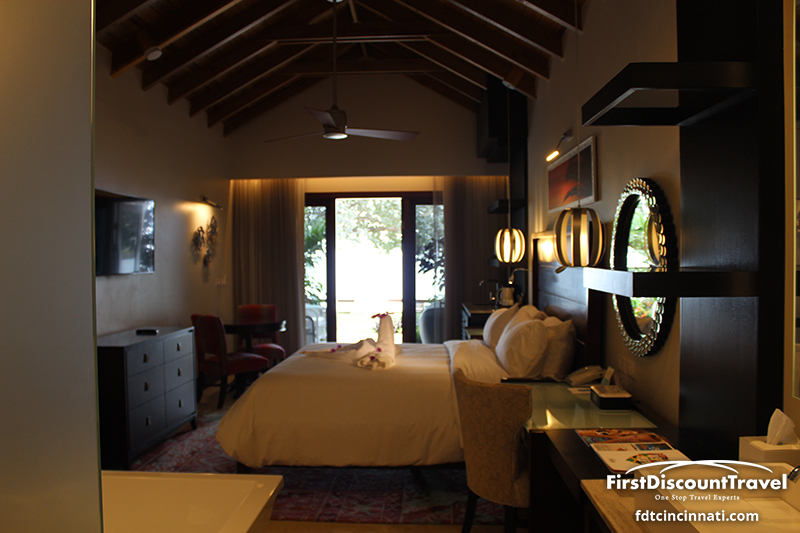 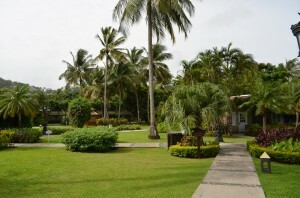 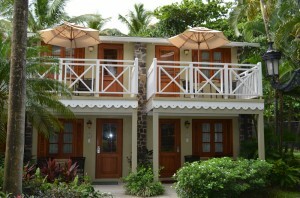 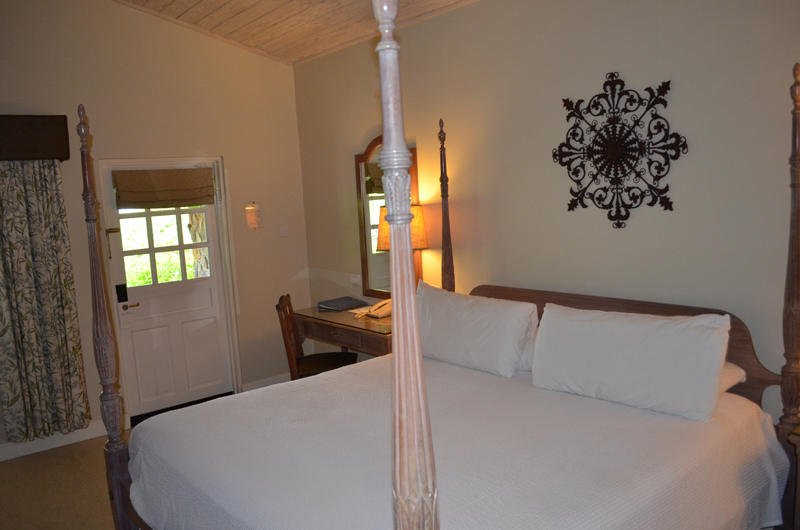 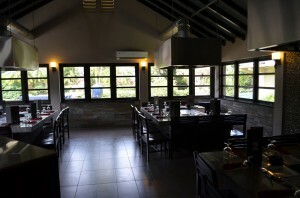 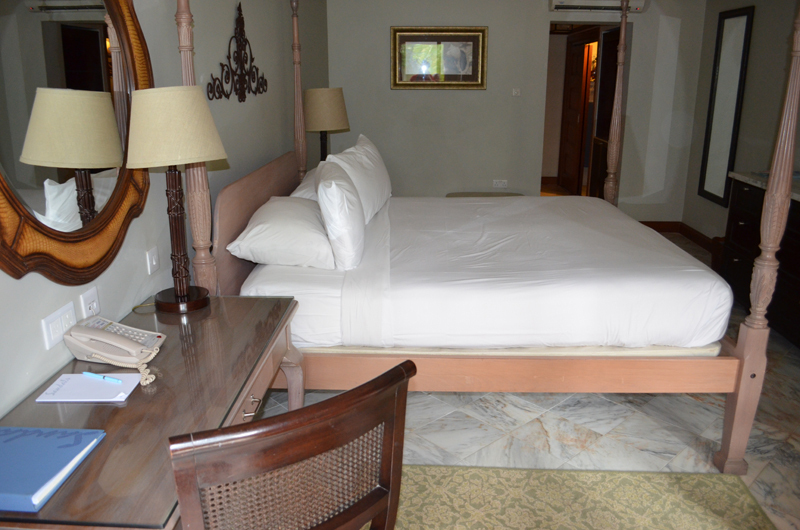 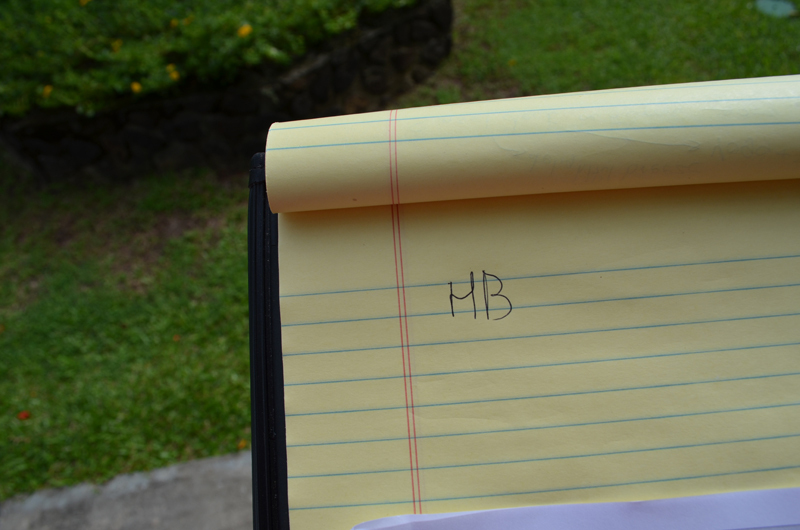 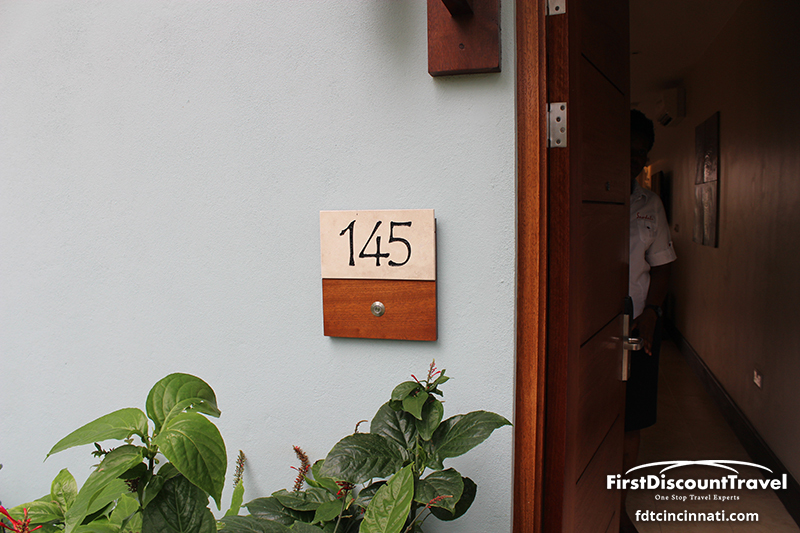 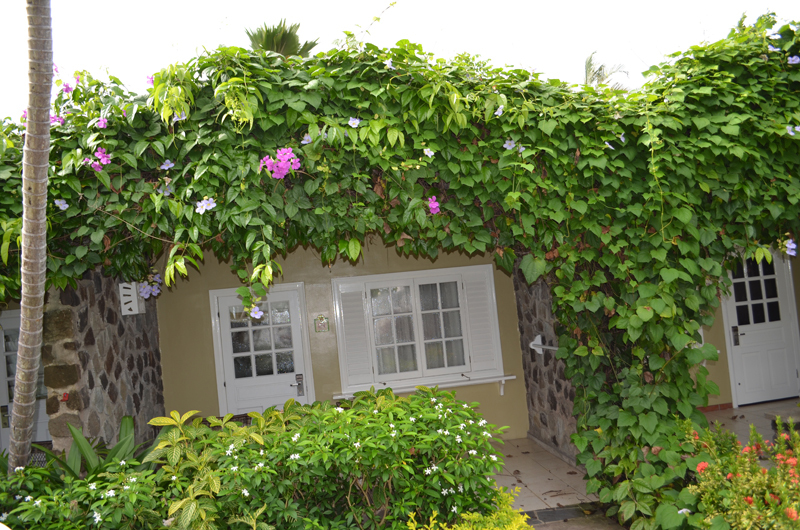 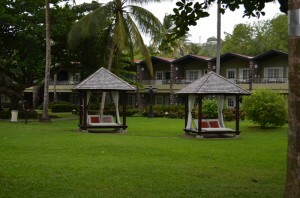 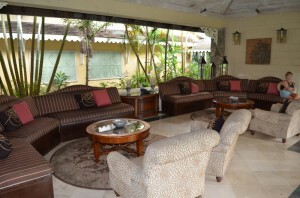 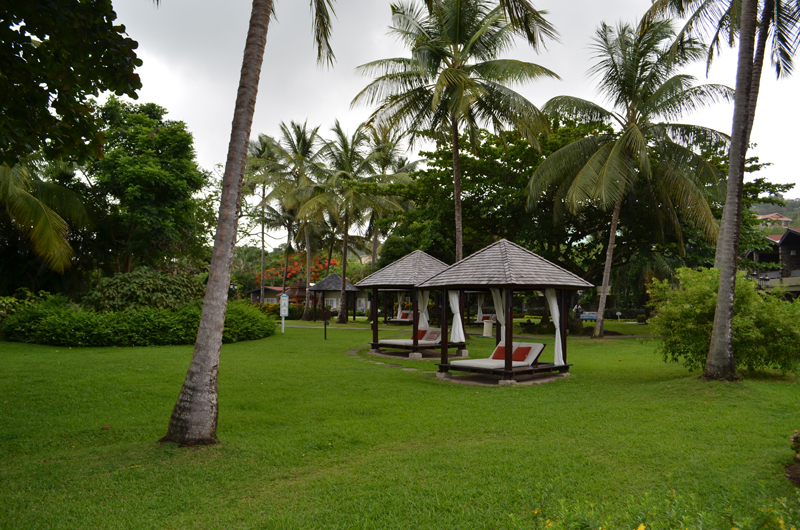 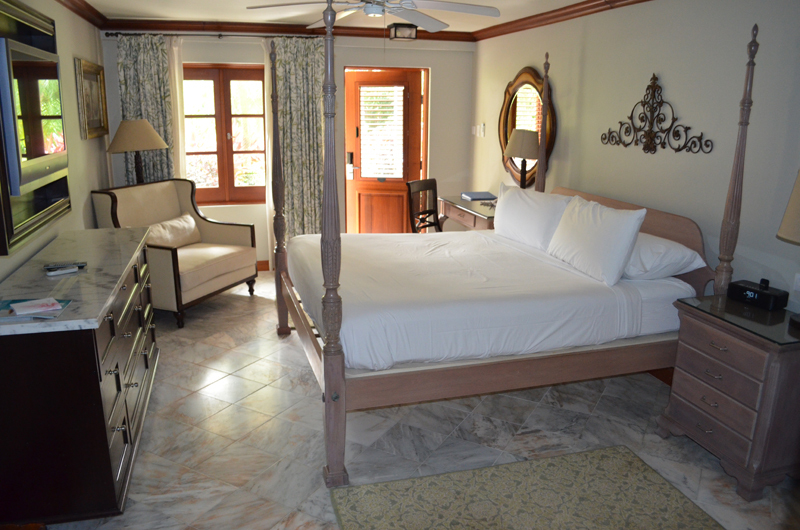 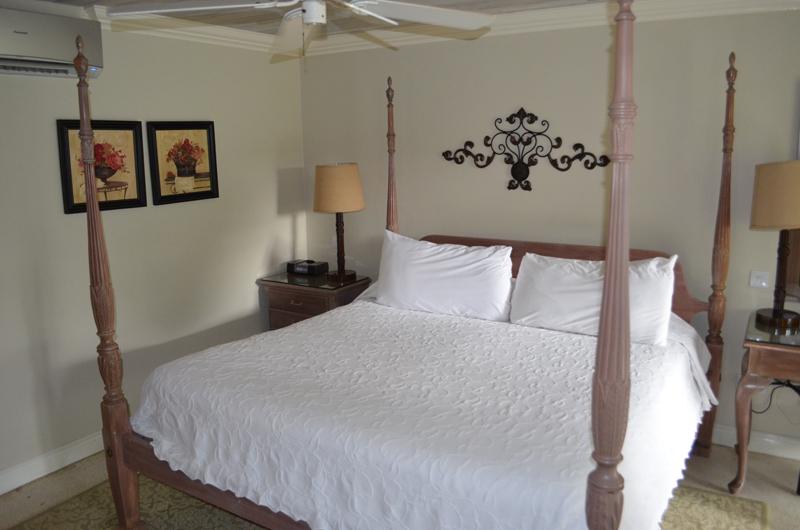 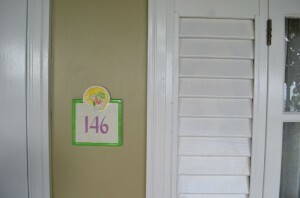 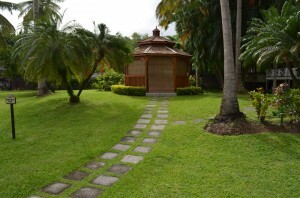 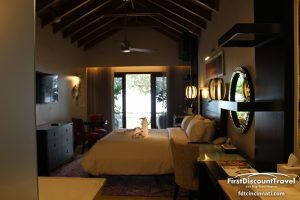 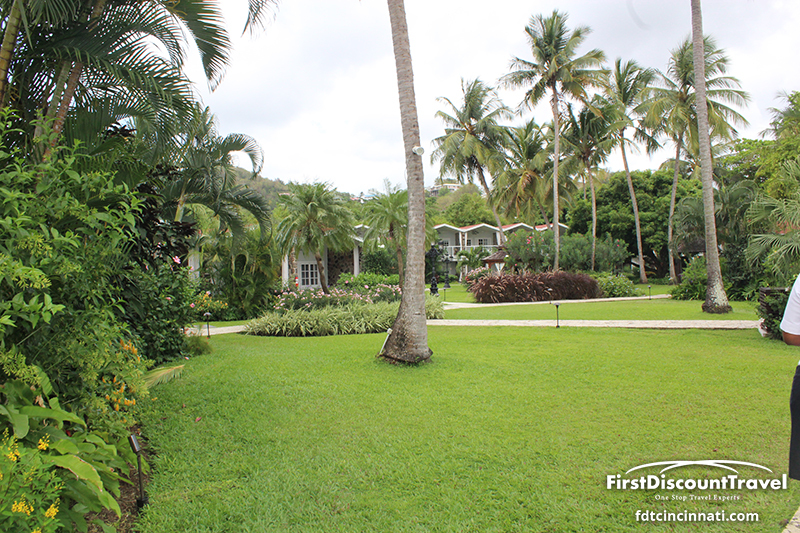 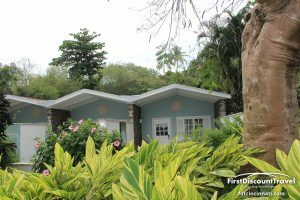 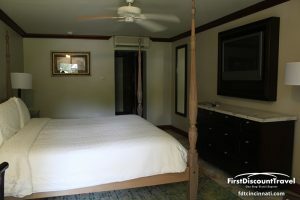 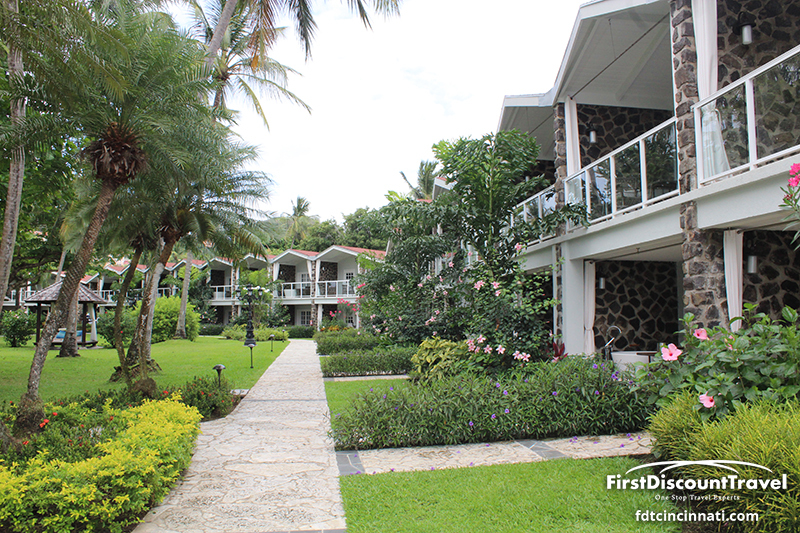 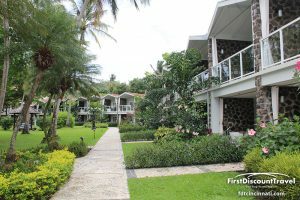 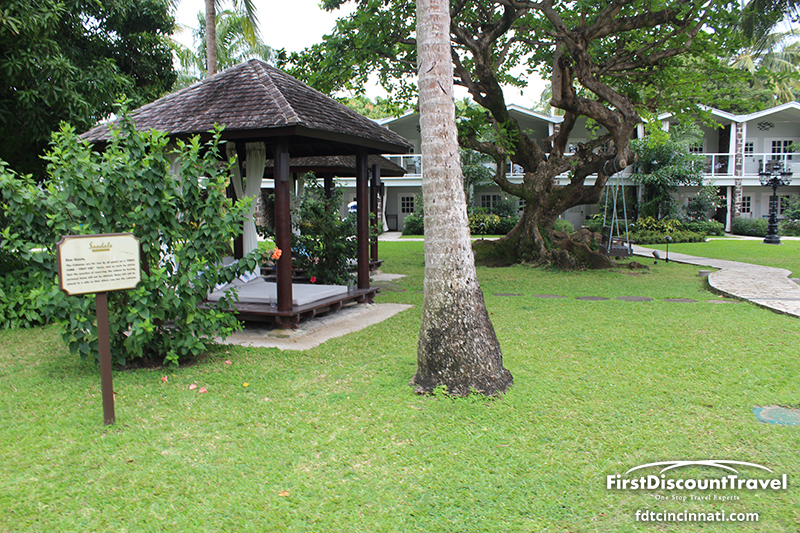 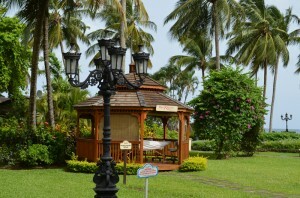 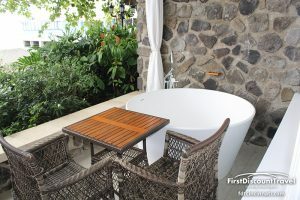 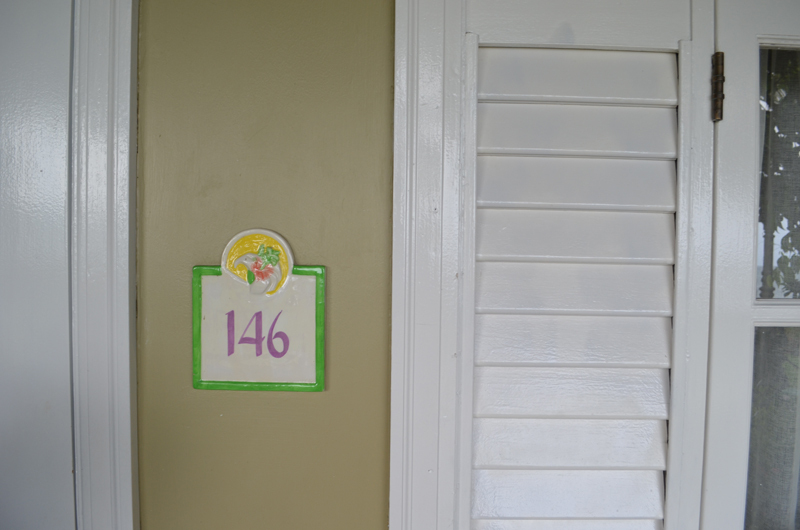 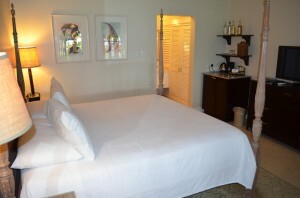 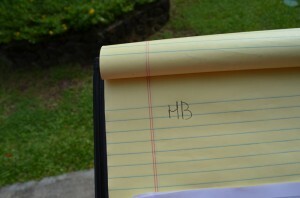 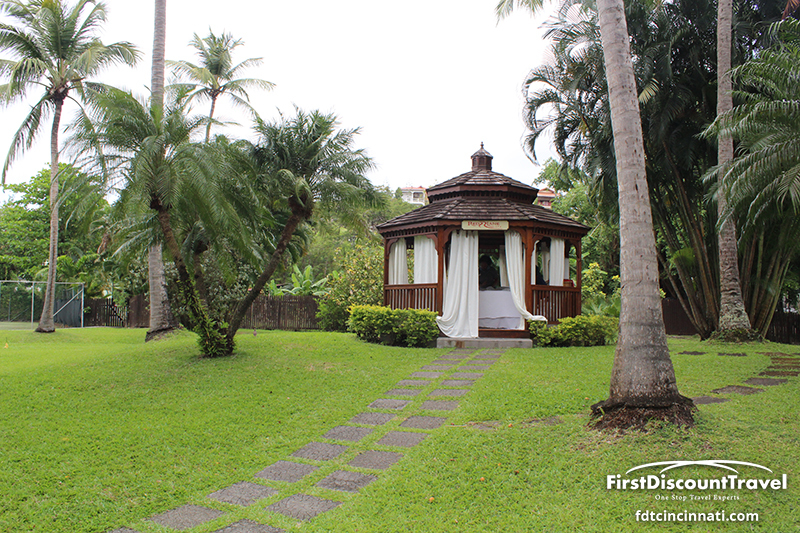 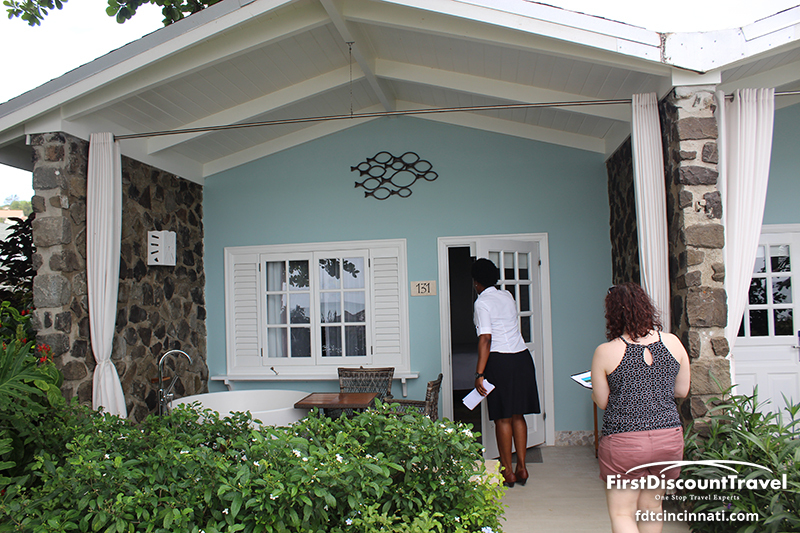 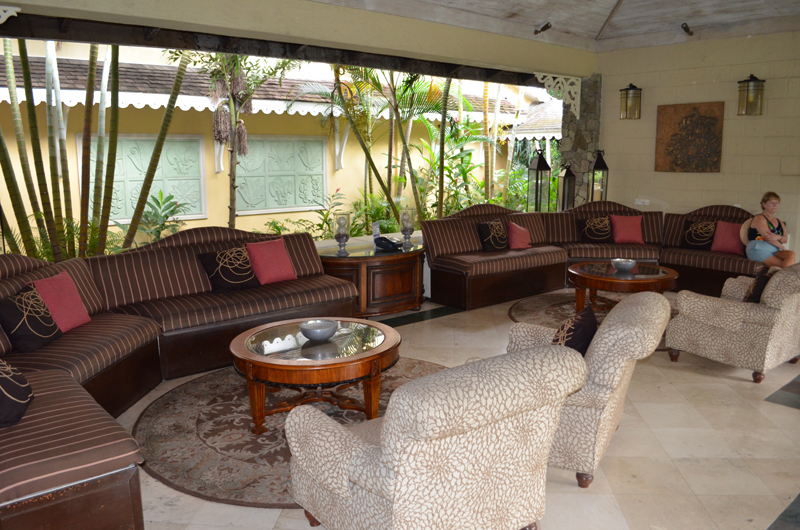 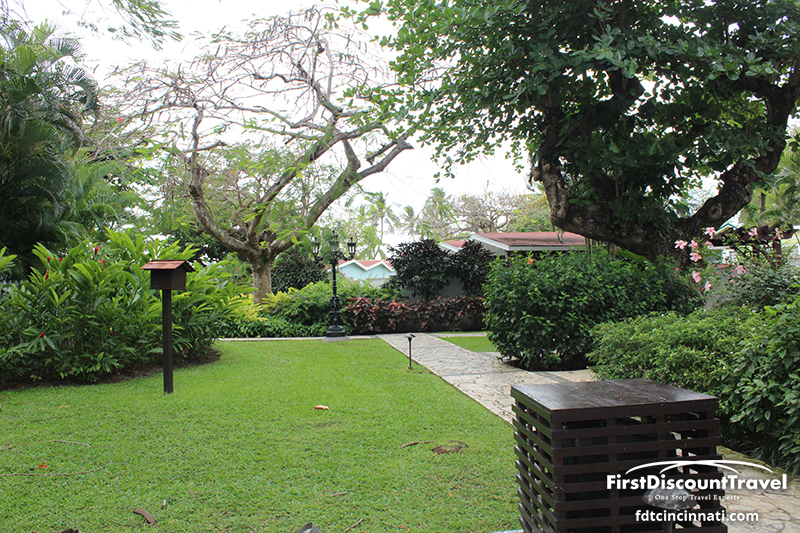 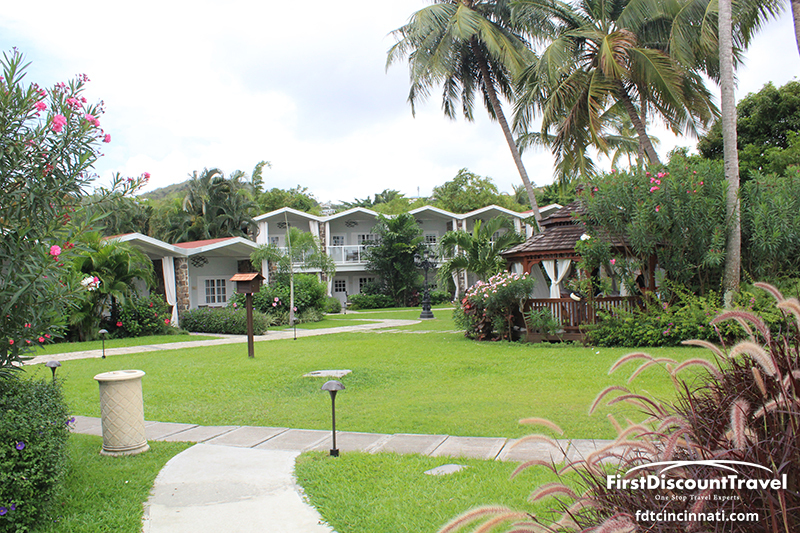 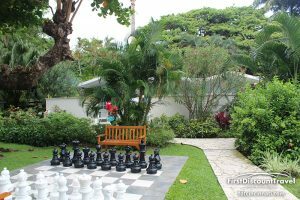 The rooms at Halcyon are on the small side (350-400 square feet) and are scattered in the lush foliage. 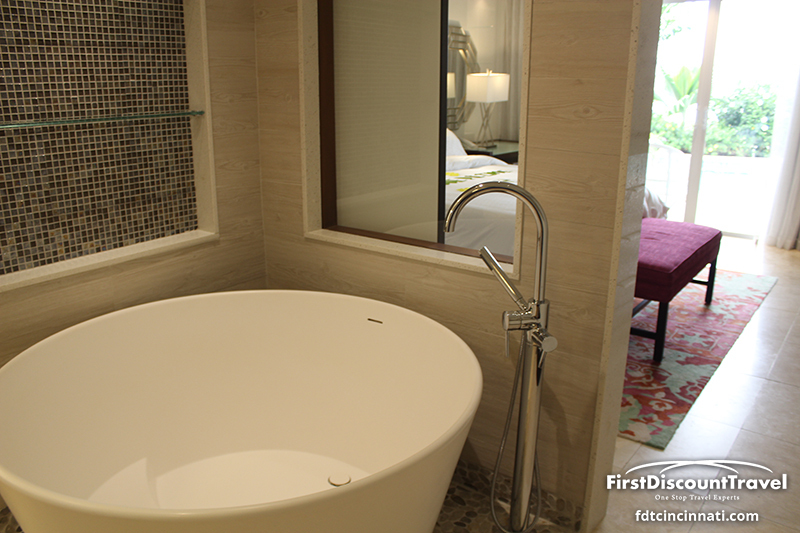 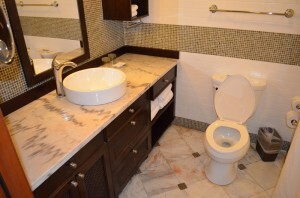 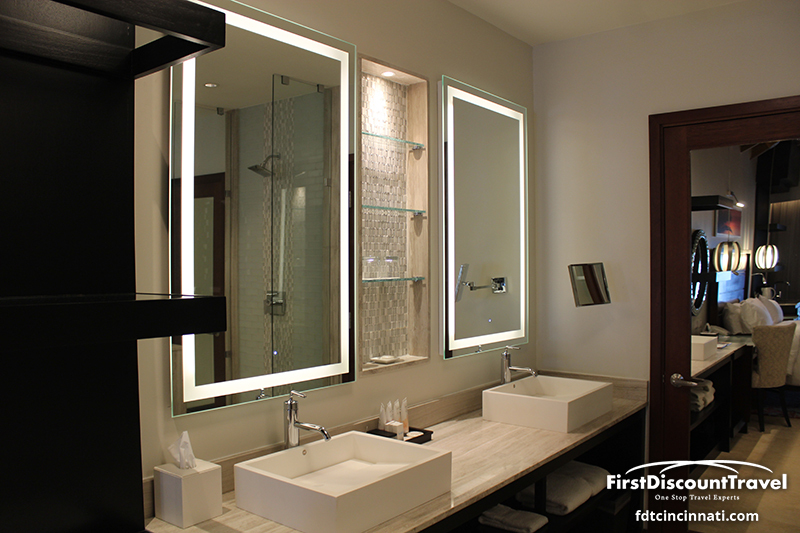 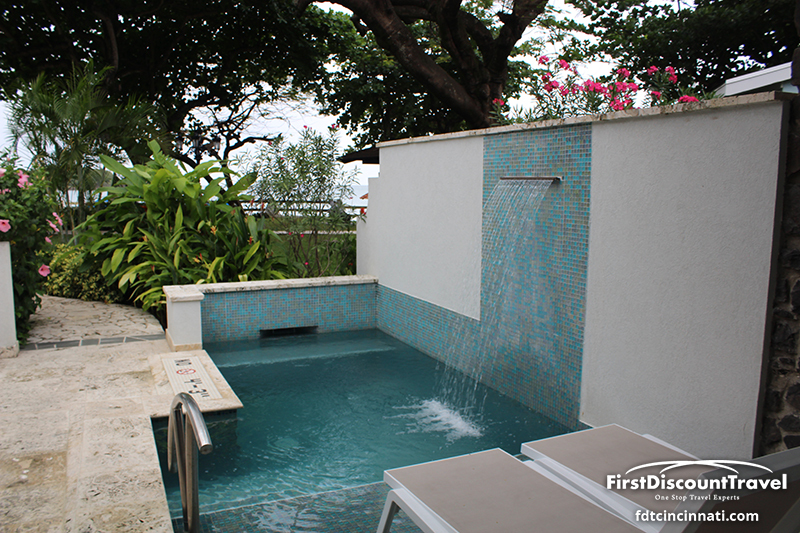 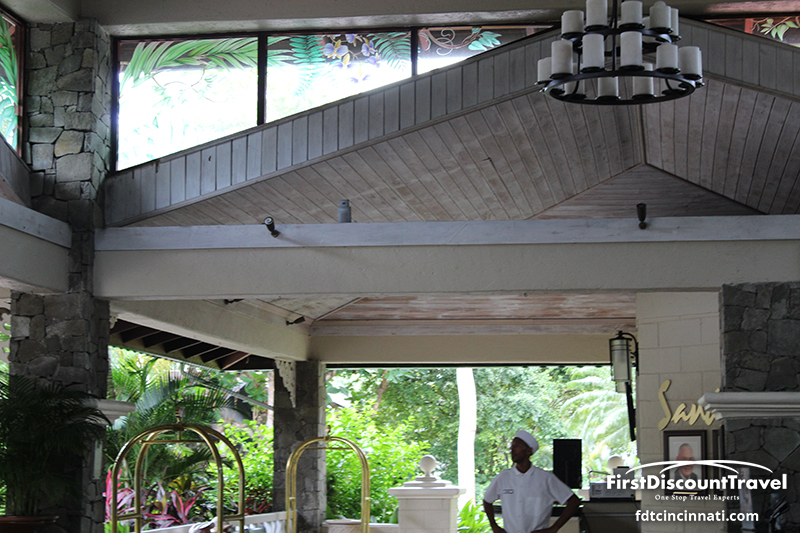 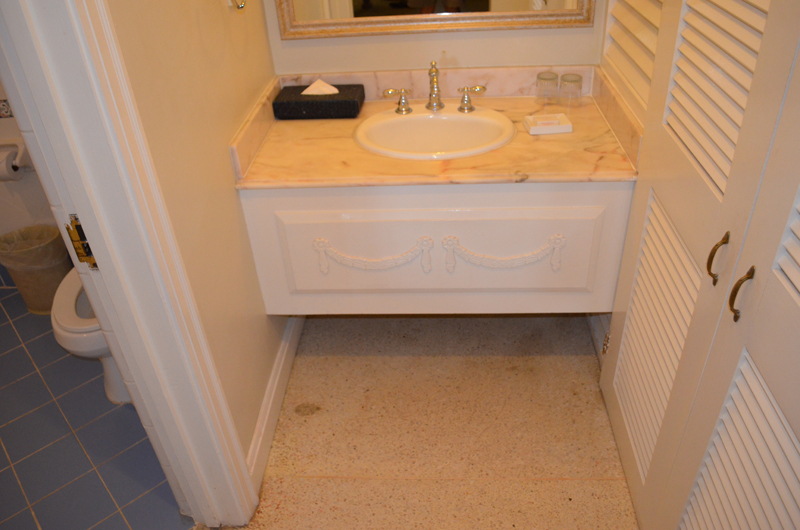 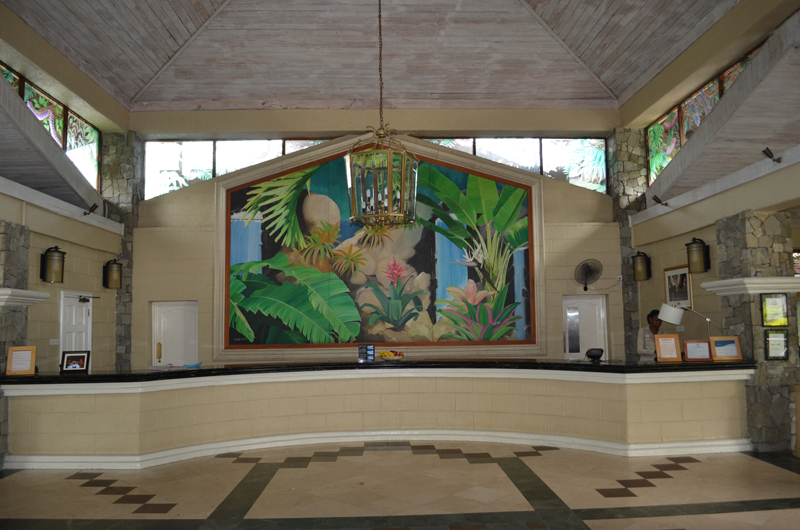 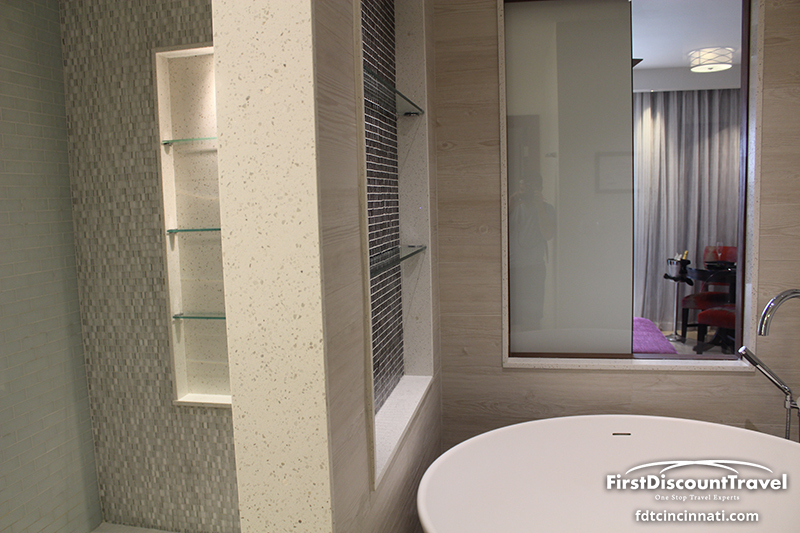 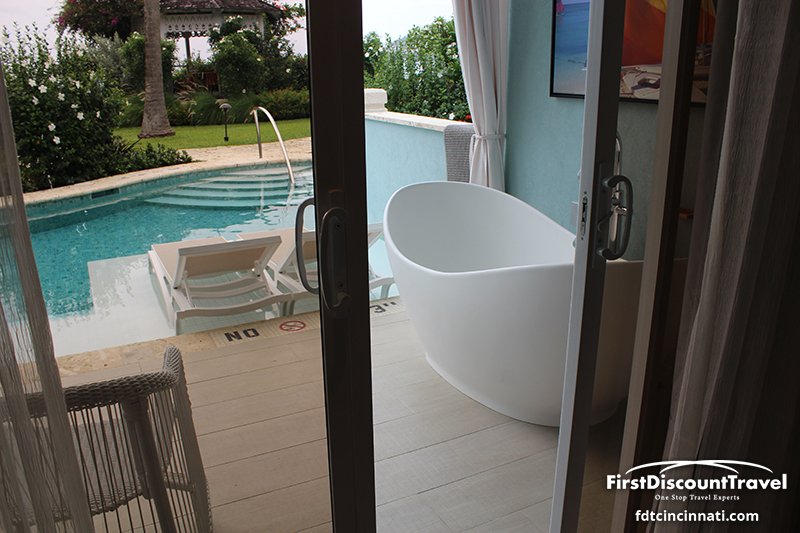 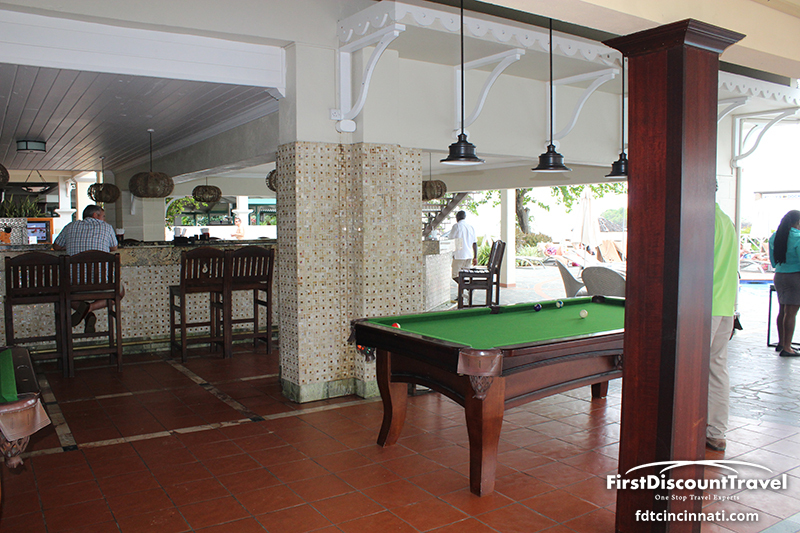 The concierge rooms surrounding the Paradise Pool are newly renovated (as of August 2013) with marble floors and upgraded amenities. 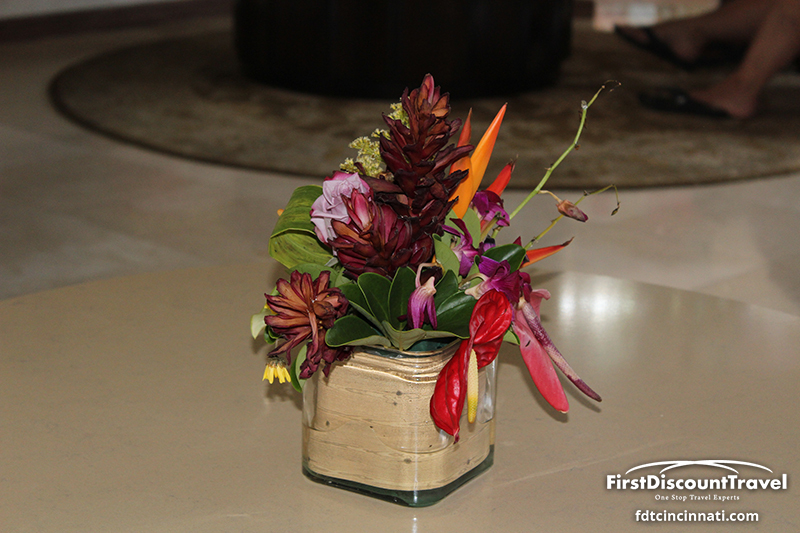 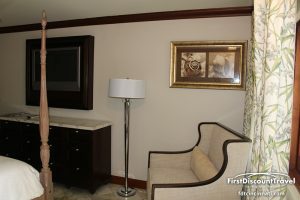 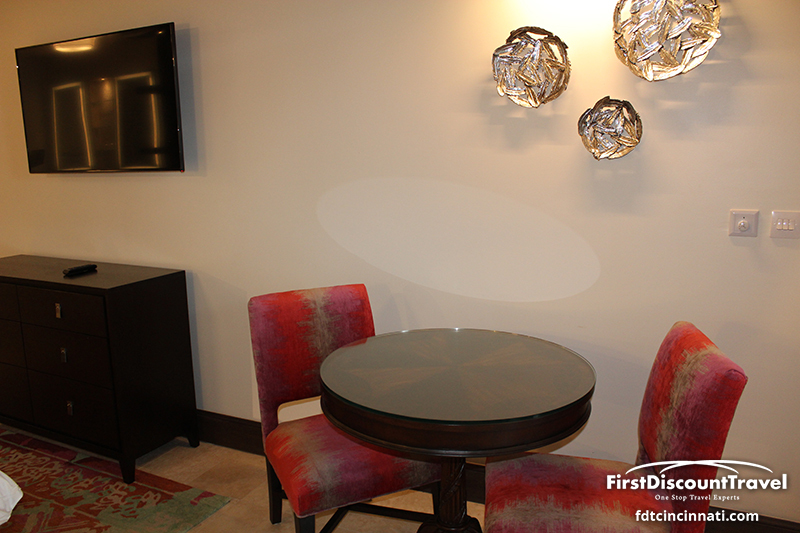 As of October 1, 2013, concierge level rooms will be re-branded as Club level rooms and will receive 24 hour room service, complimentary WIFI, and a fully stocked bar in the room. 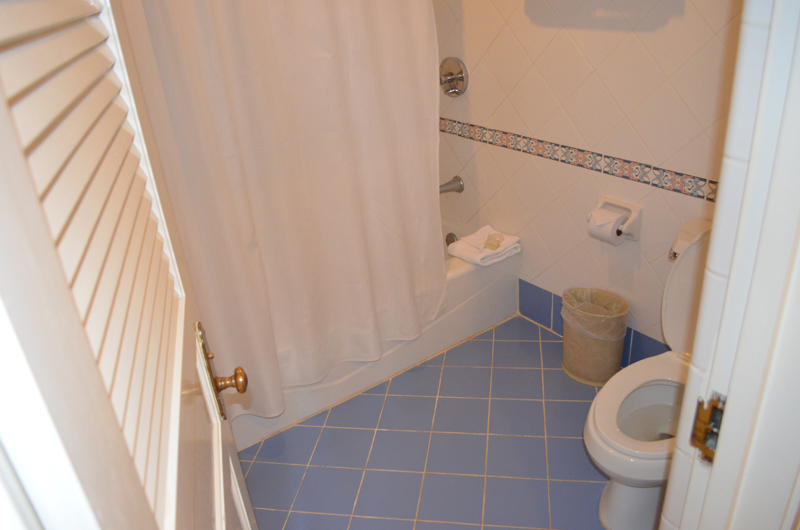 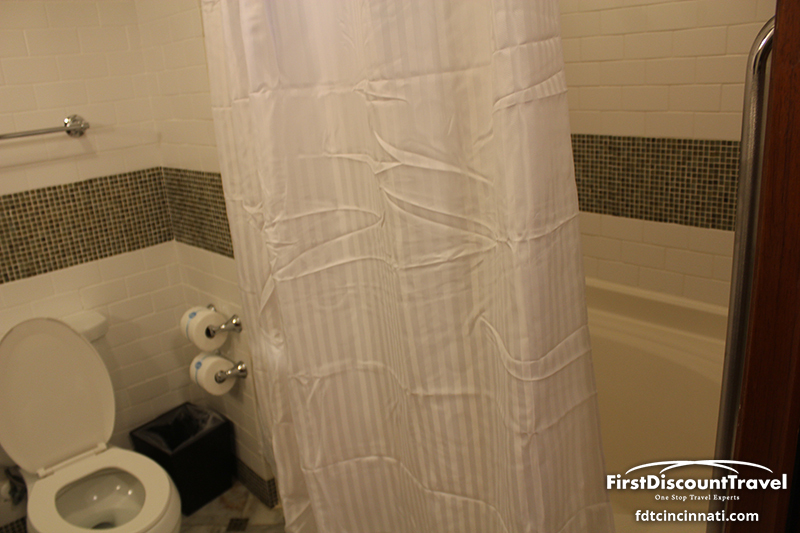 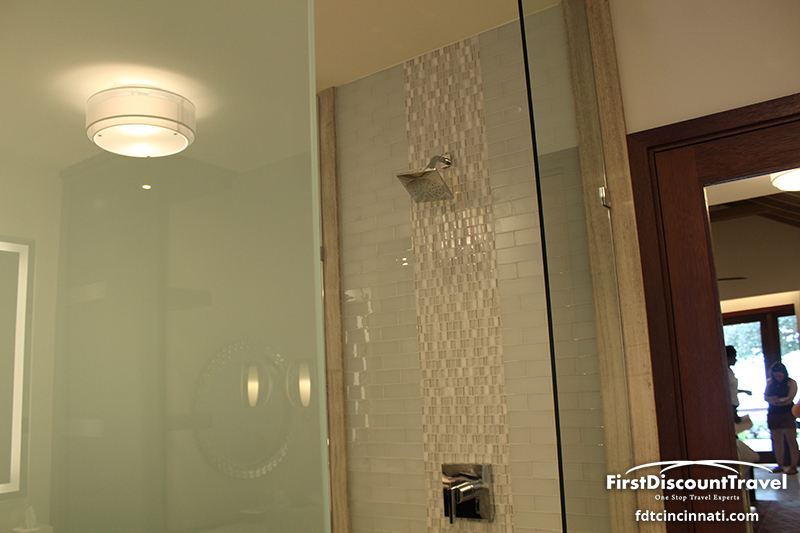 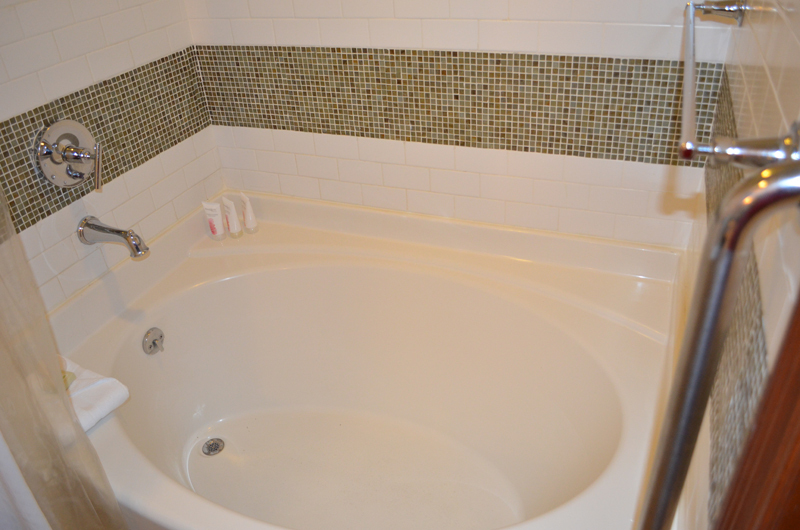 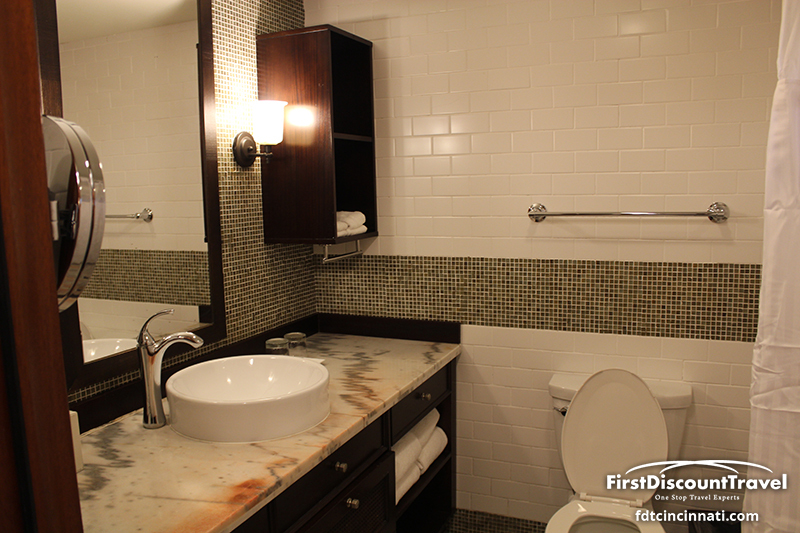 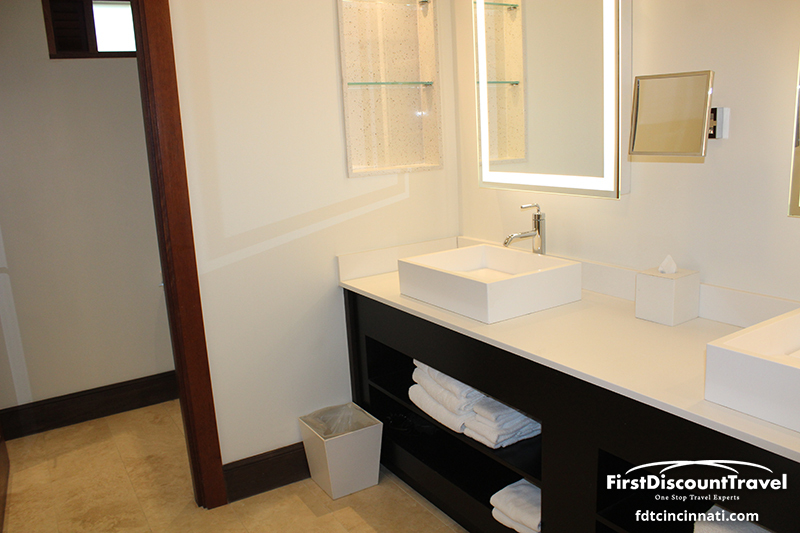 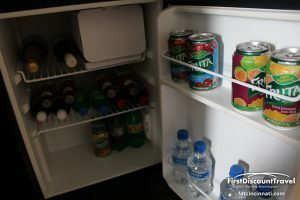 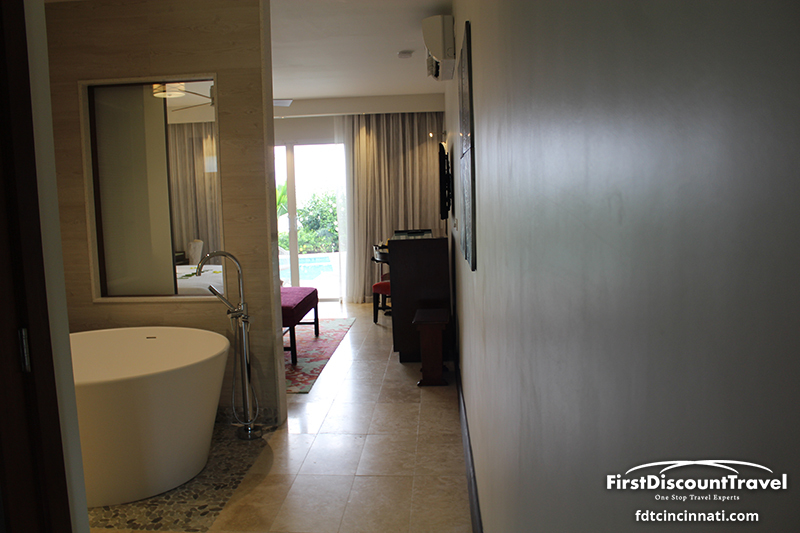 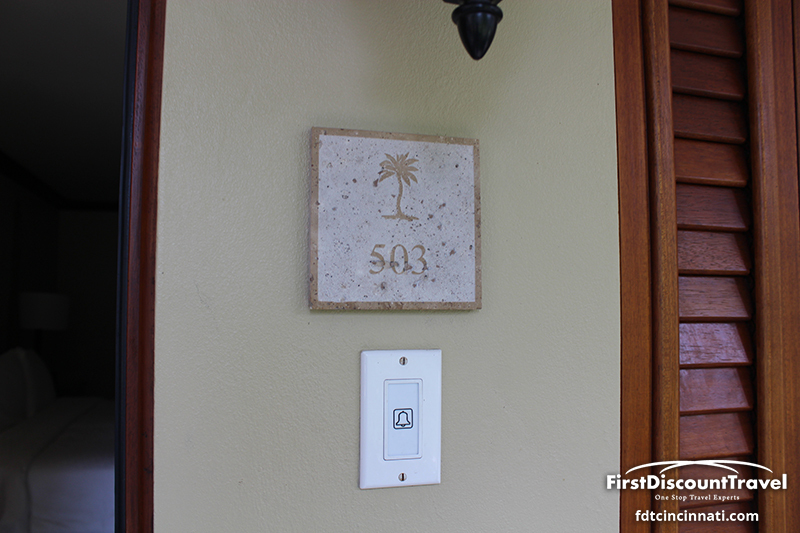 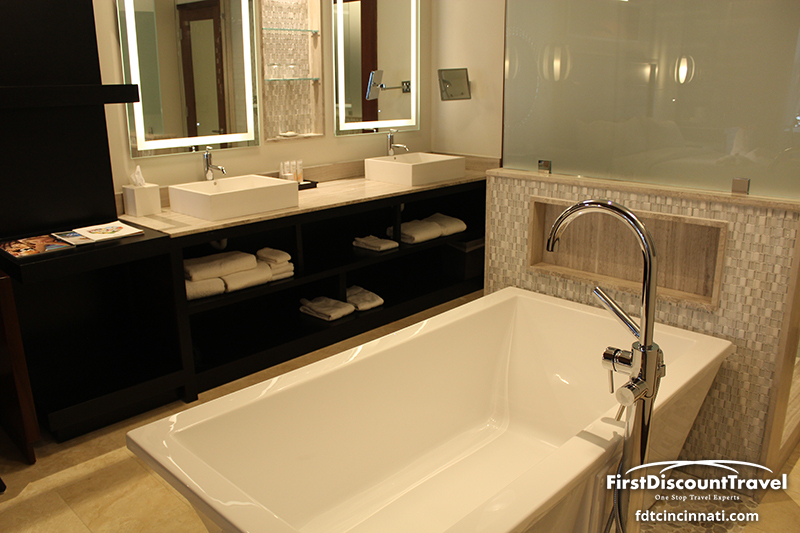 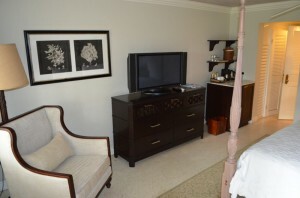 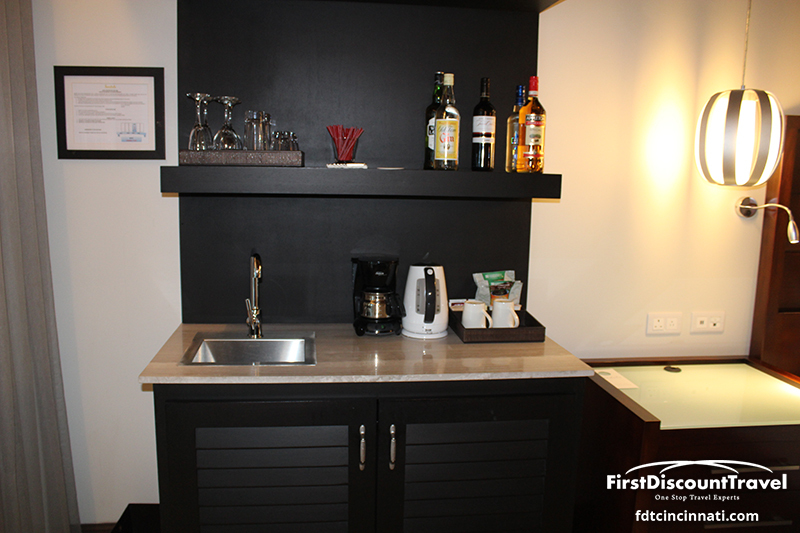 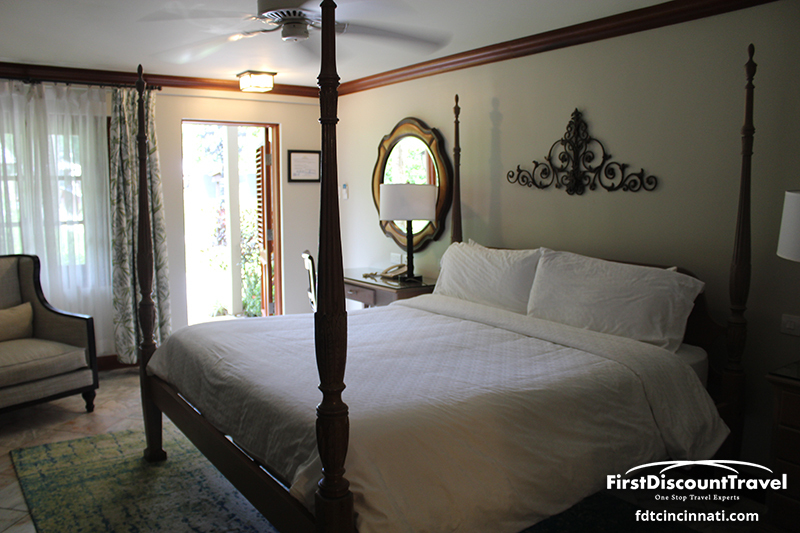 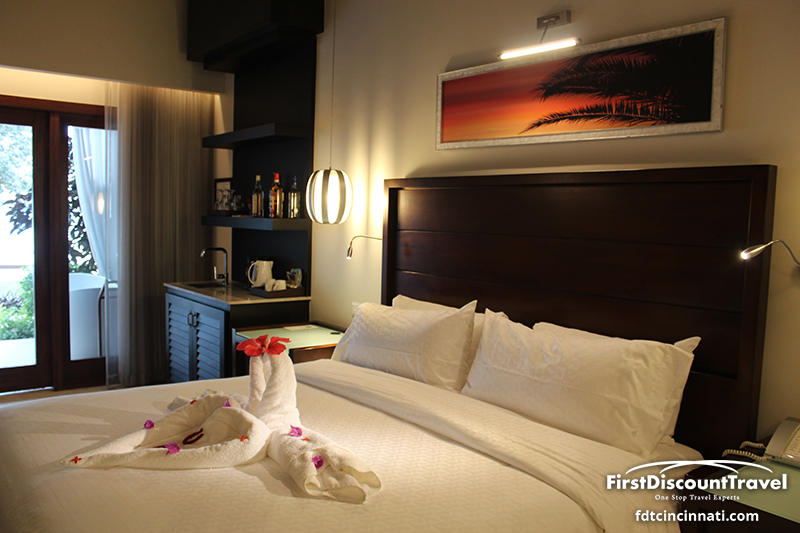 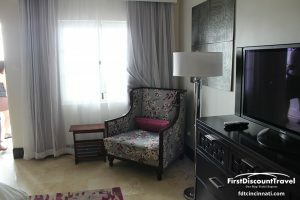 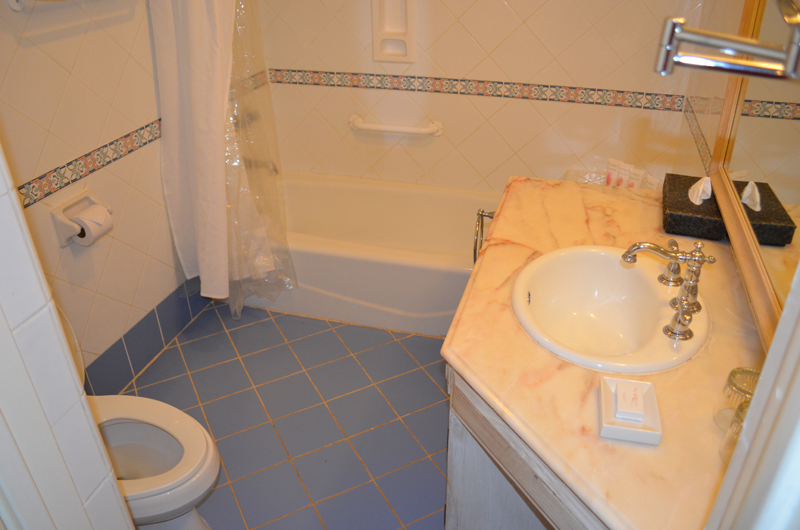 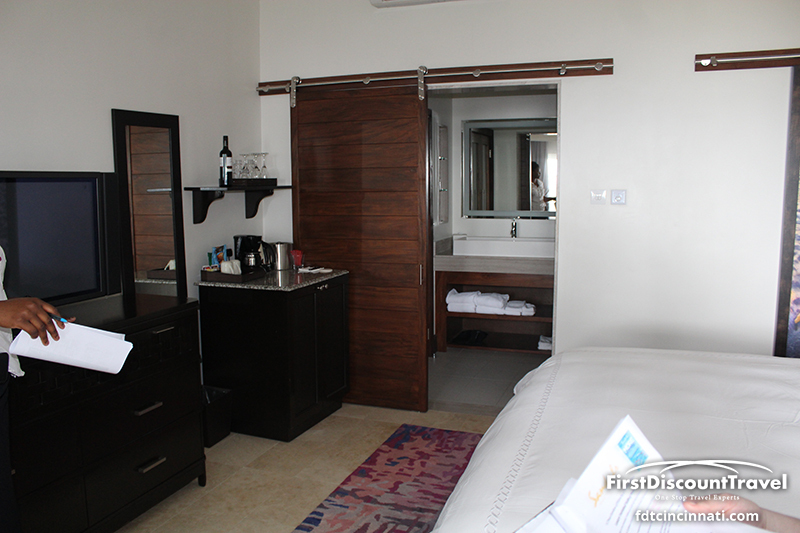 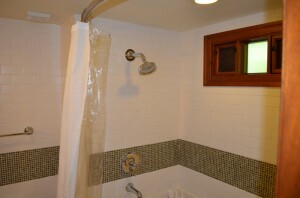 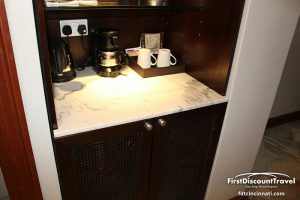 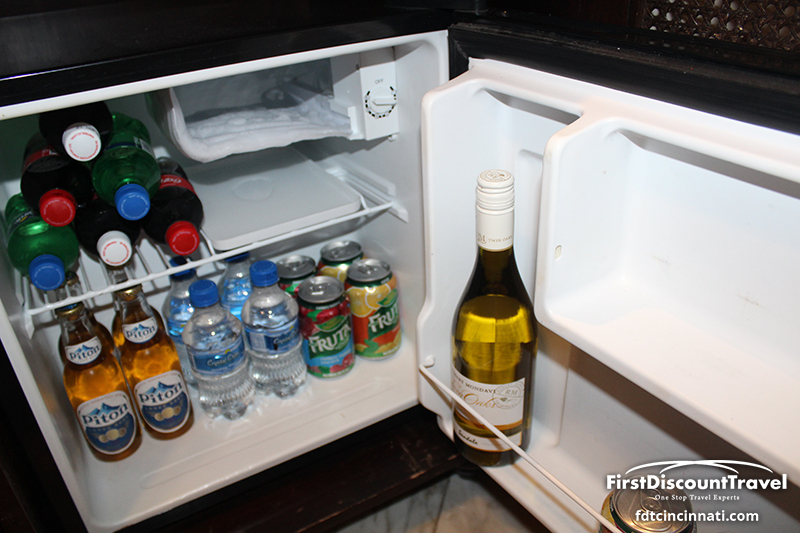 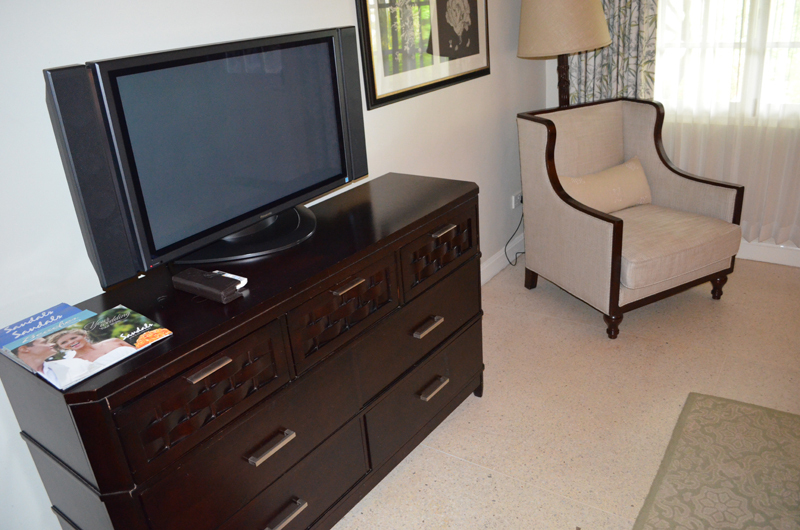 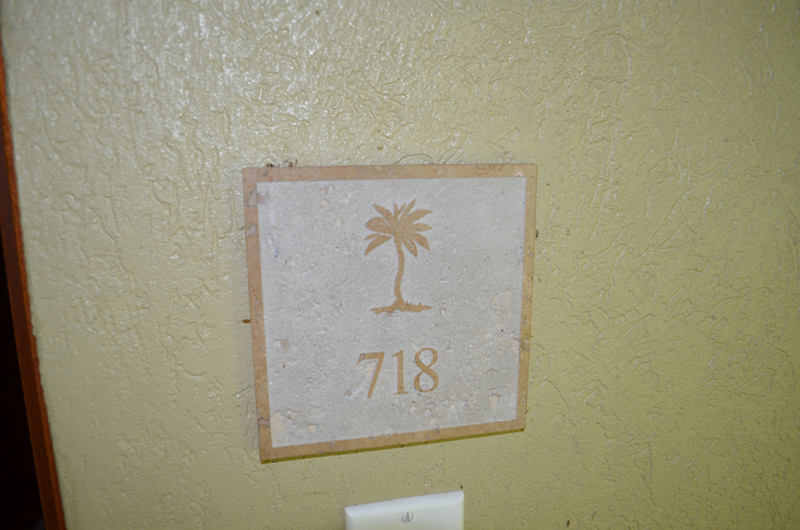 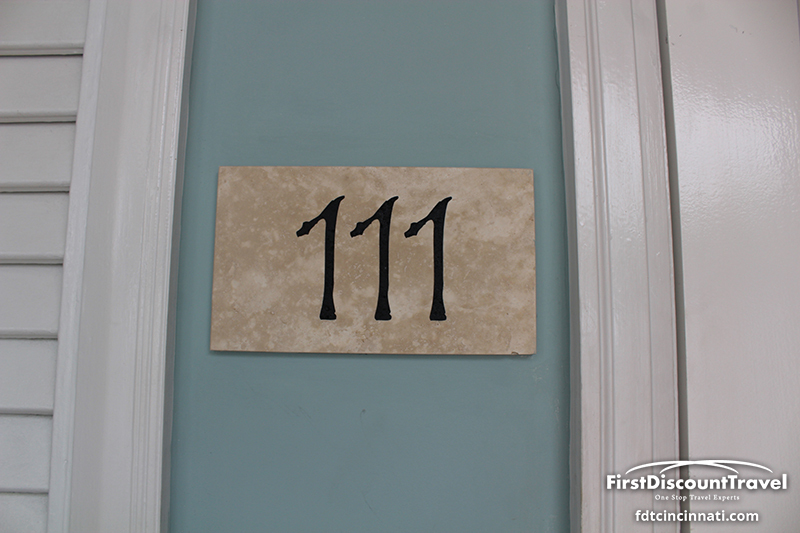 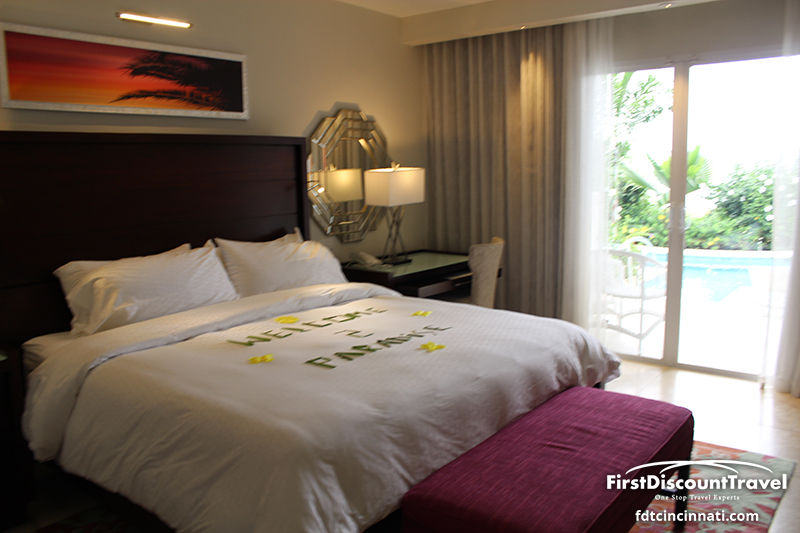 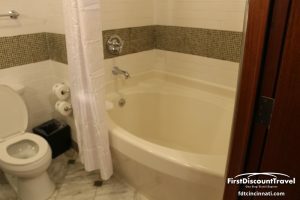 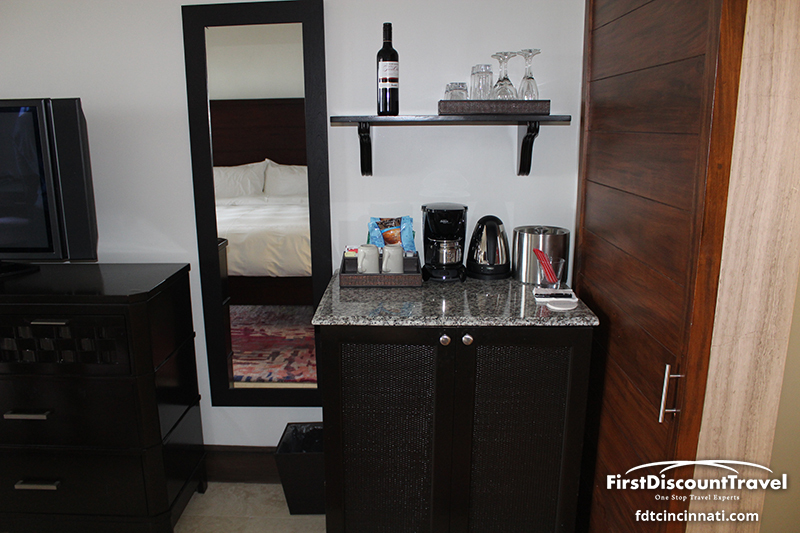 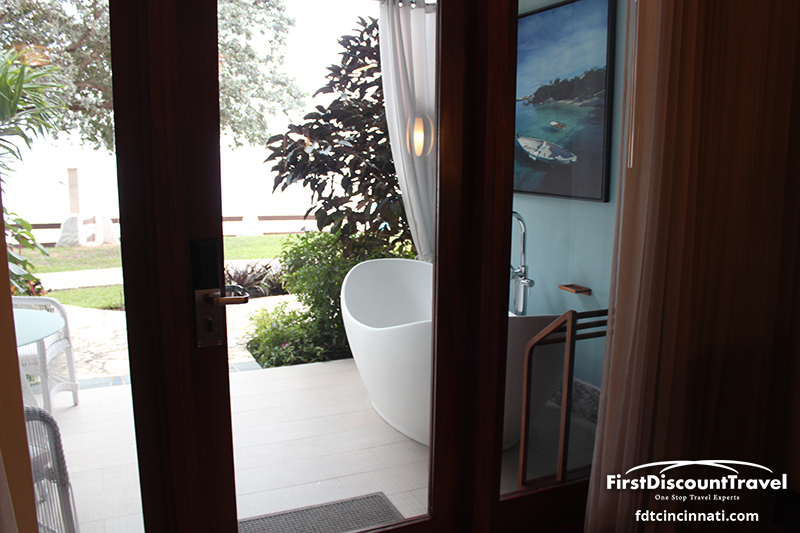 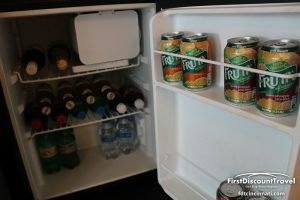 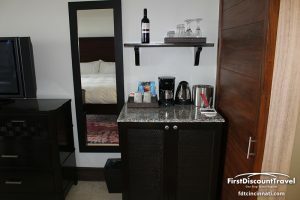 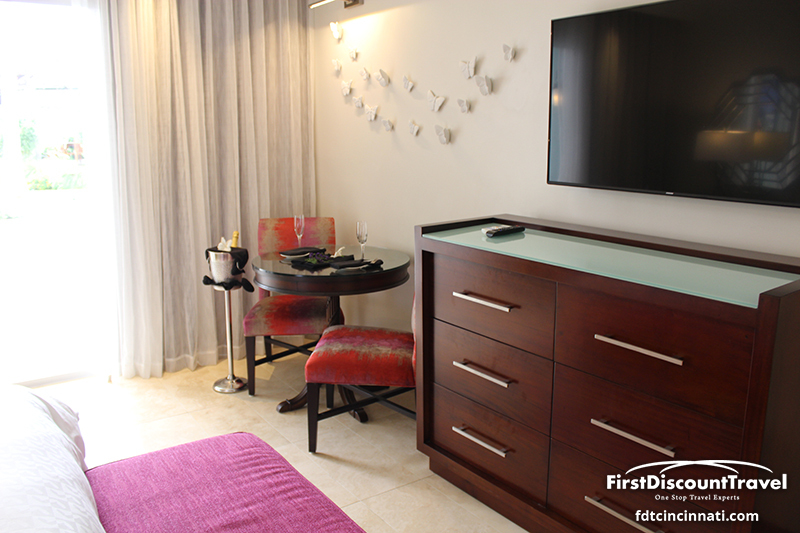 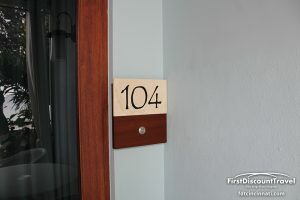 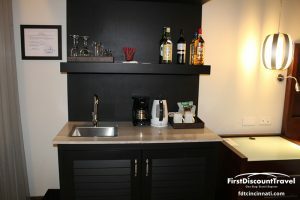 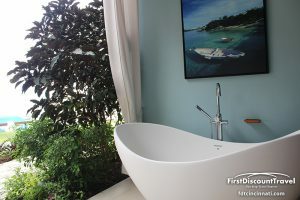 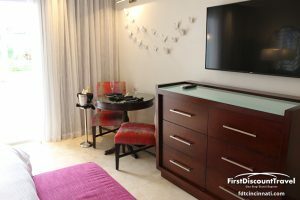 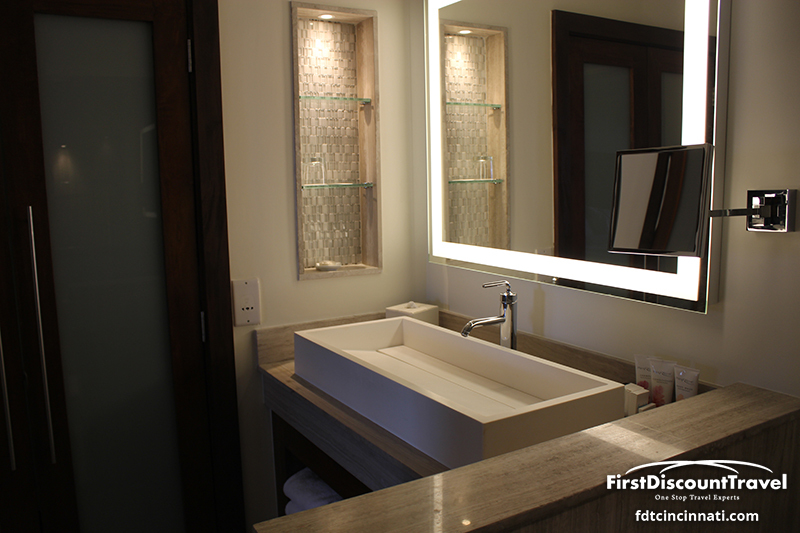 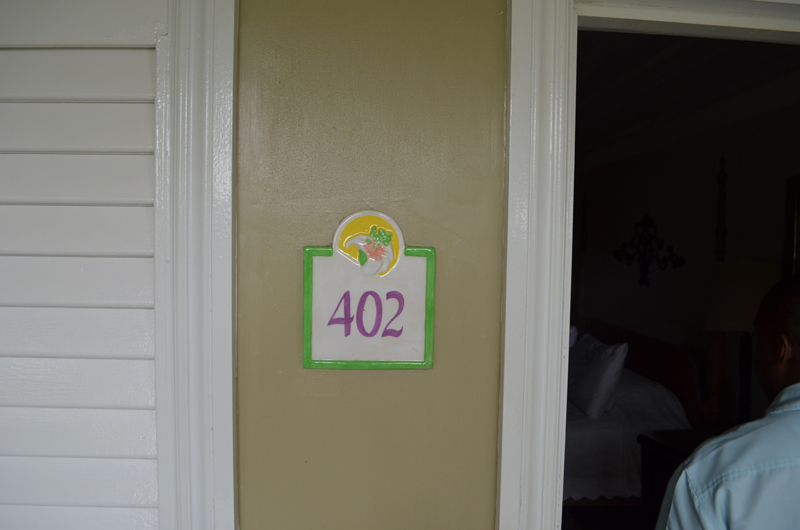 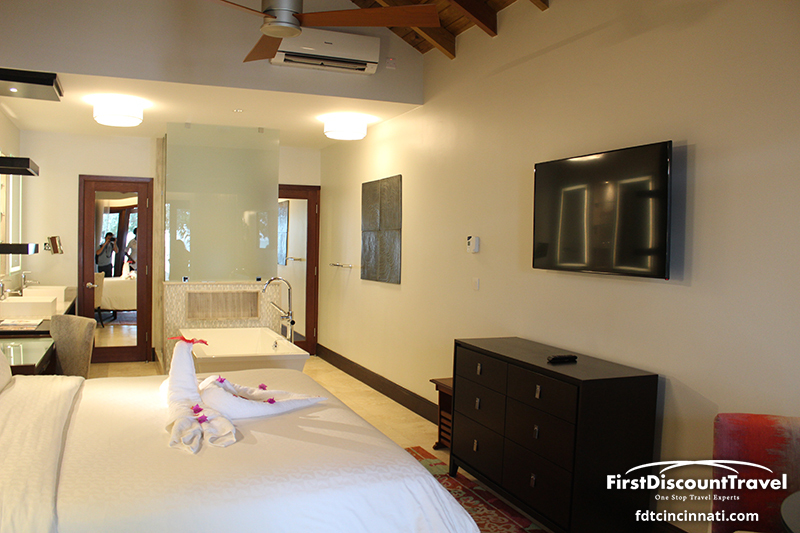 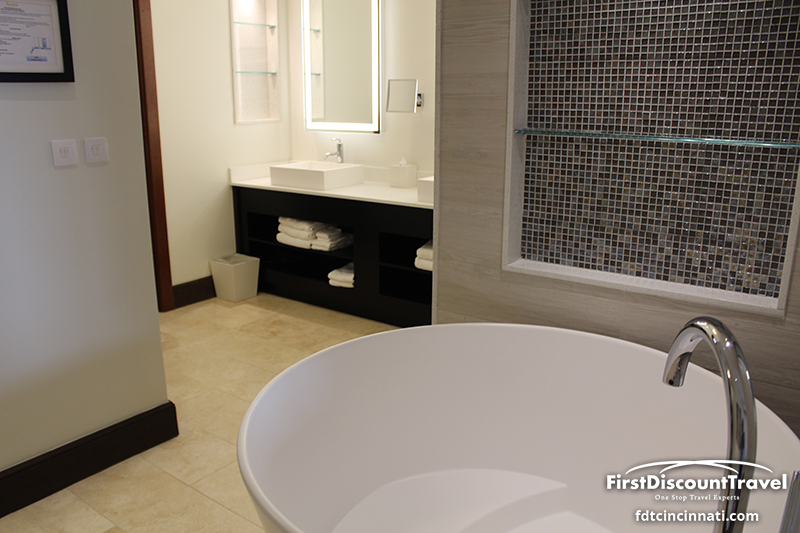 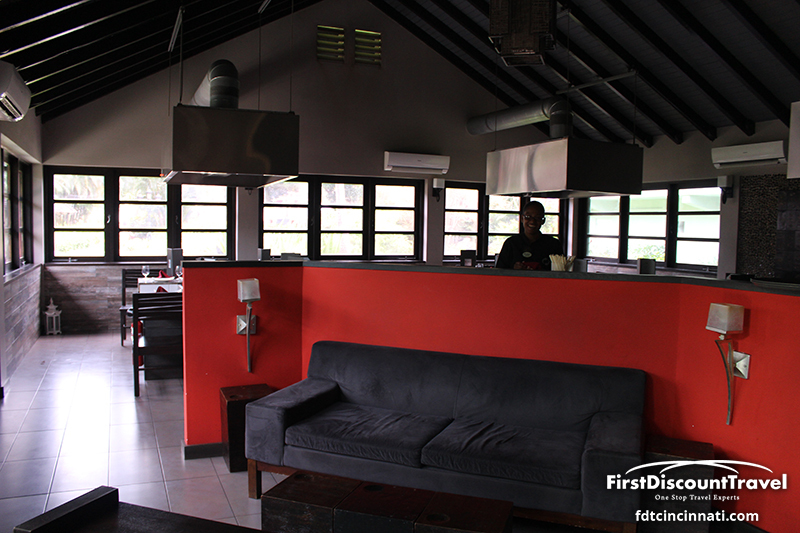 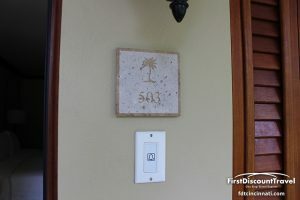 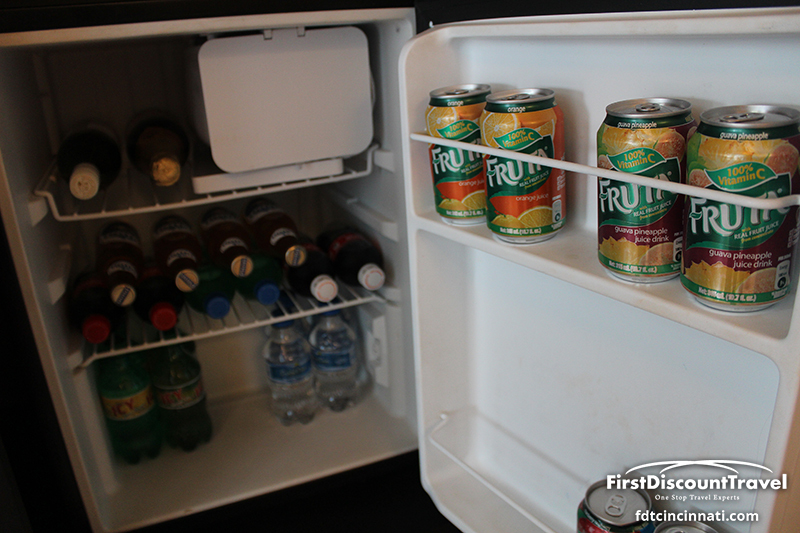 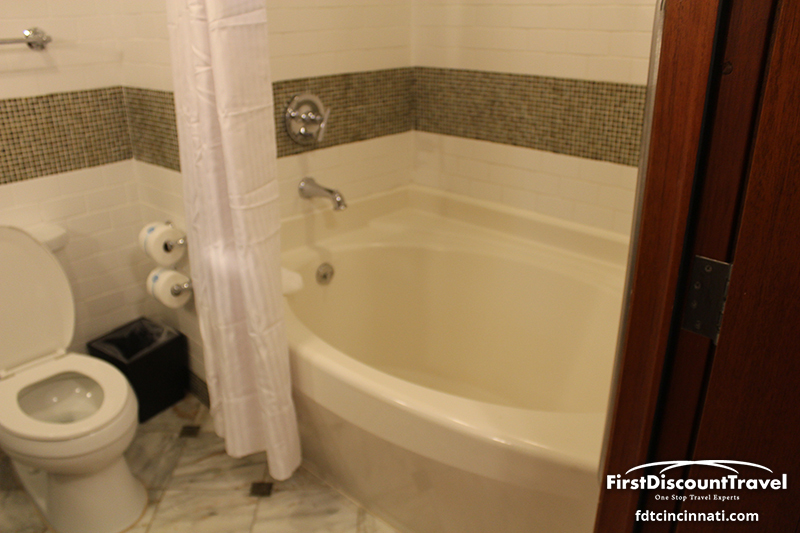 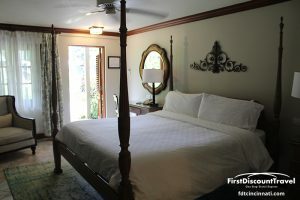 Although the resort recently added butlers, they service rooms, not suites! 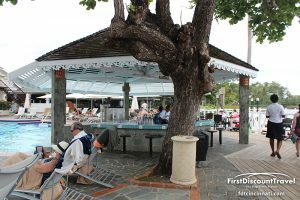 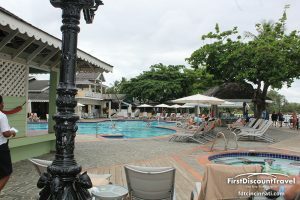 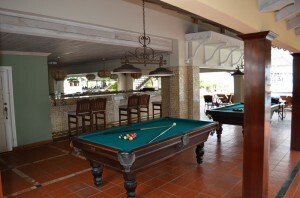 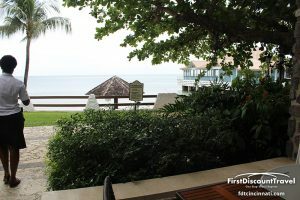 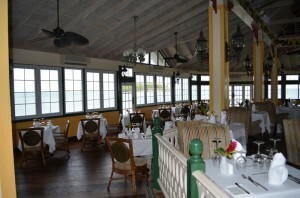 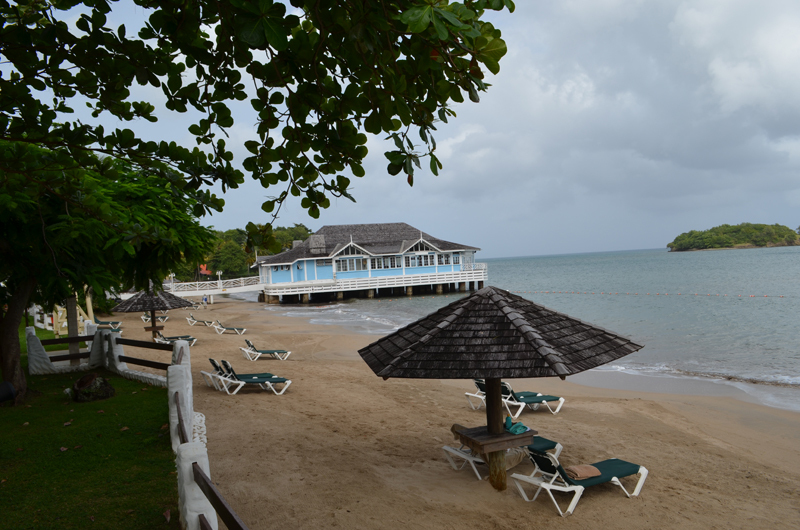 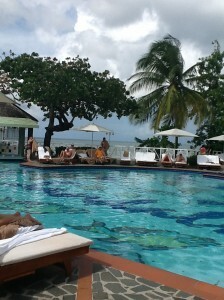 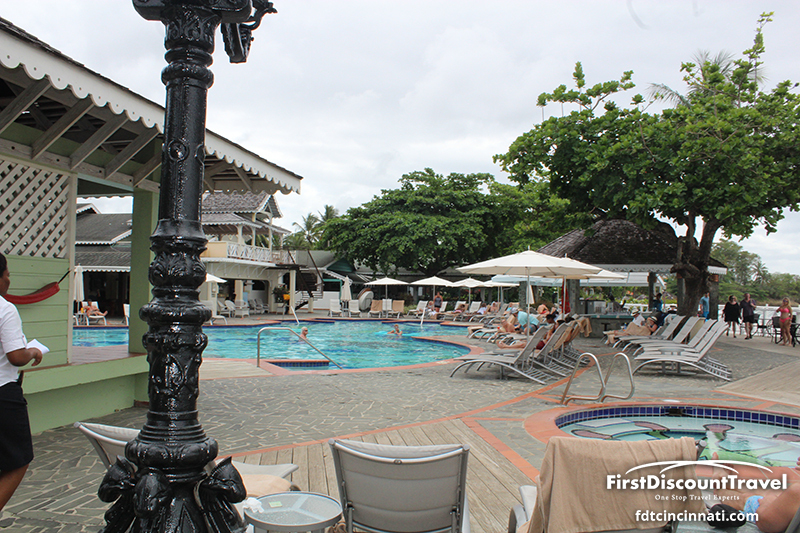 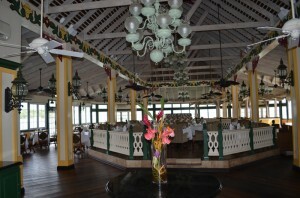 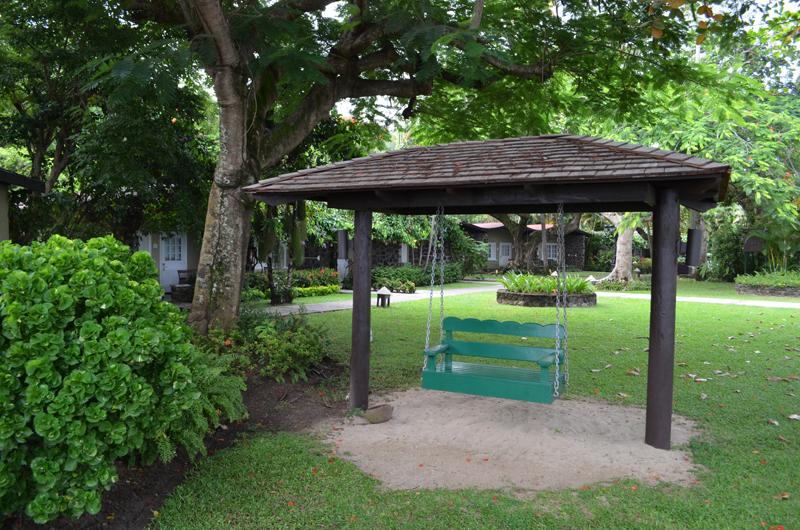 The atmosphere at Sandals Halcyon is considerably quieter than at the larger Sandals properties. 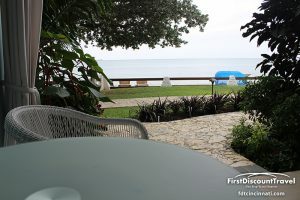 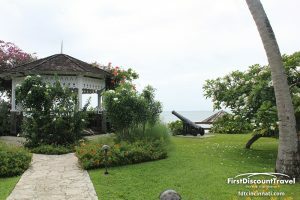 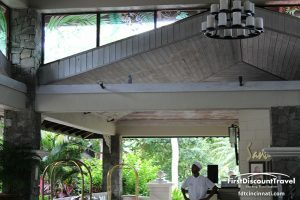 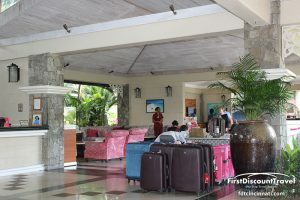 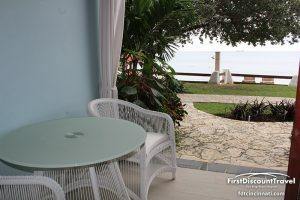 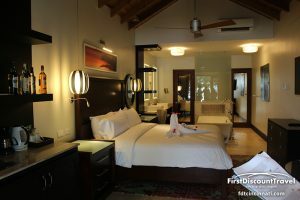 Overall, Sandals Halcyon is a very nice property (especially after the renovation and addition of two new restaurants). 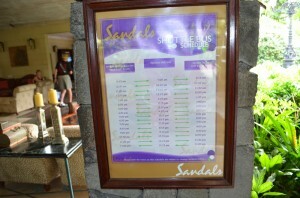 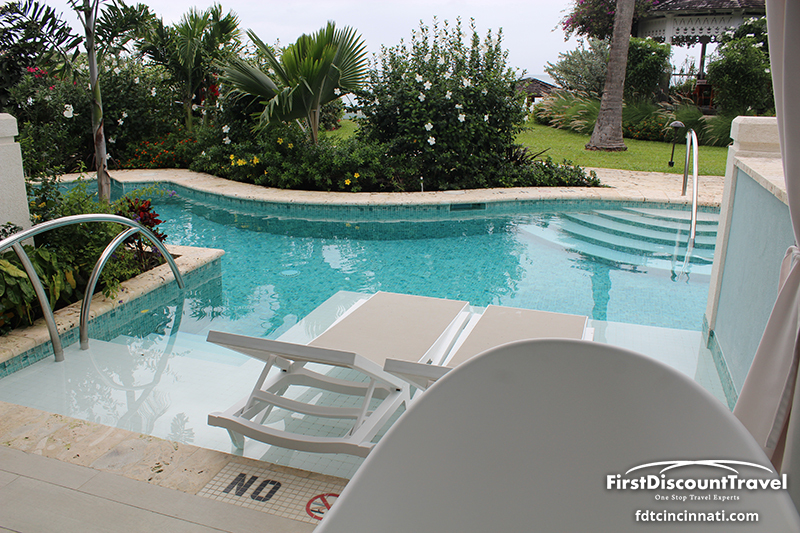 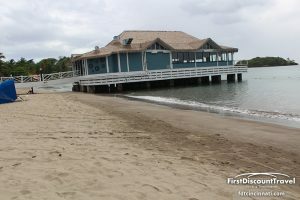 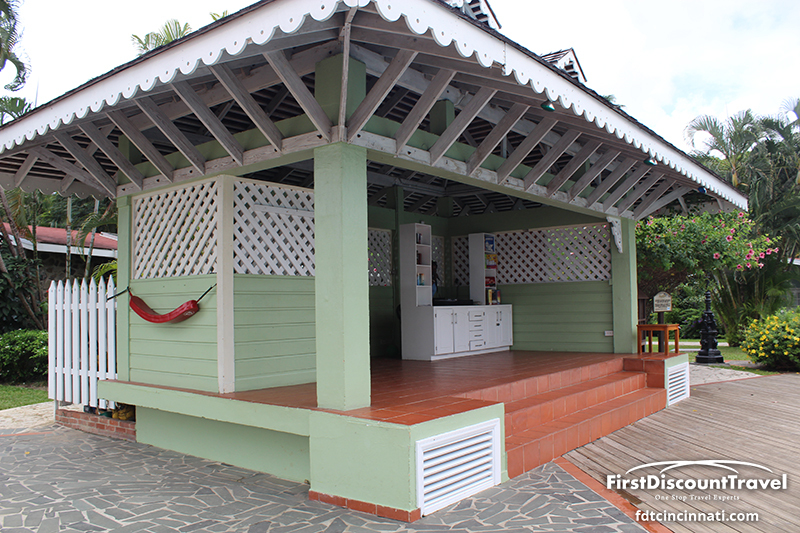 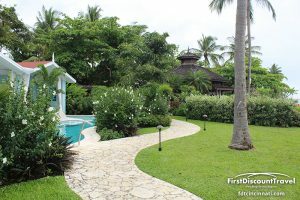 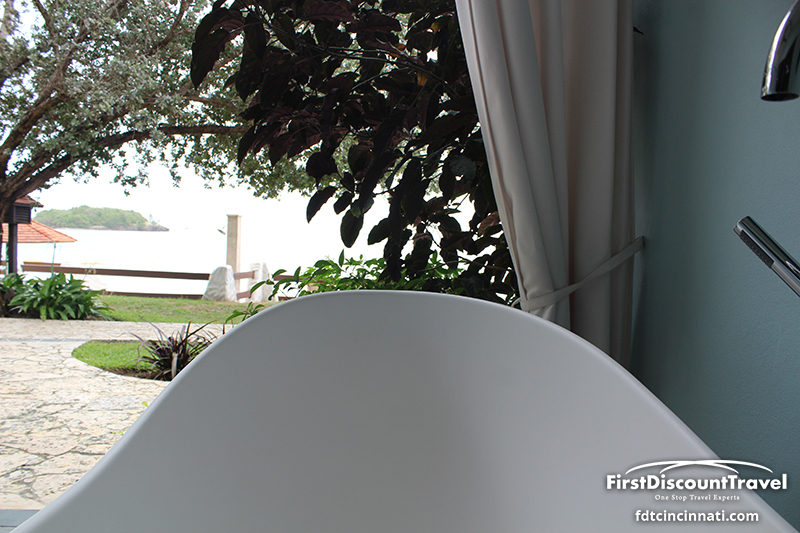 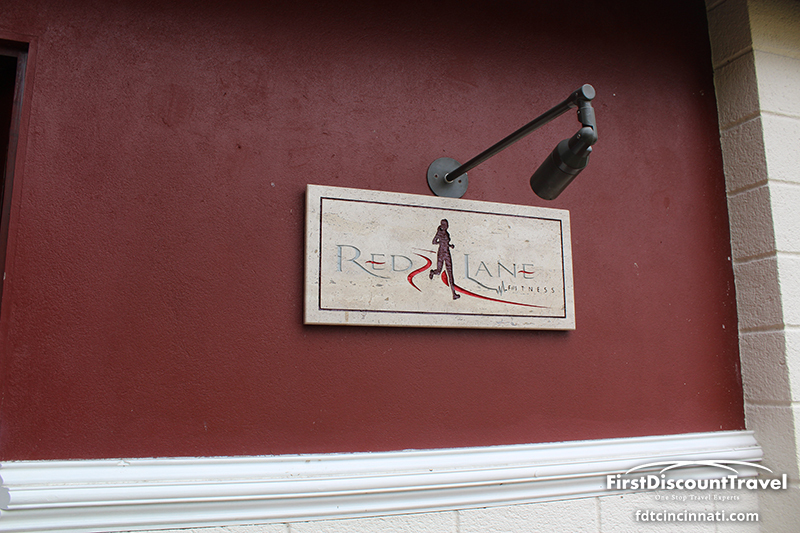 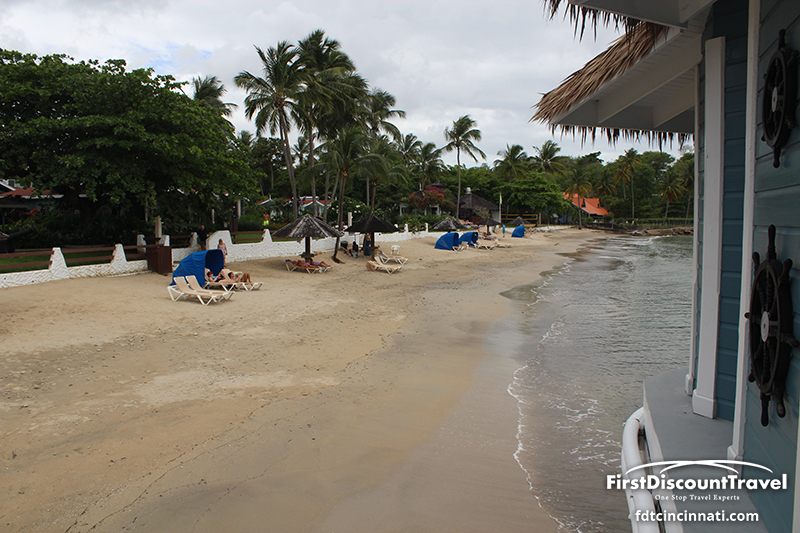 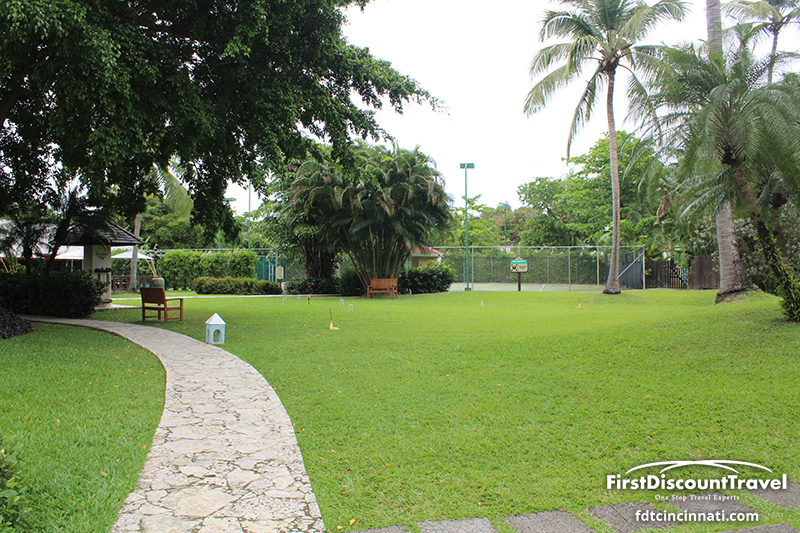 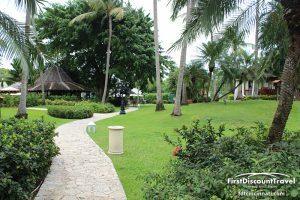 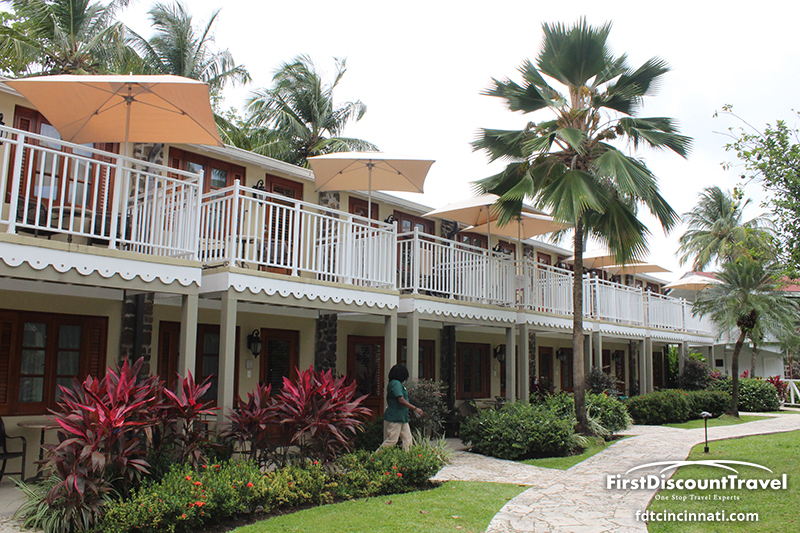 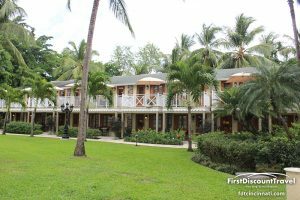 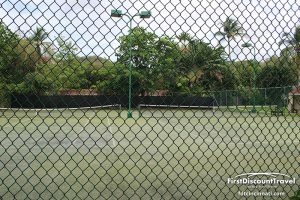 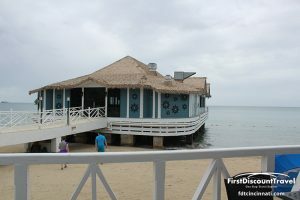 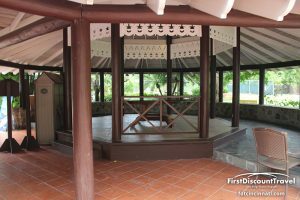 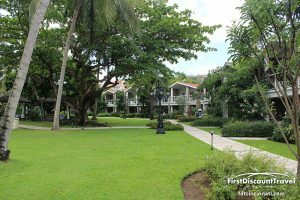 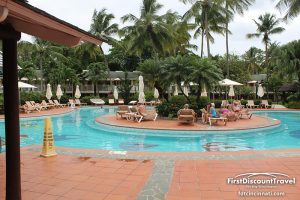 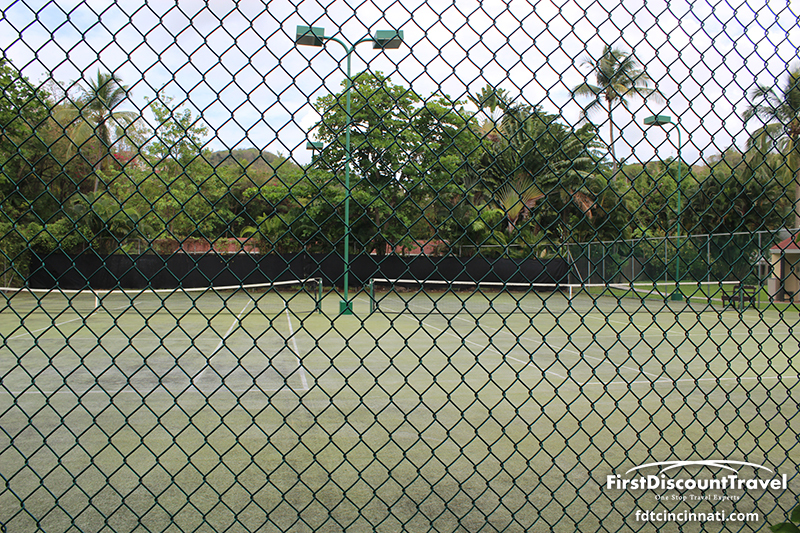 It has a great location in the middle of the other two Sandals and typically prices the least expensive. 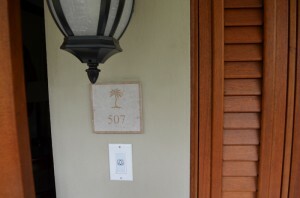 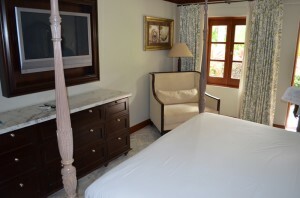 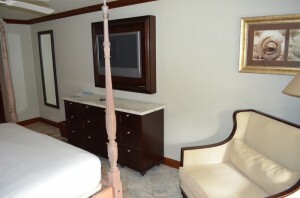 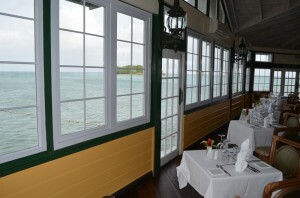 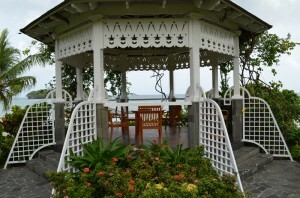 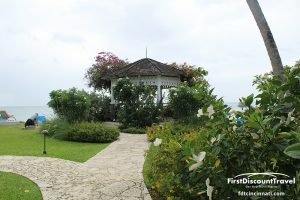 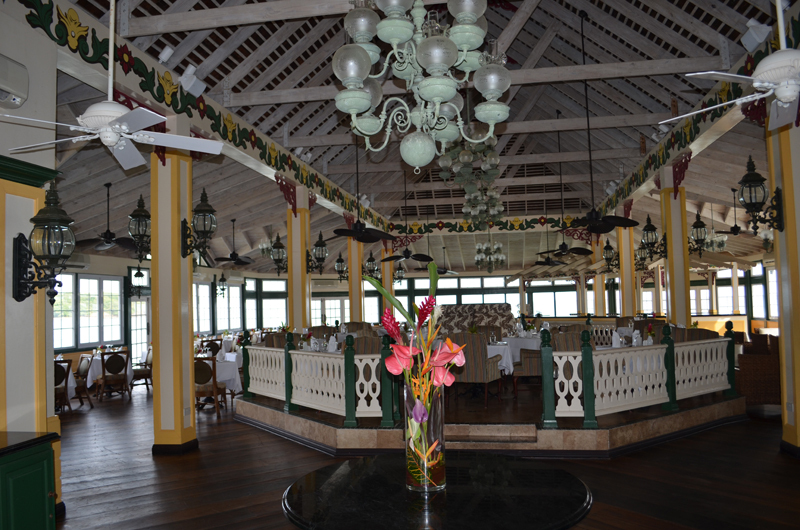 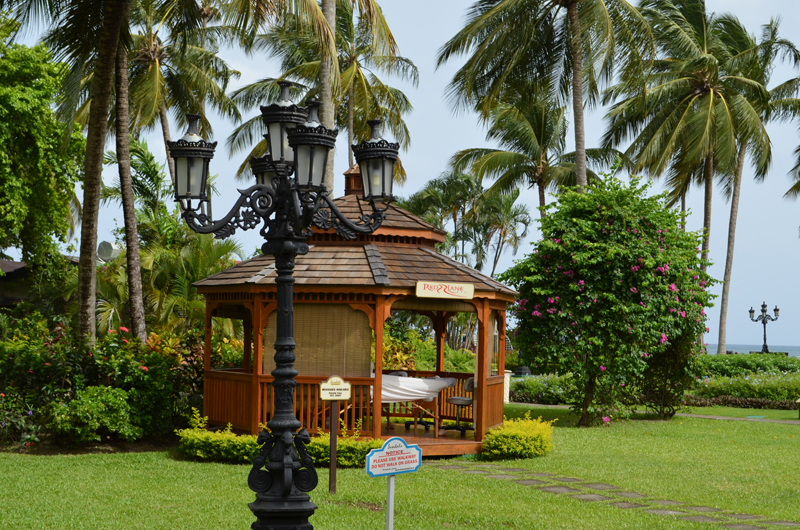 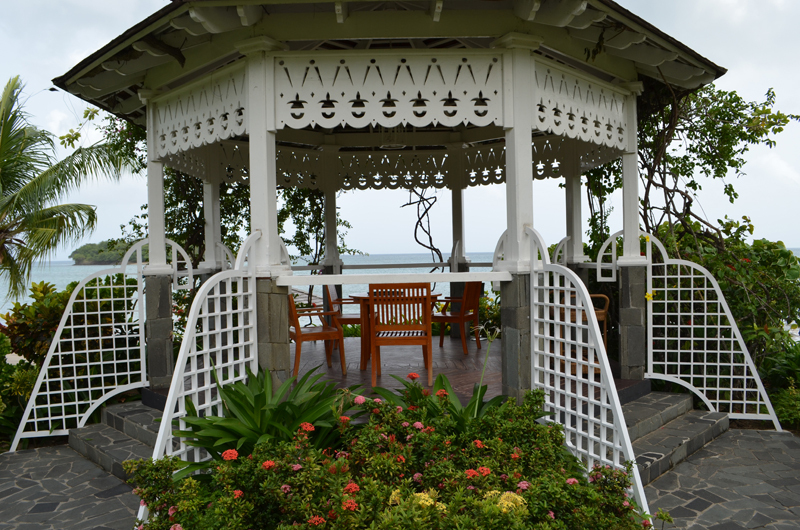 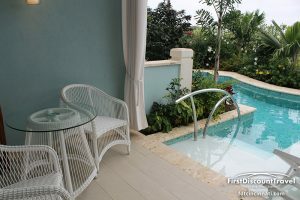 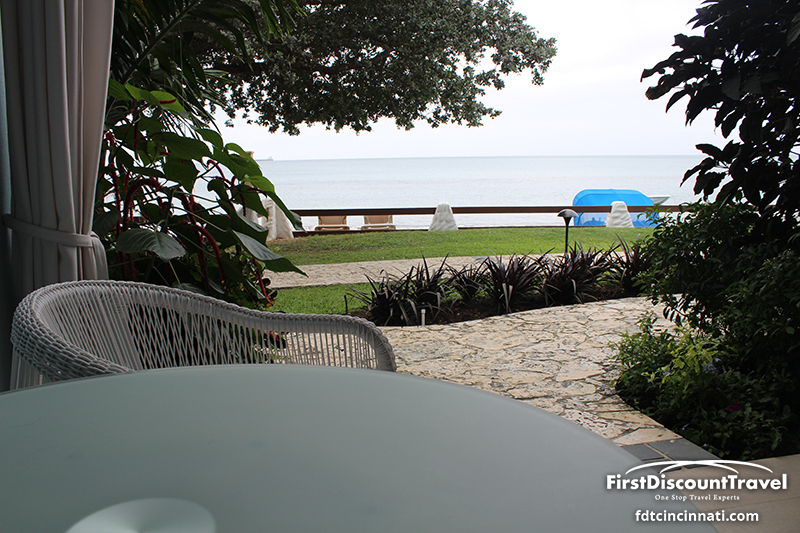 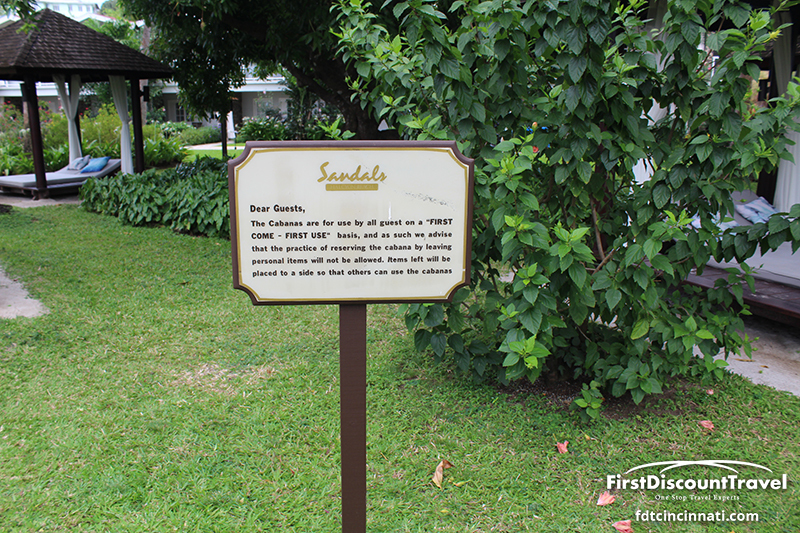 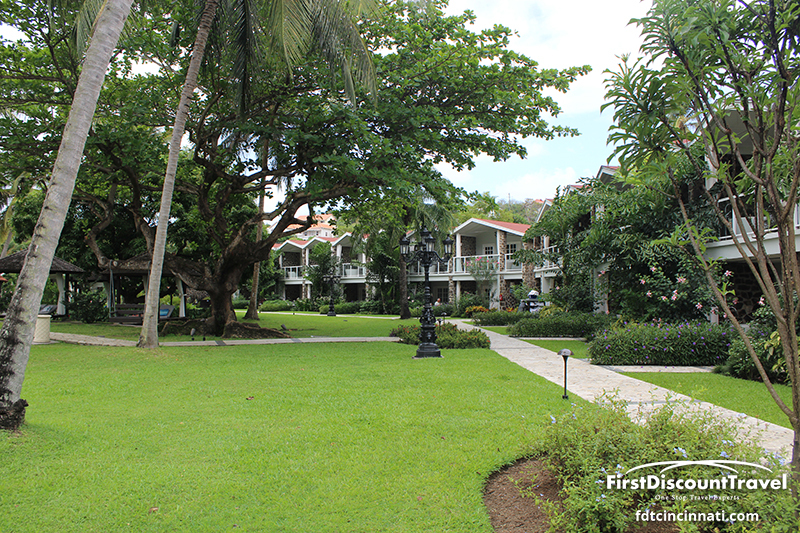 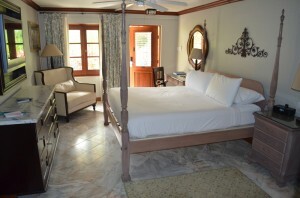 Please keep in mind, there is very little “wow factor” at Sandals Halcyon.